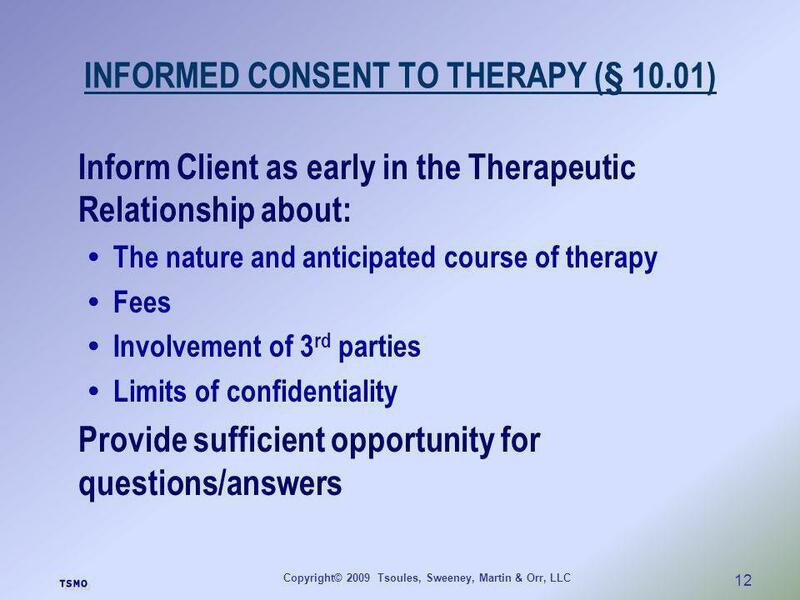 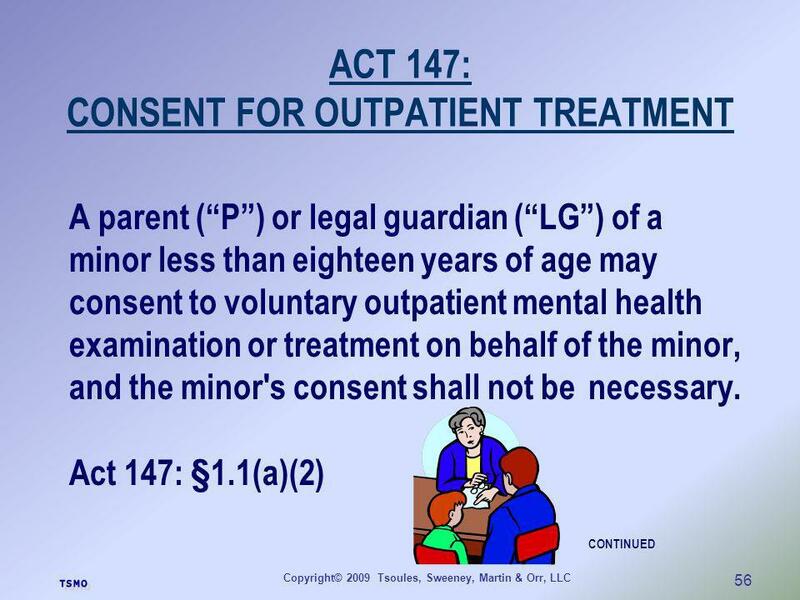 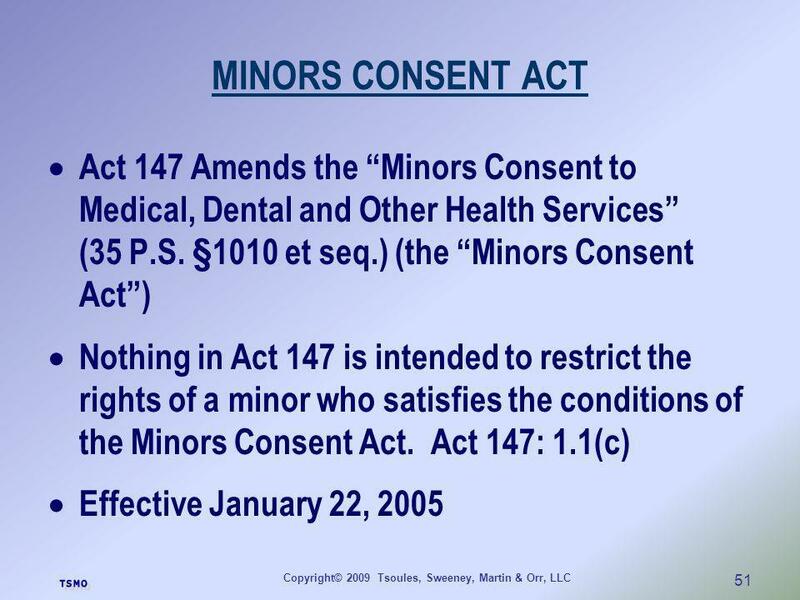 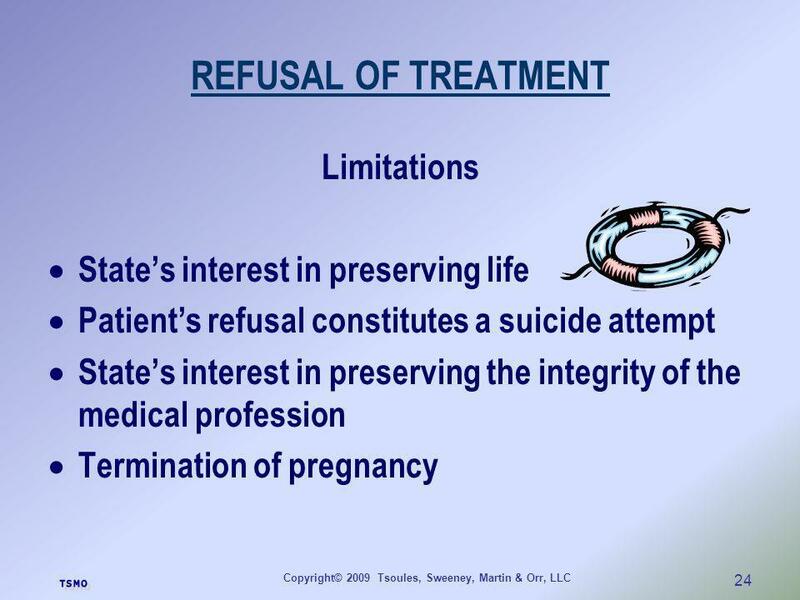 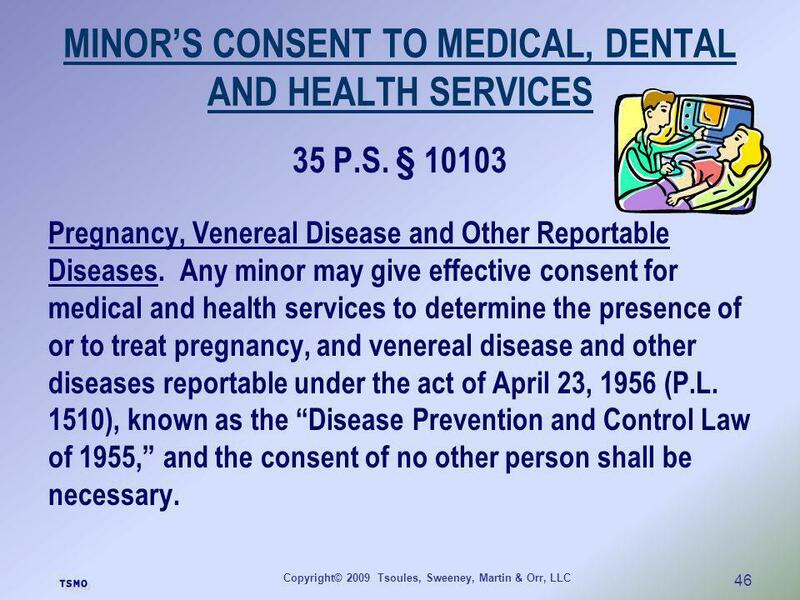 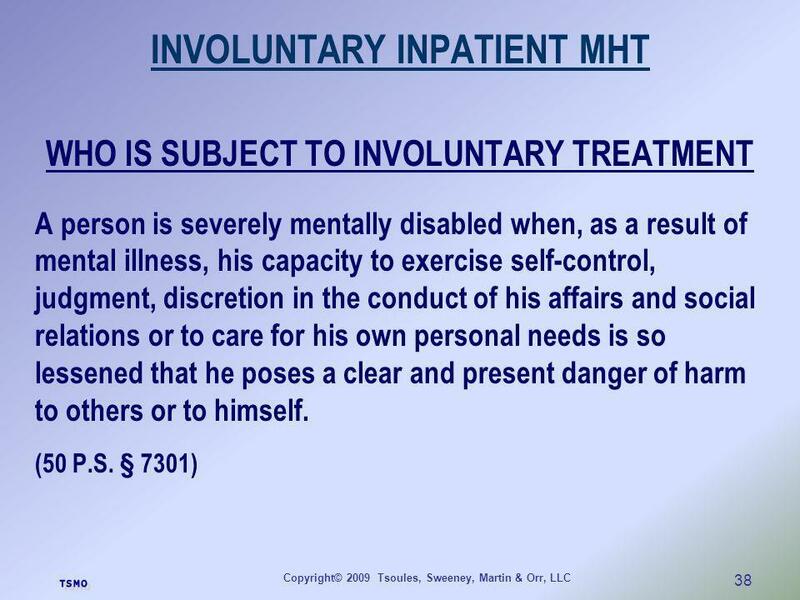 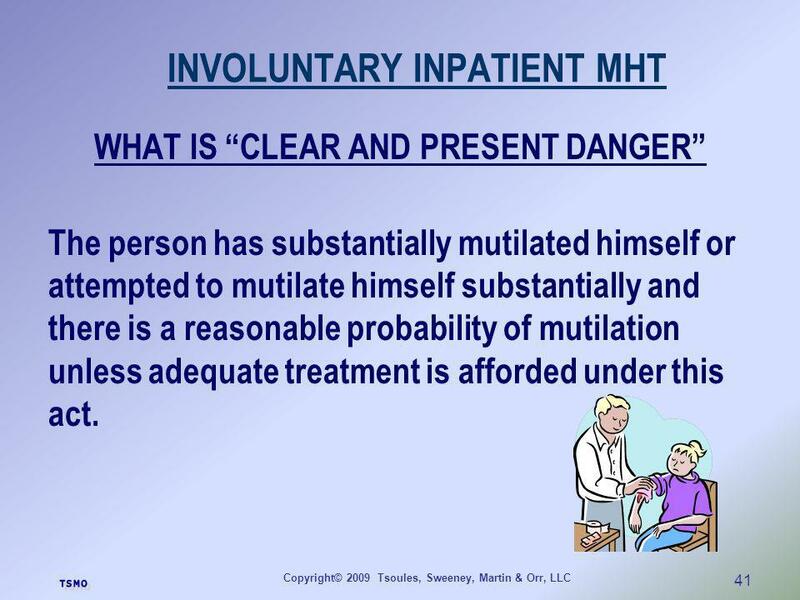 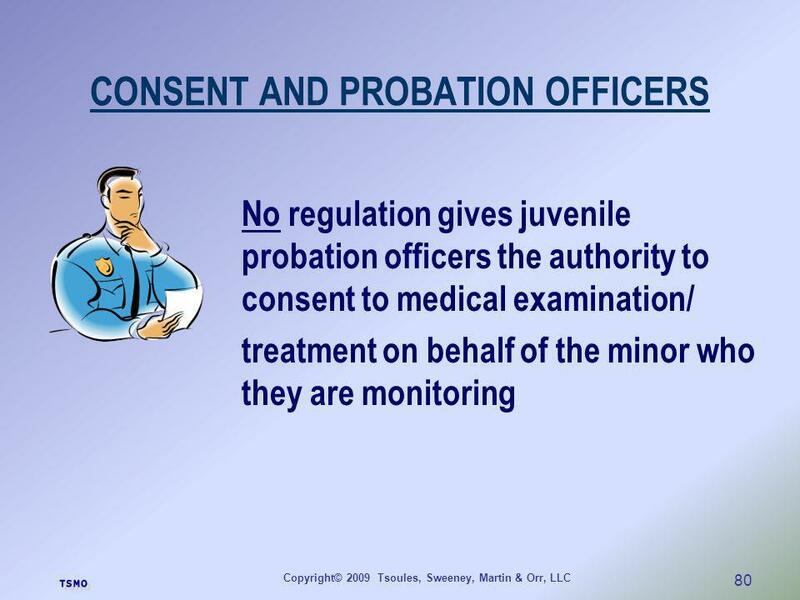 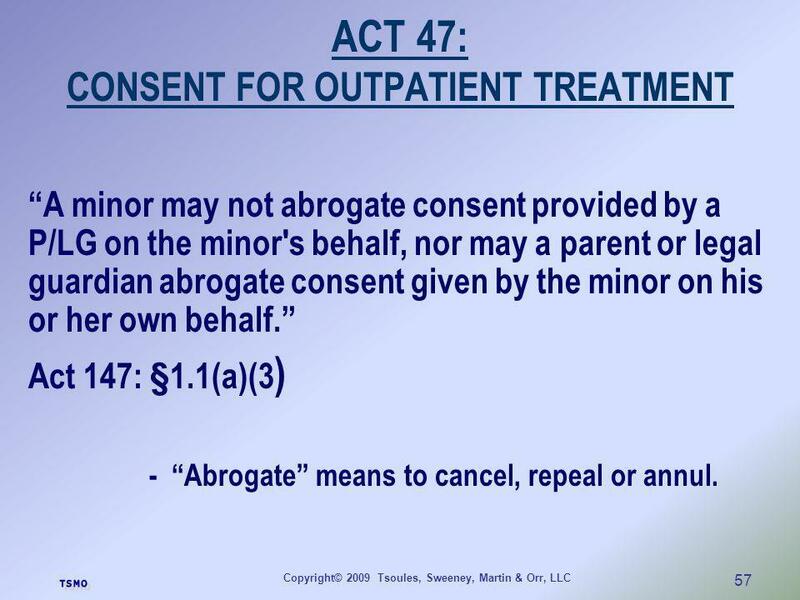 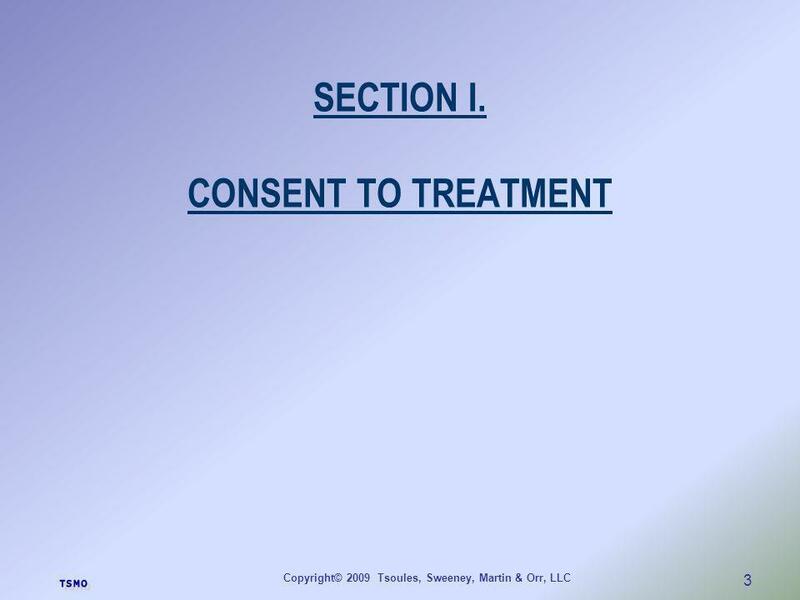 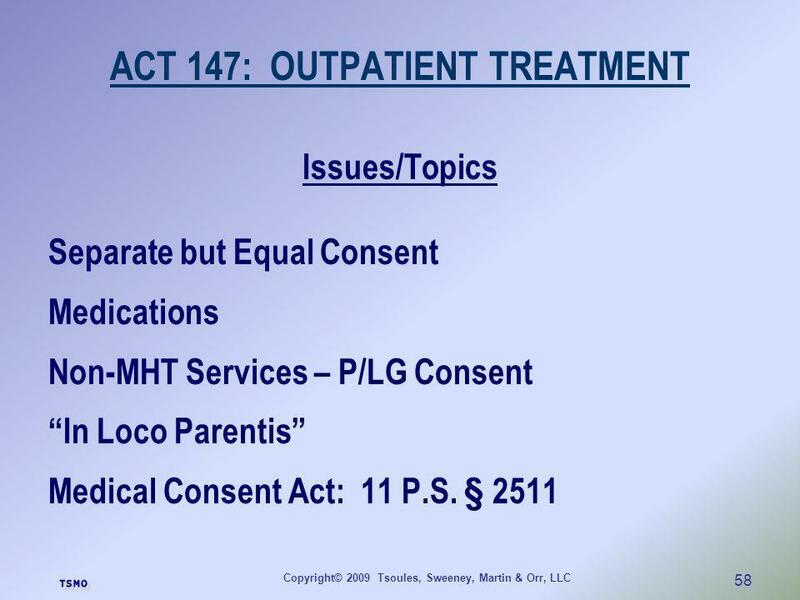 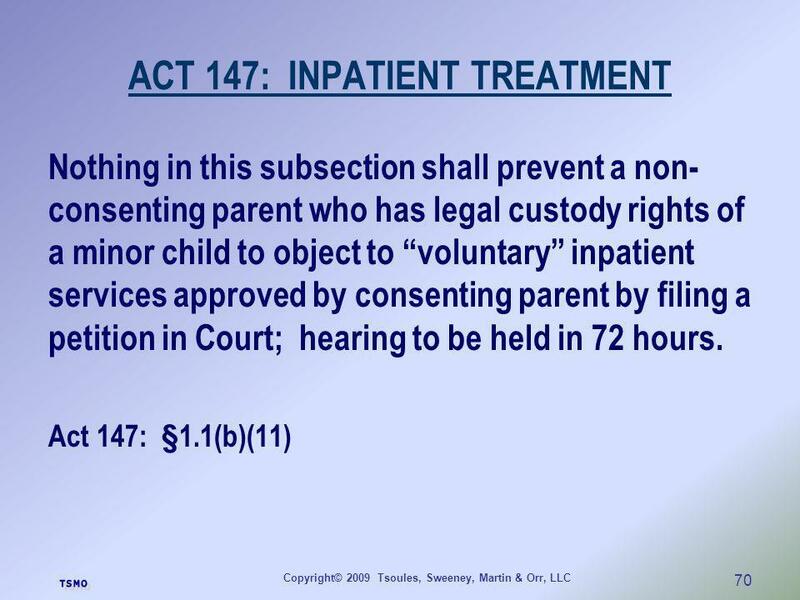 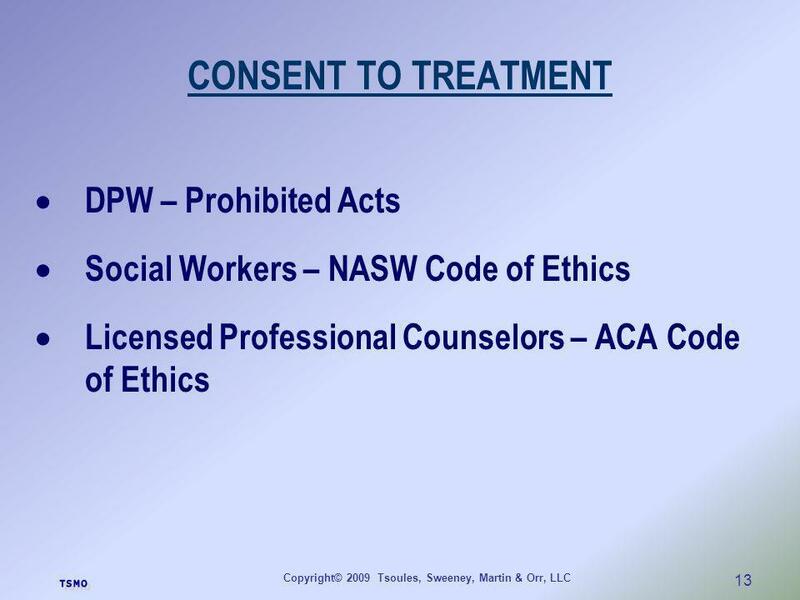 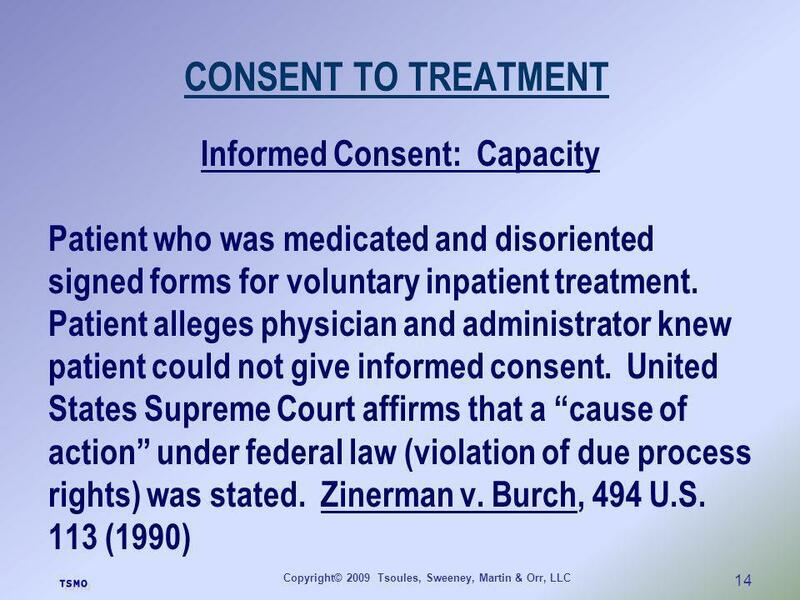 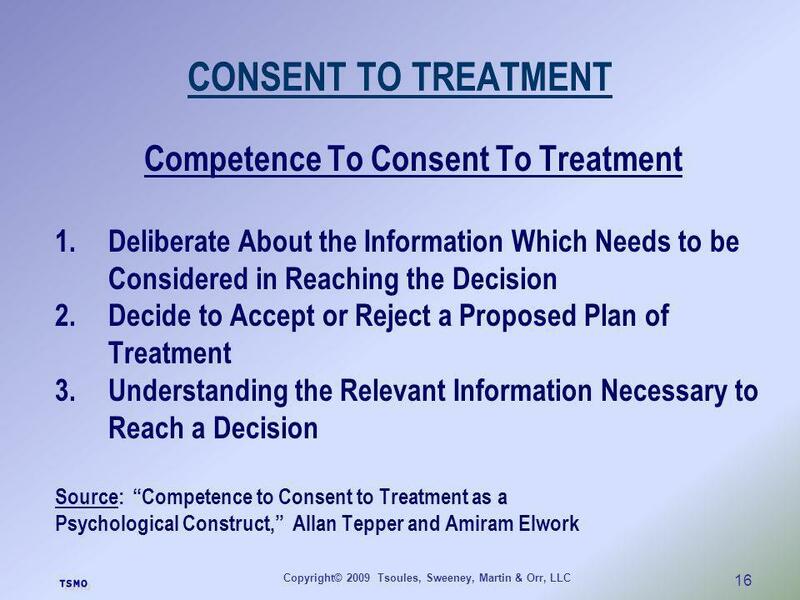 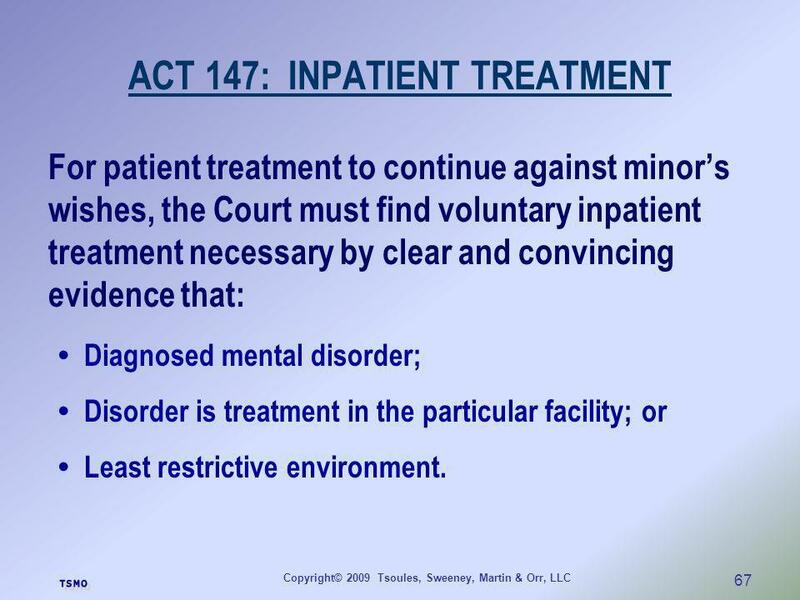 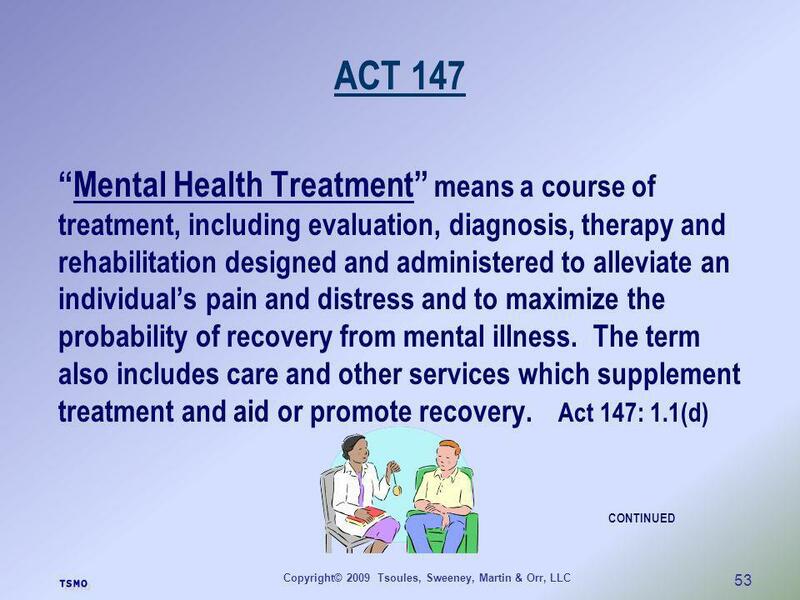 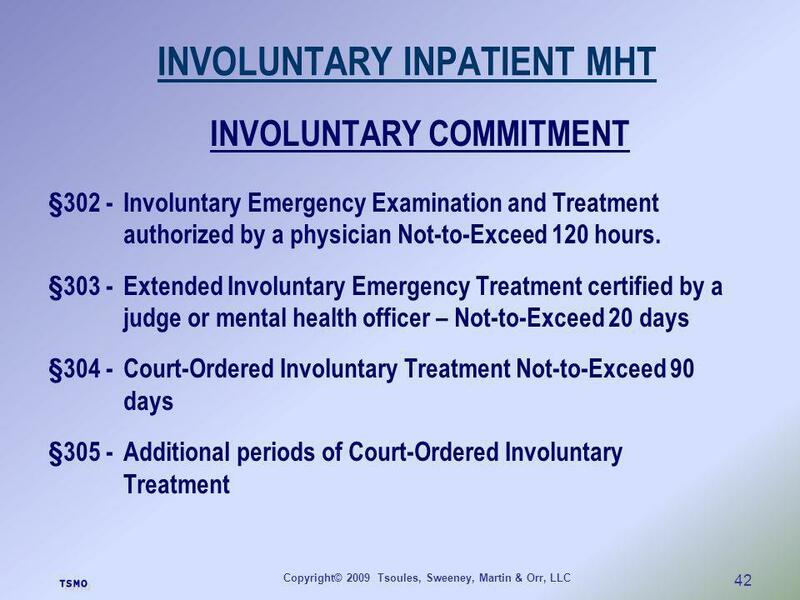 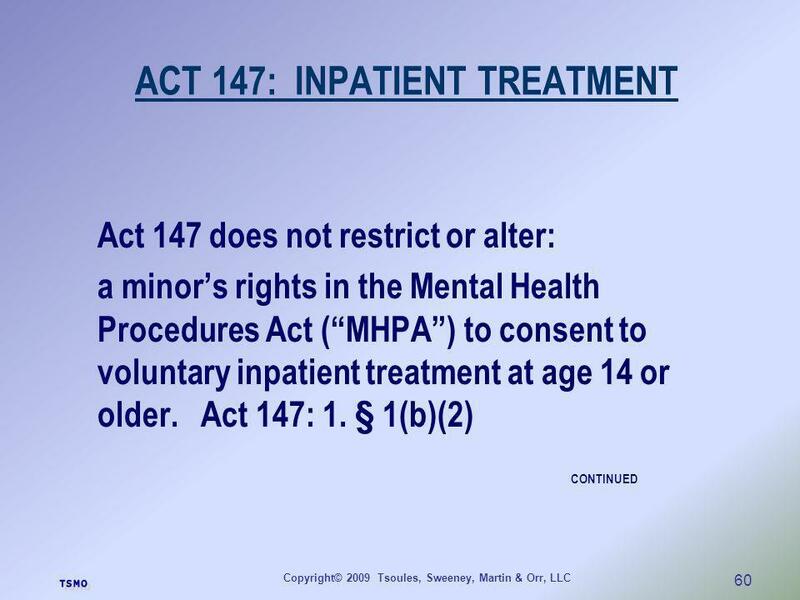 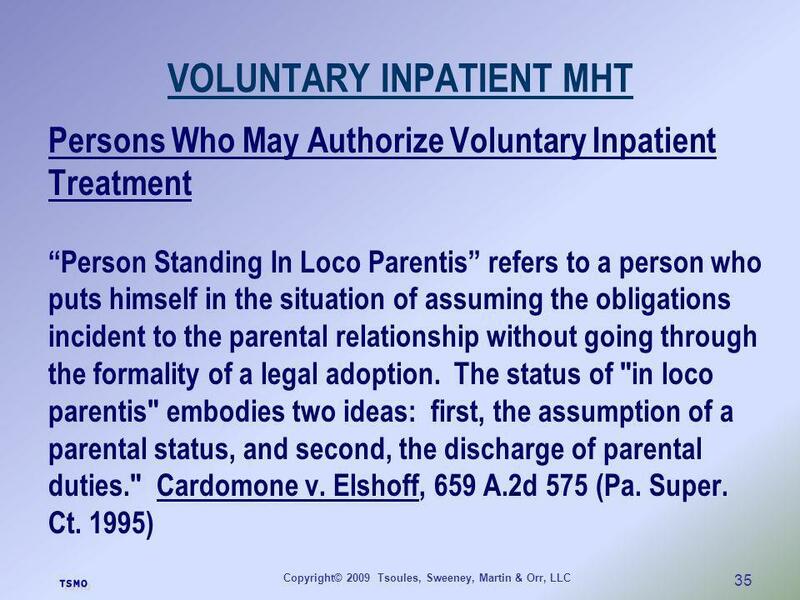 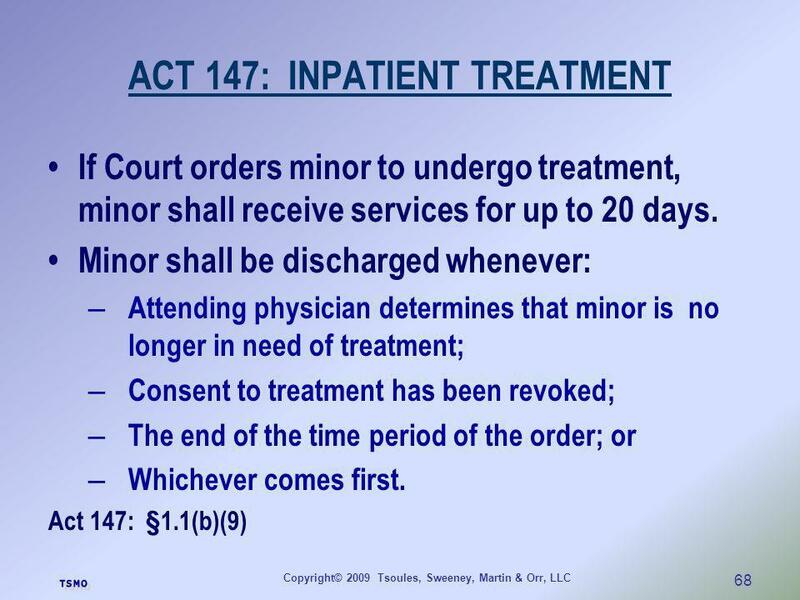 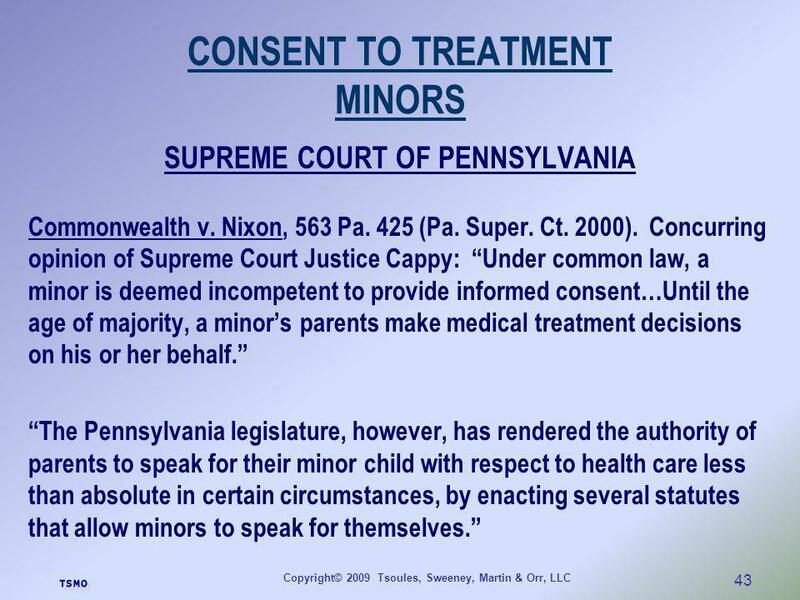 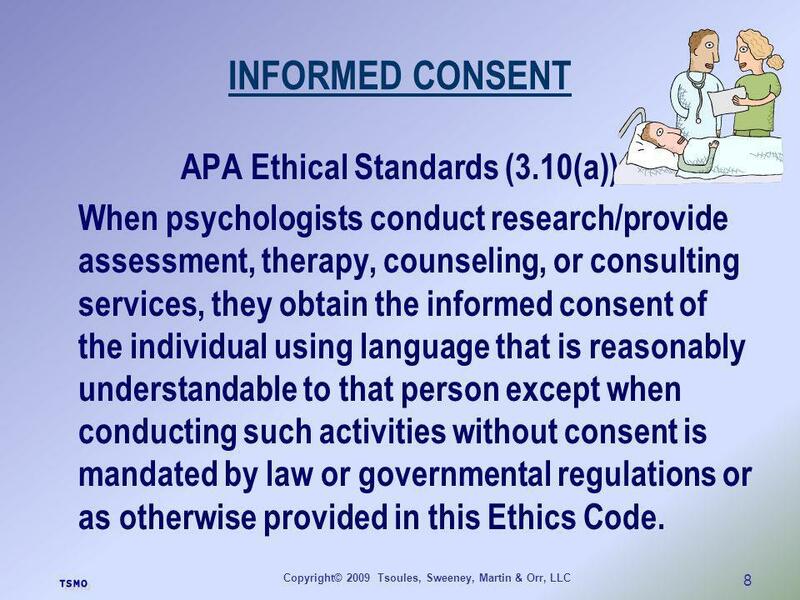 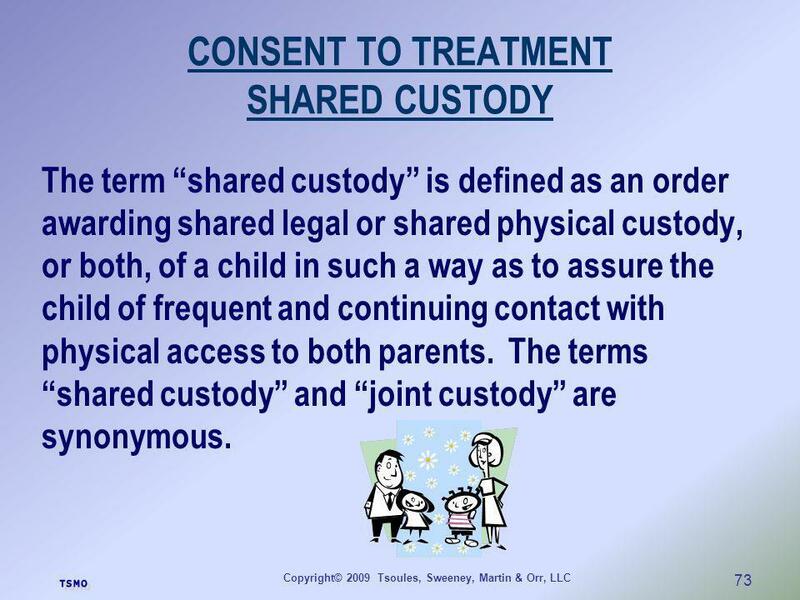 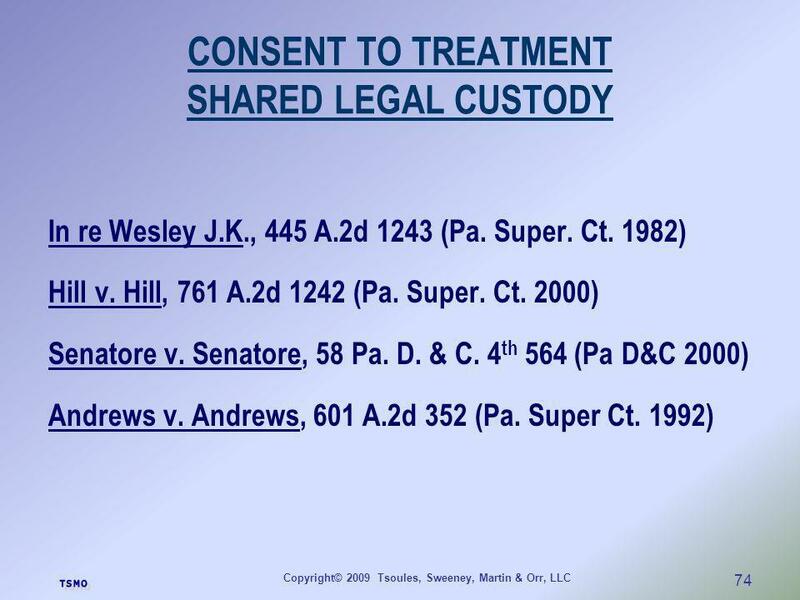 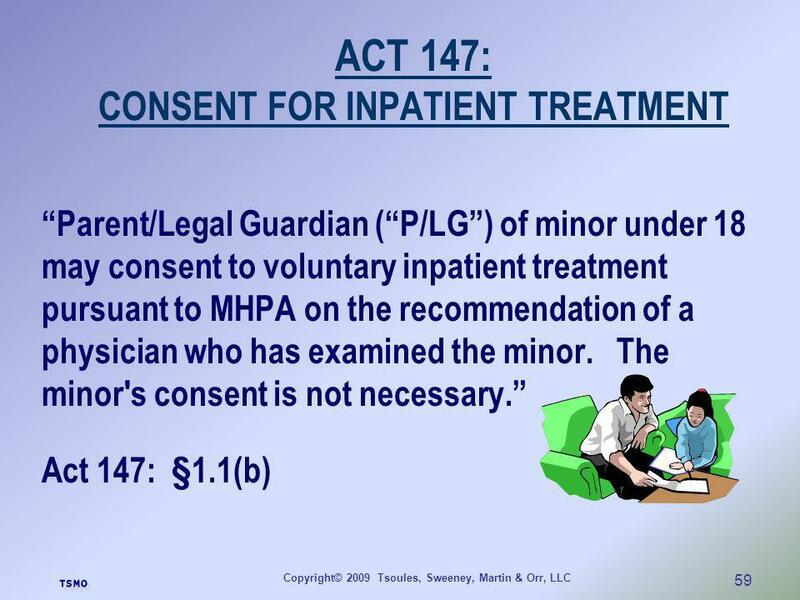 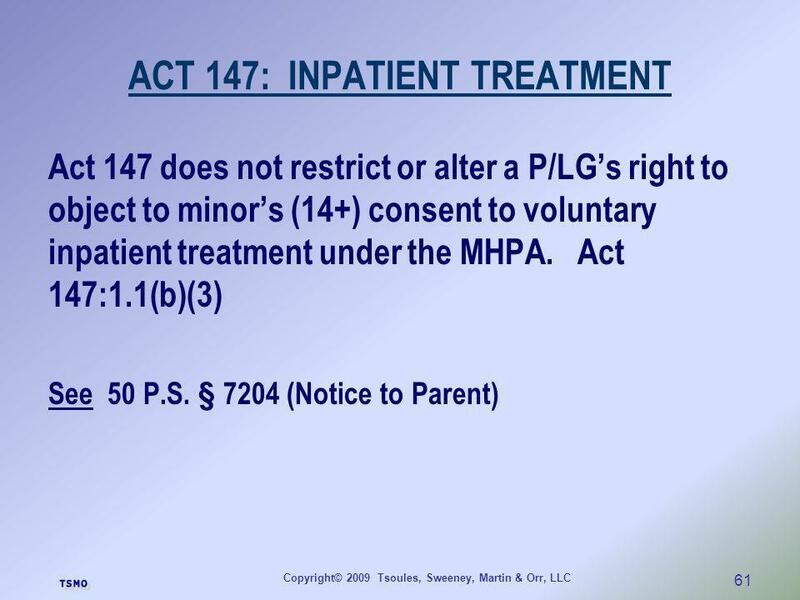 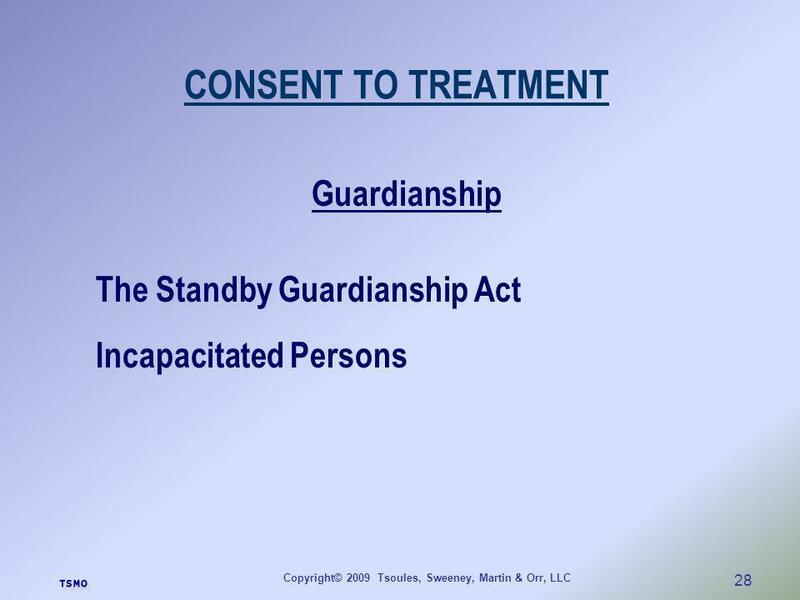 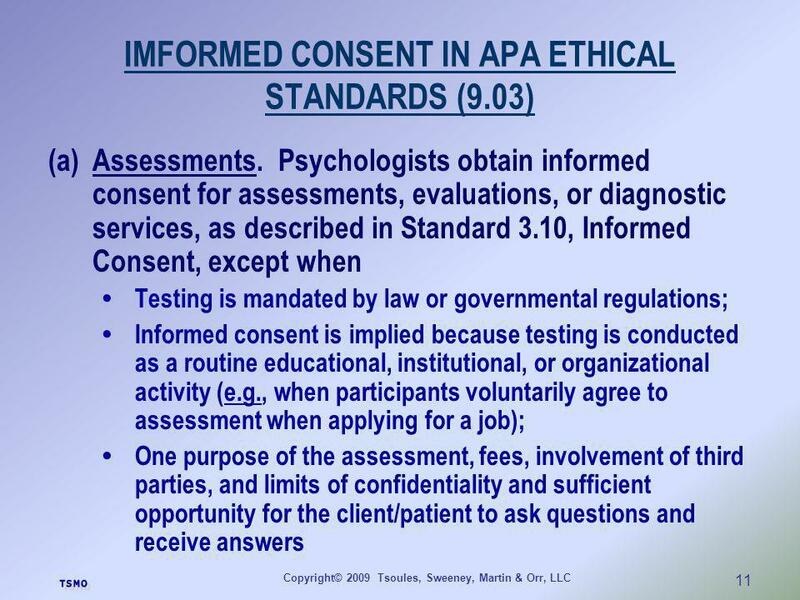 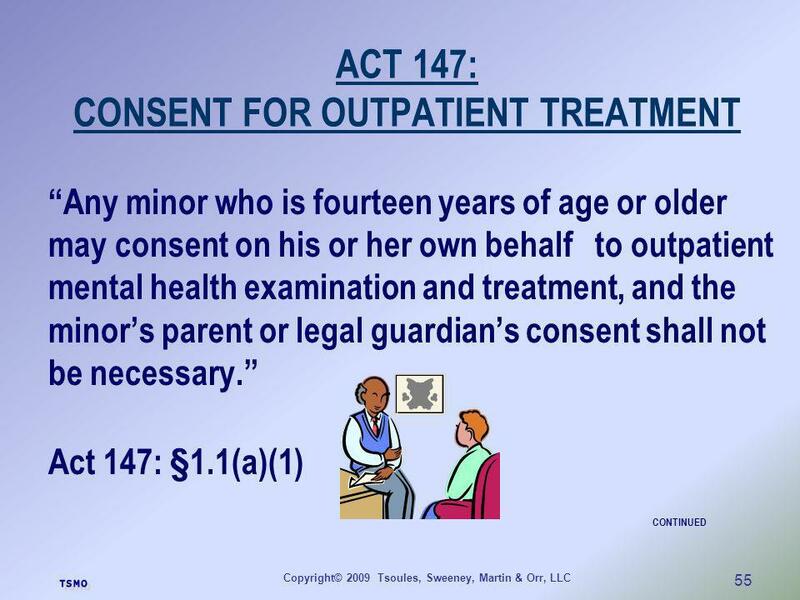 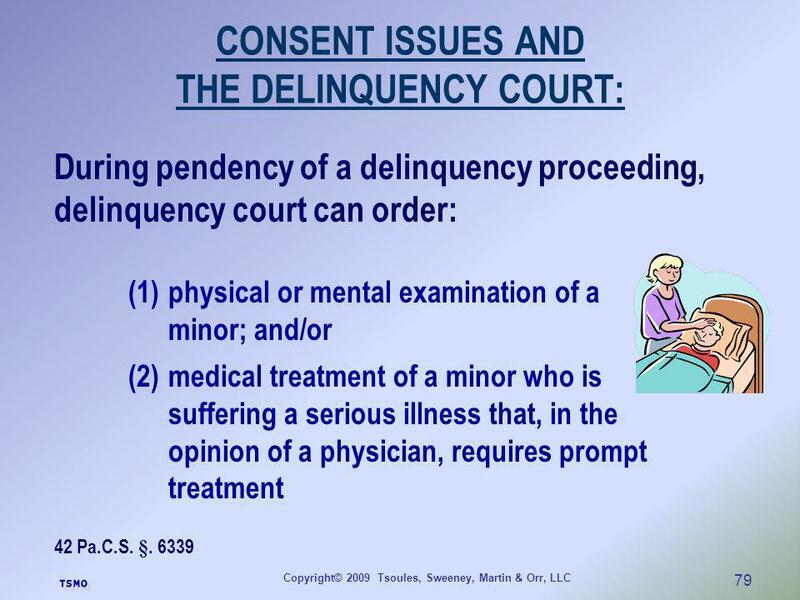 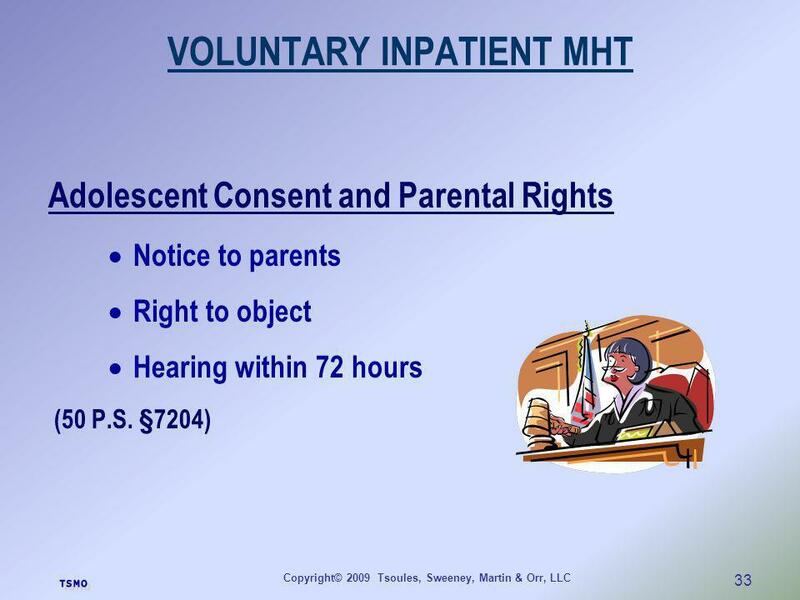 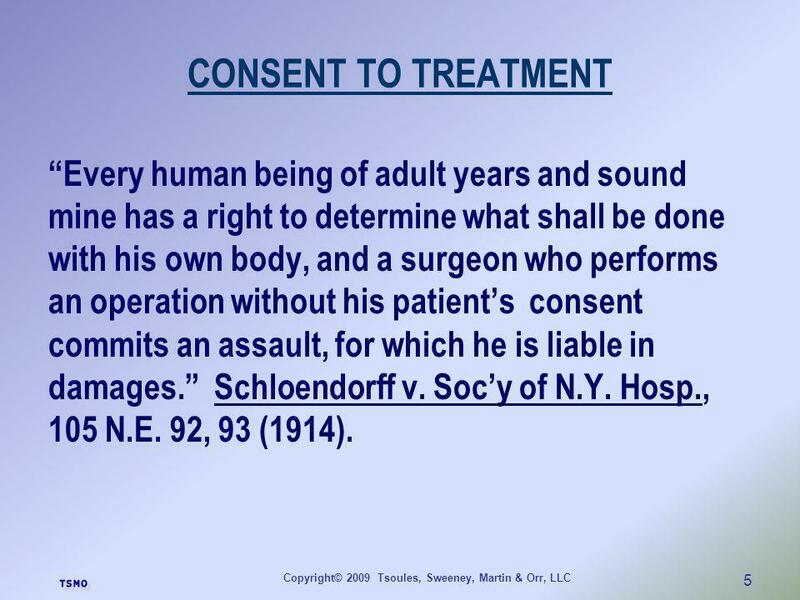 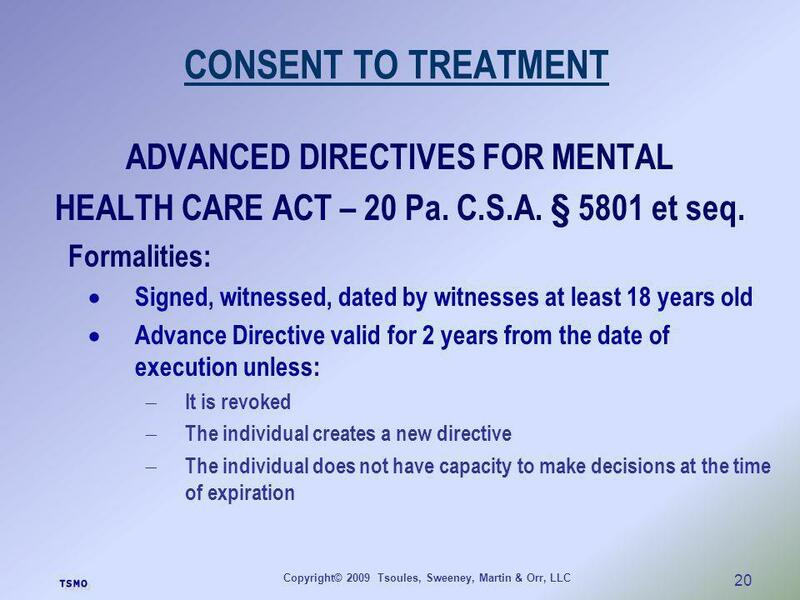 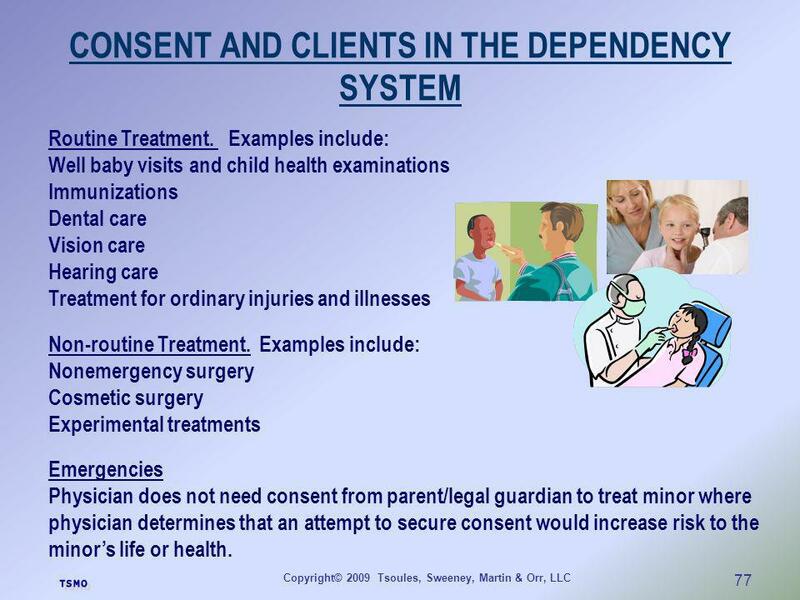 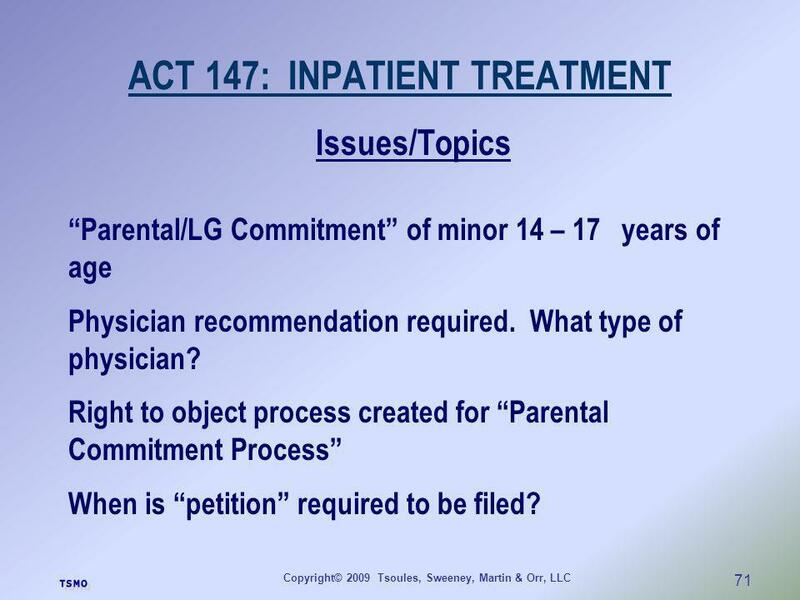 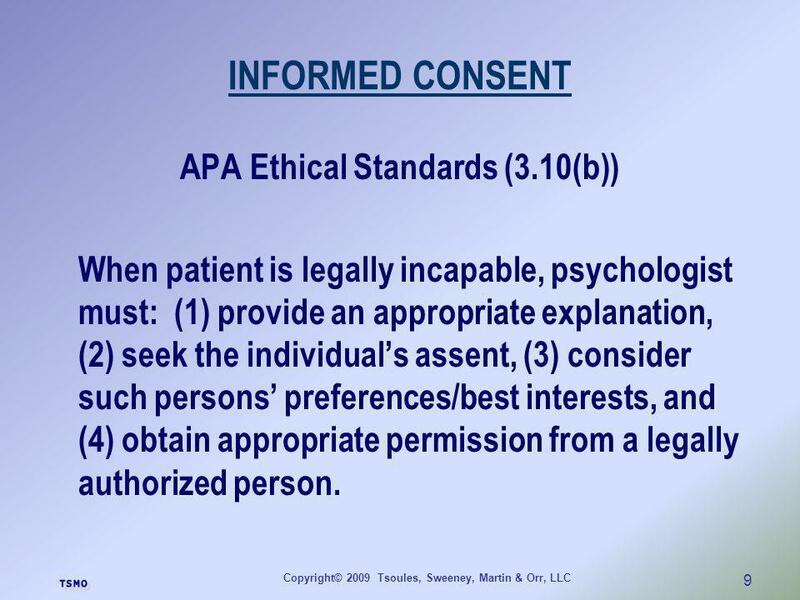 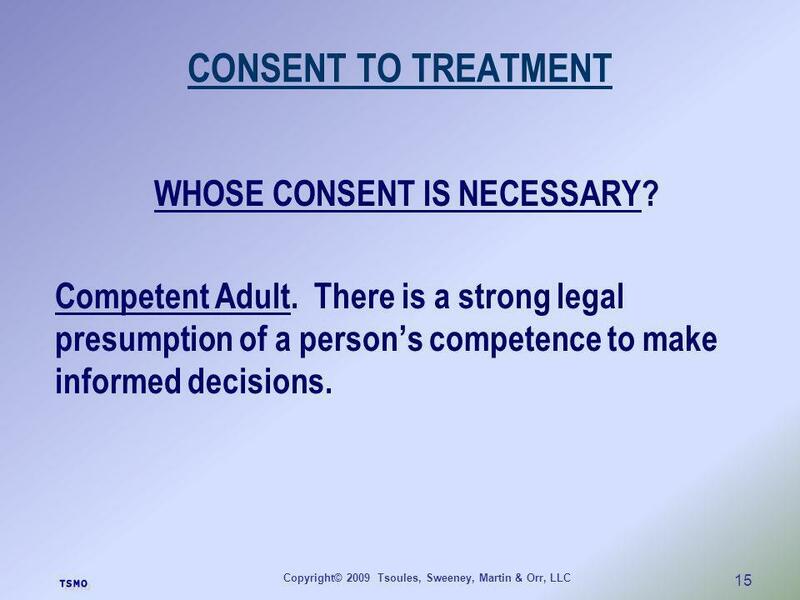 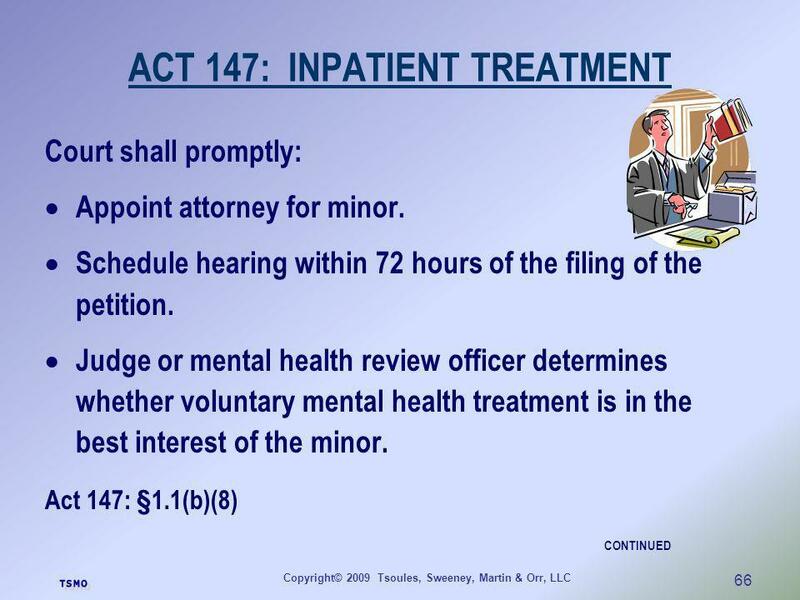 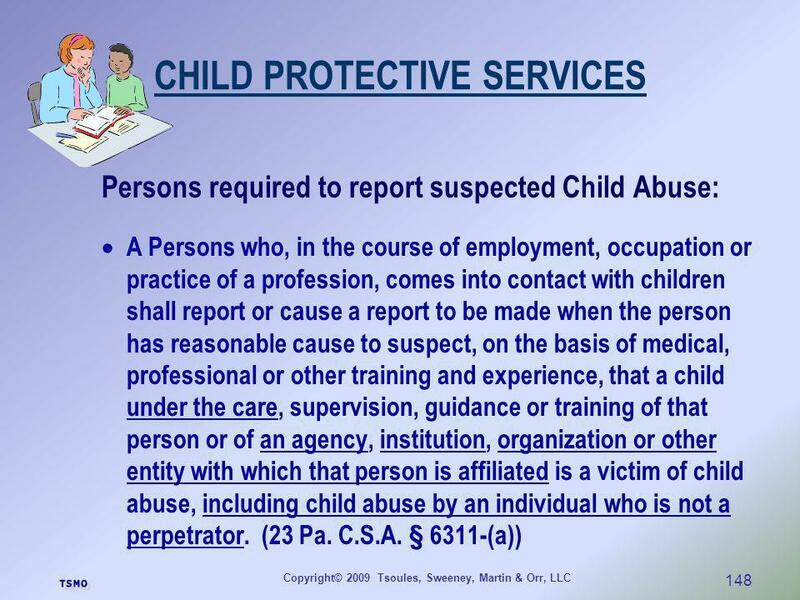 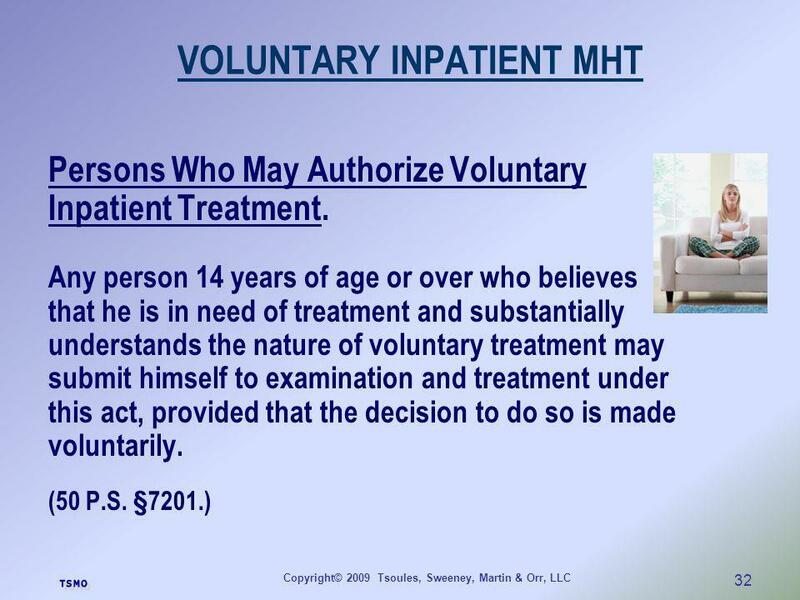 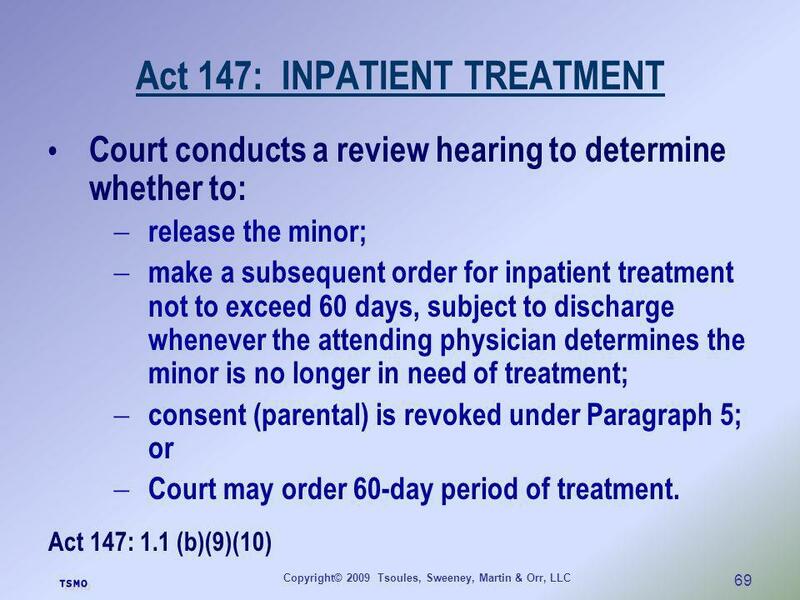 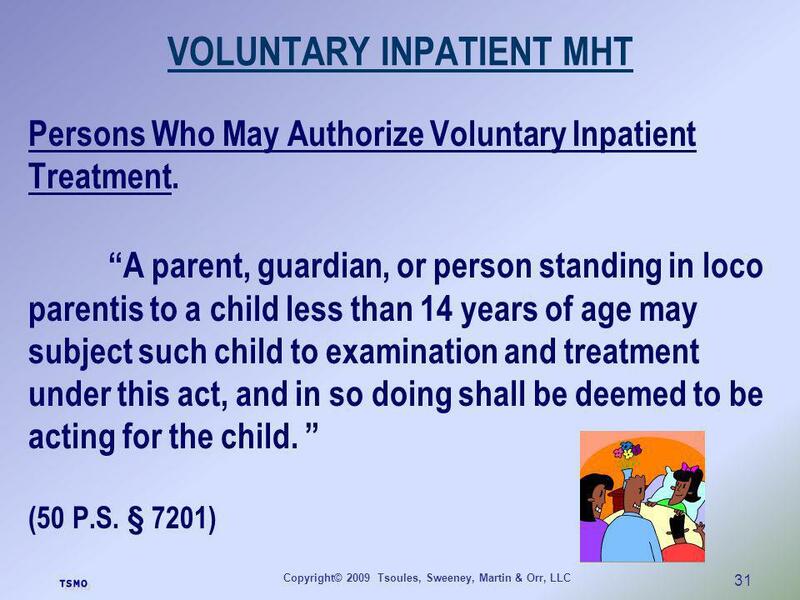 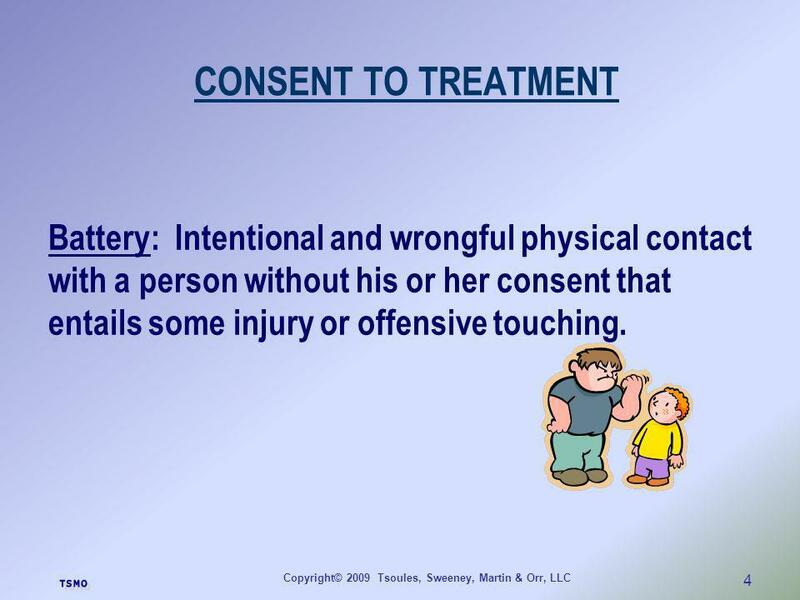 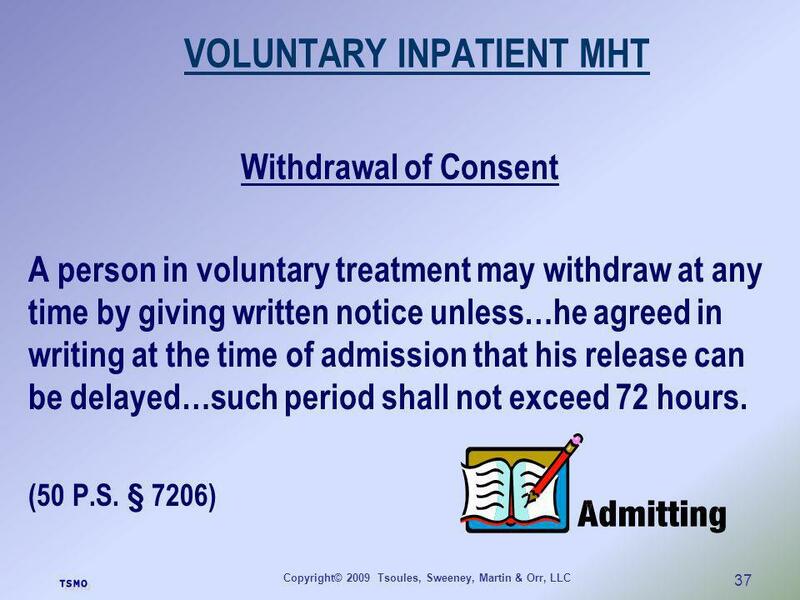 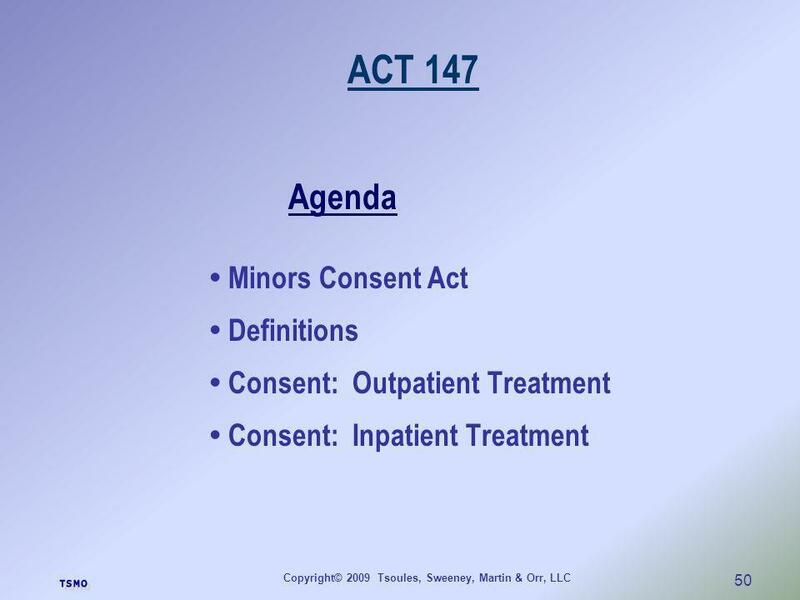 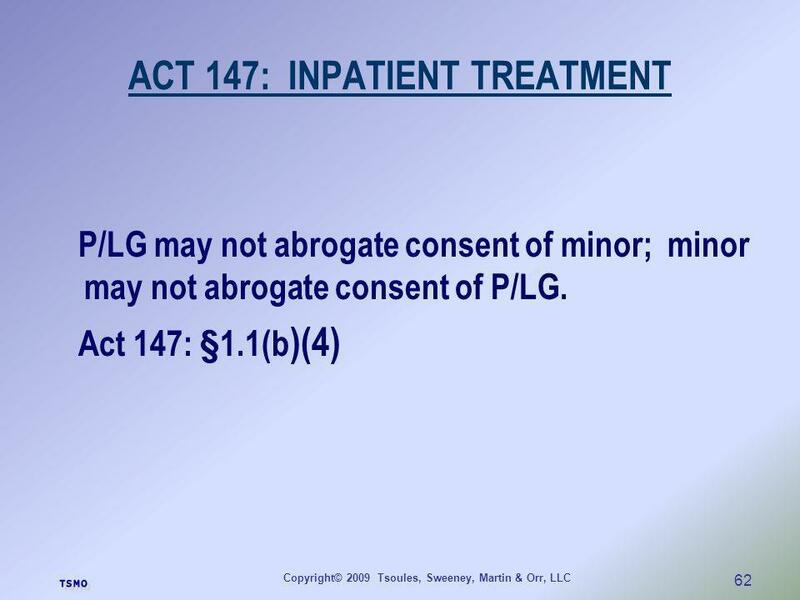 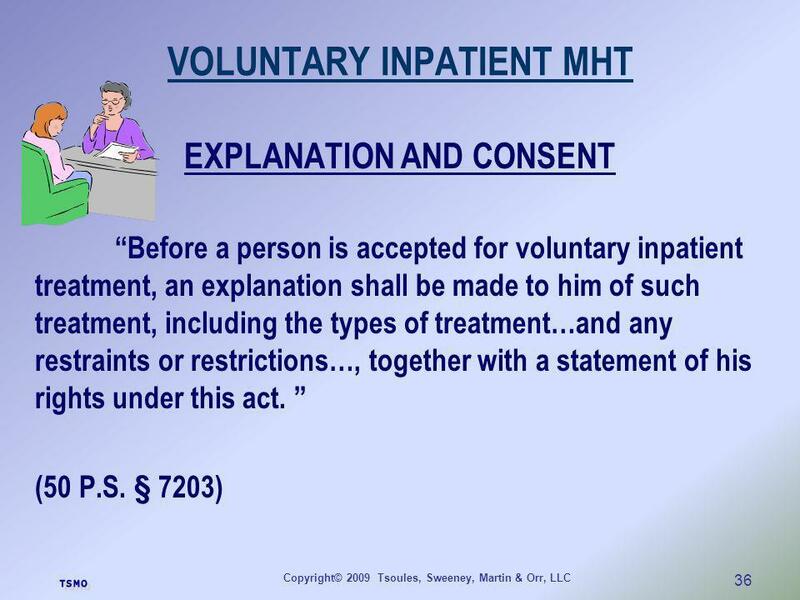 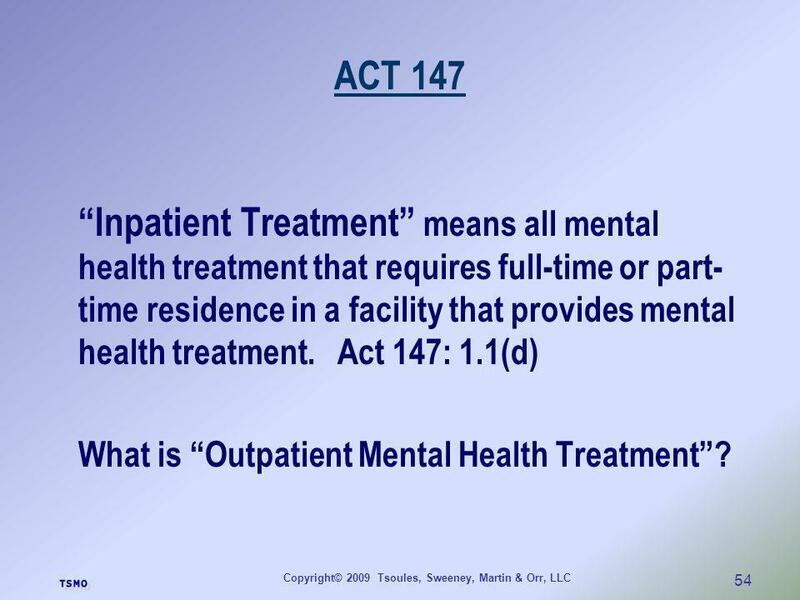 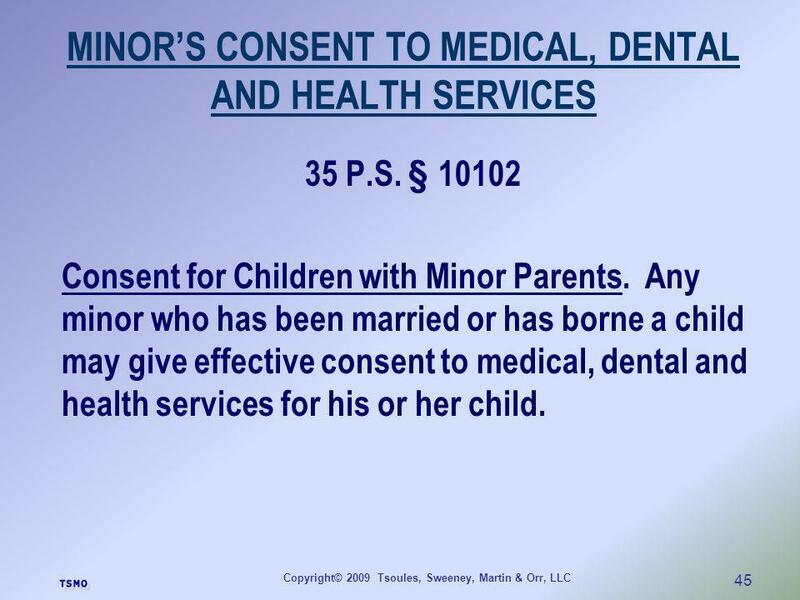 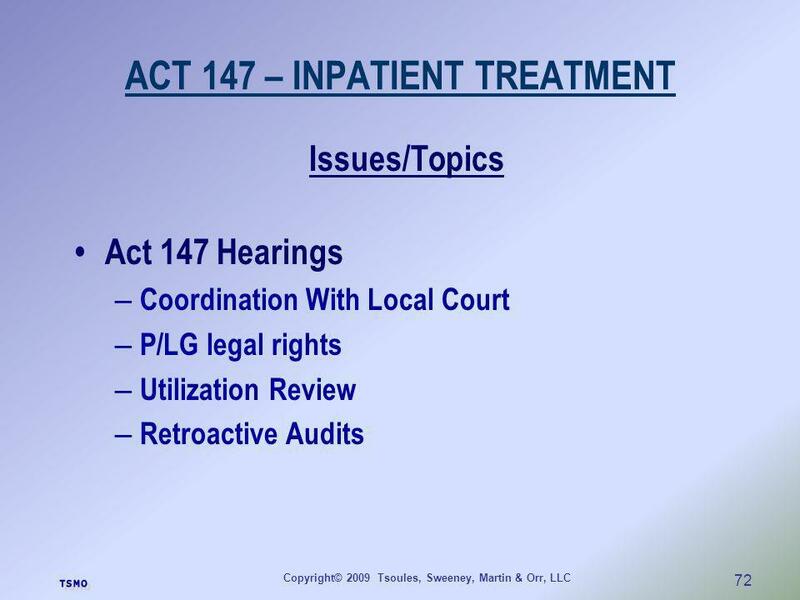 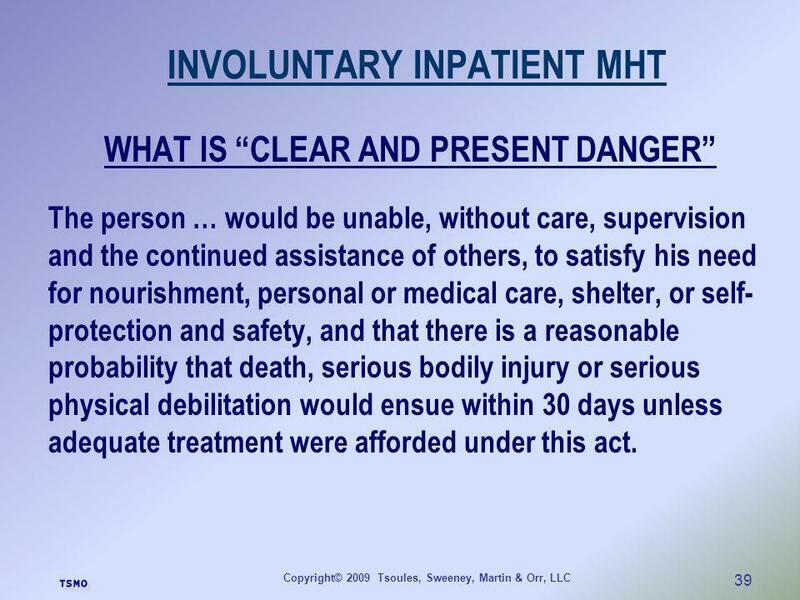 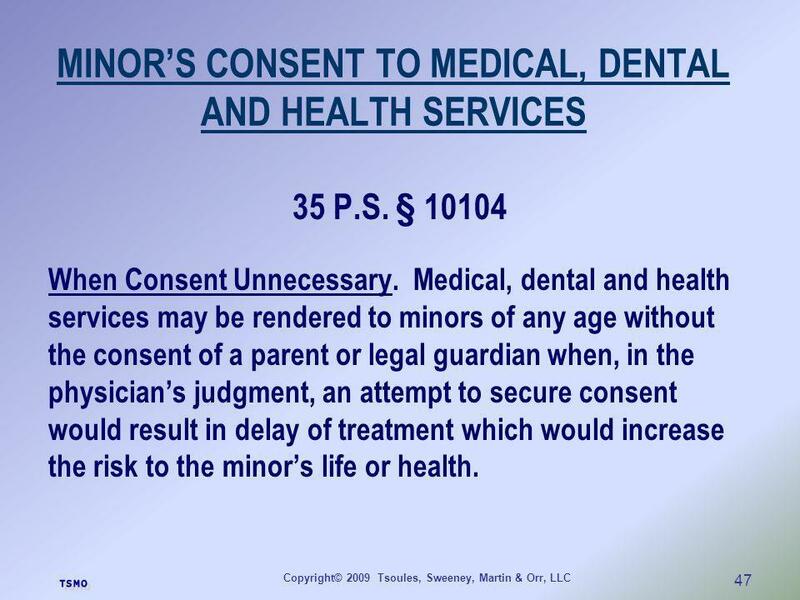 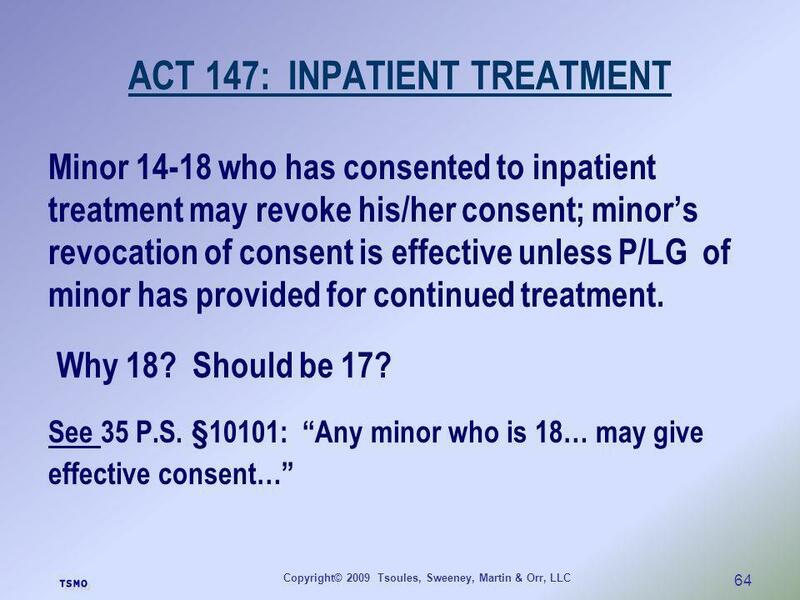 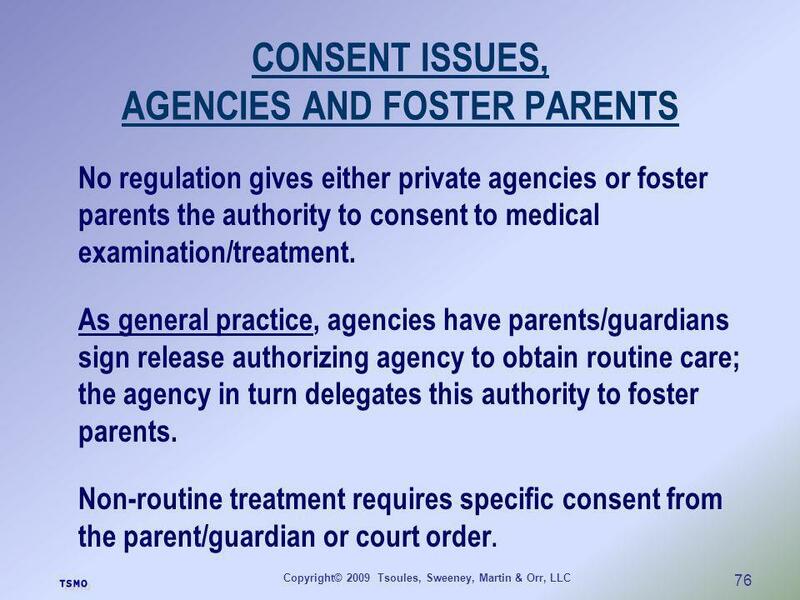 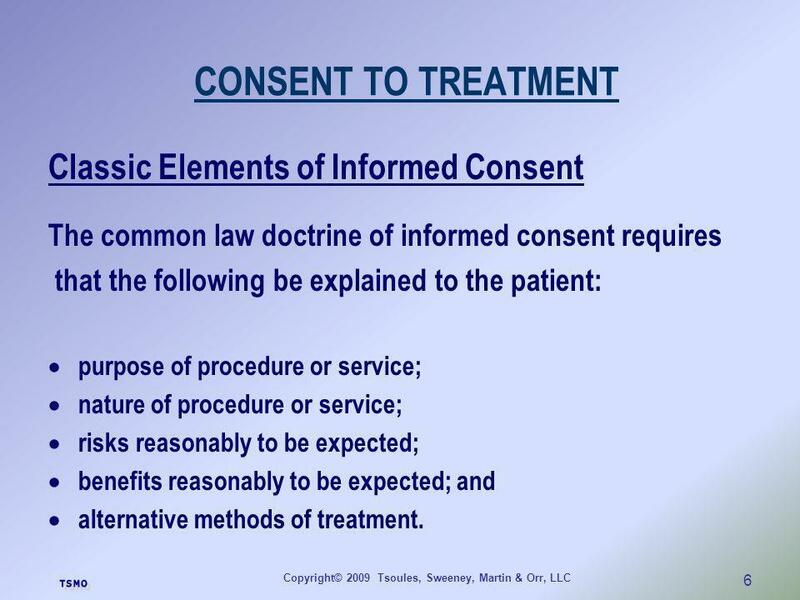 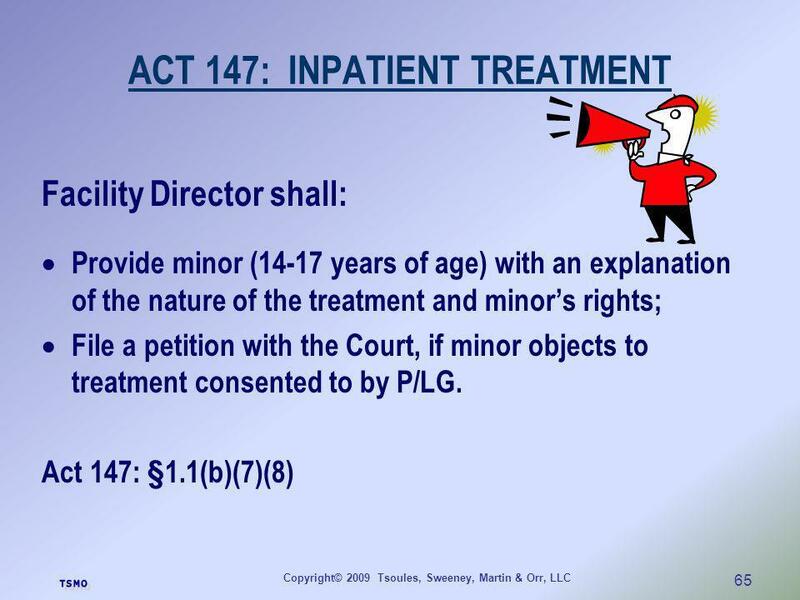 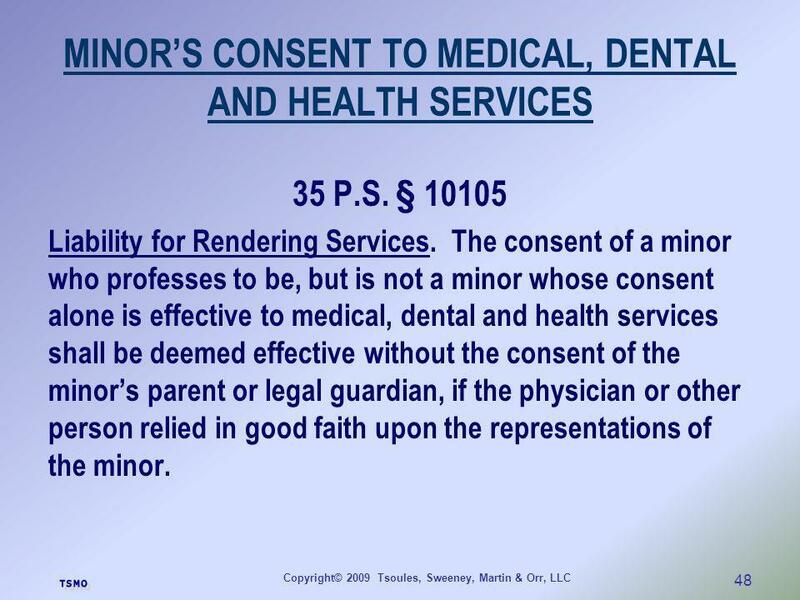 15 CONSENT TO TREATMENT WHOSE CONSENT IS NECESSARY? 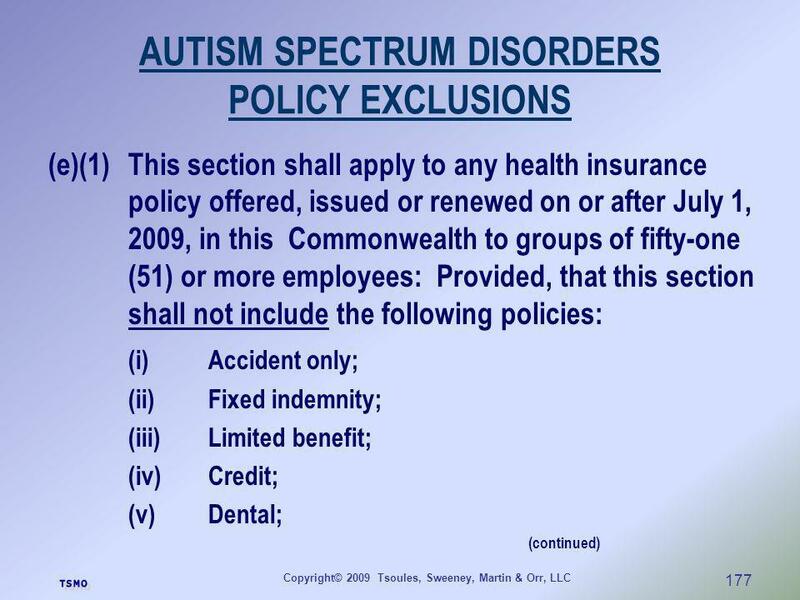 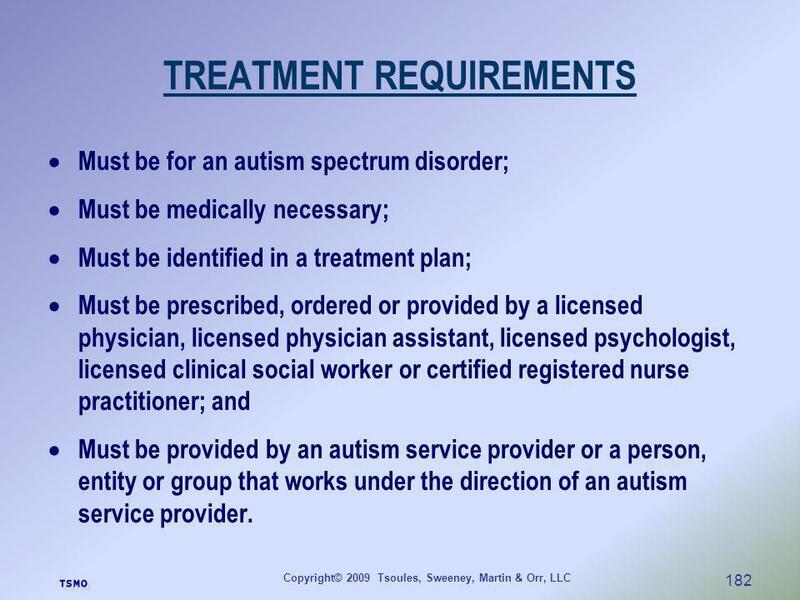 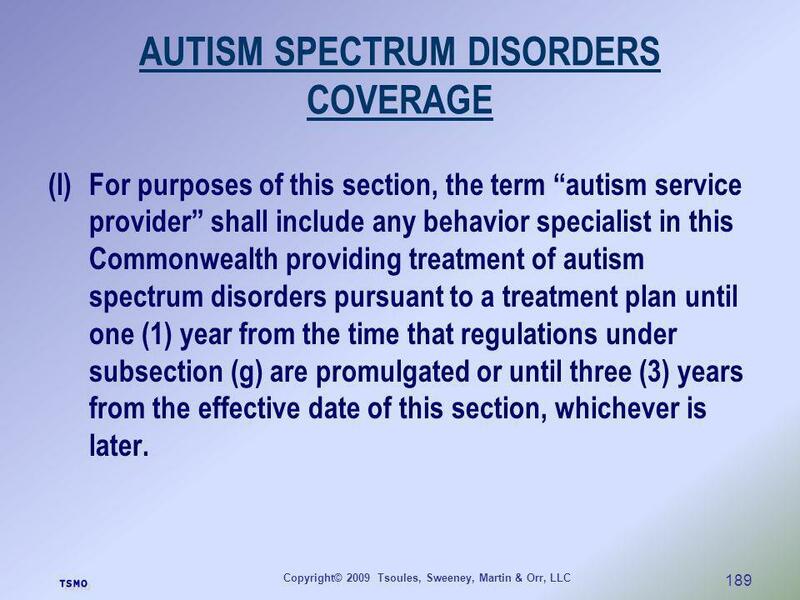 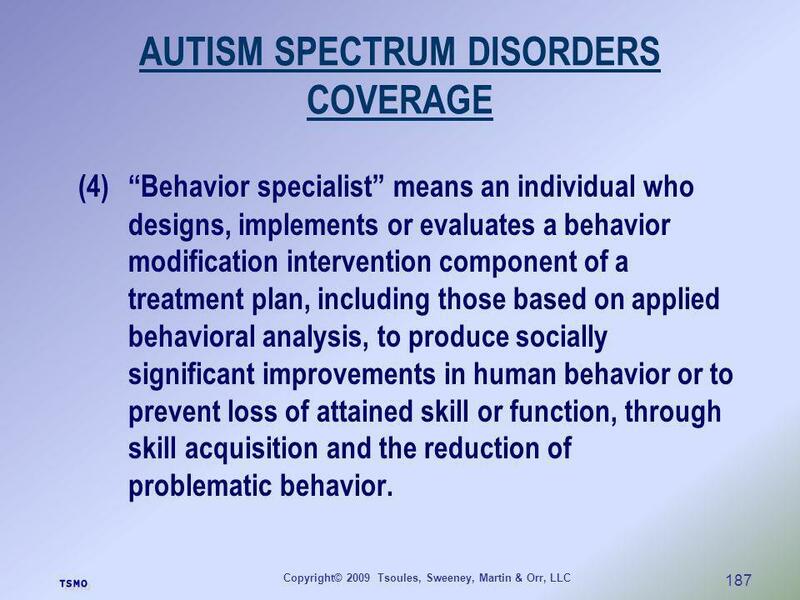 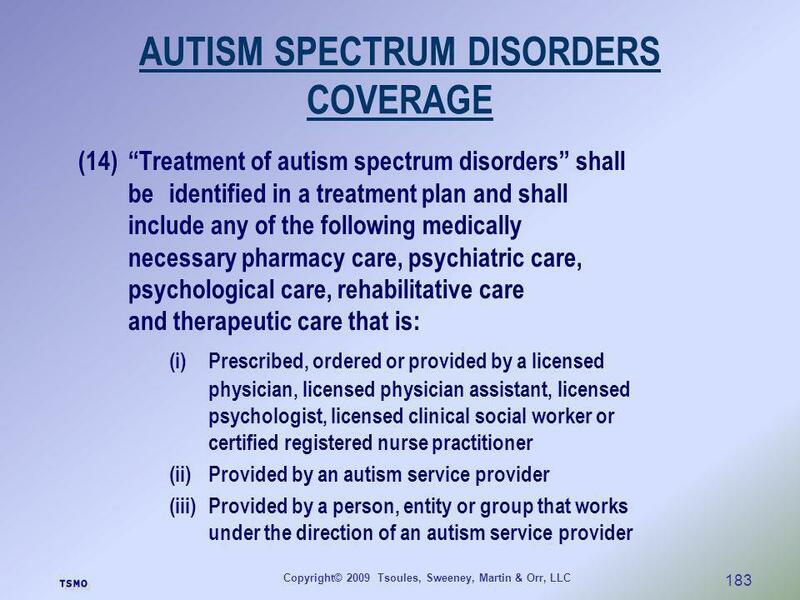 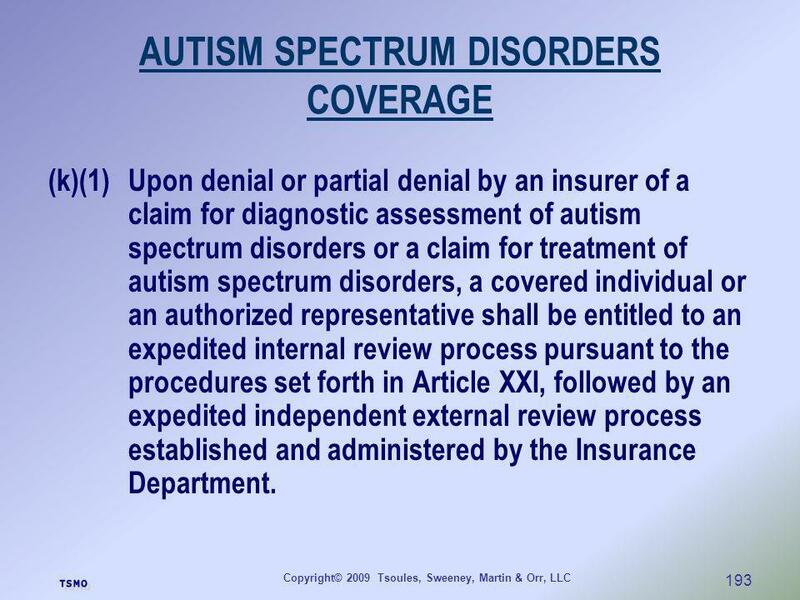 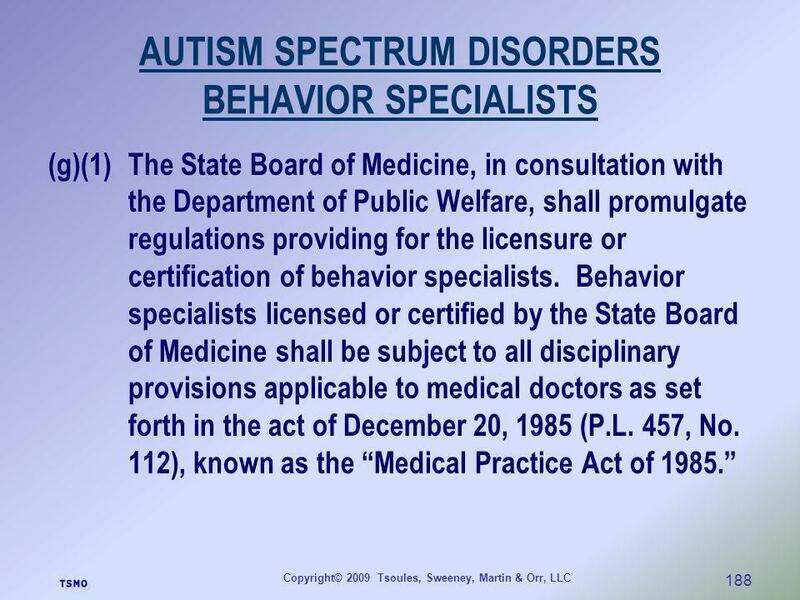 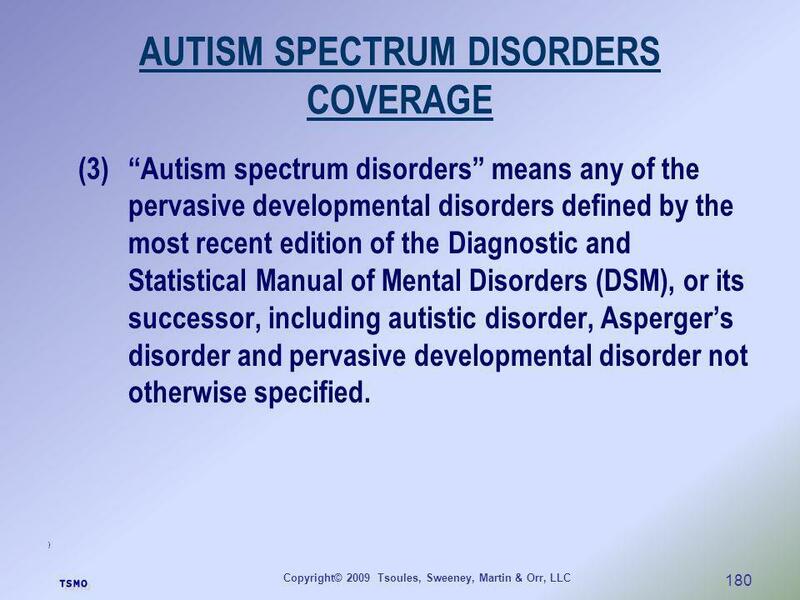 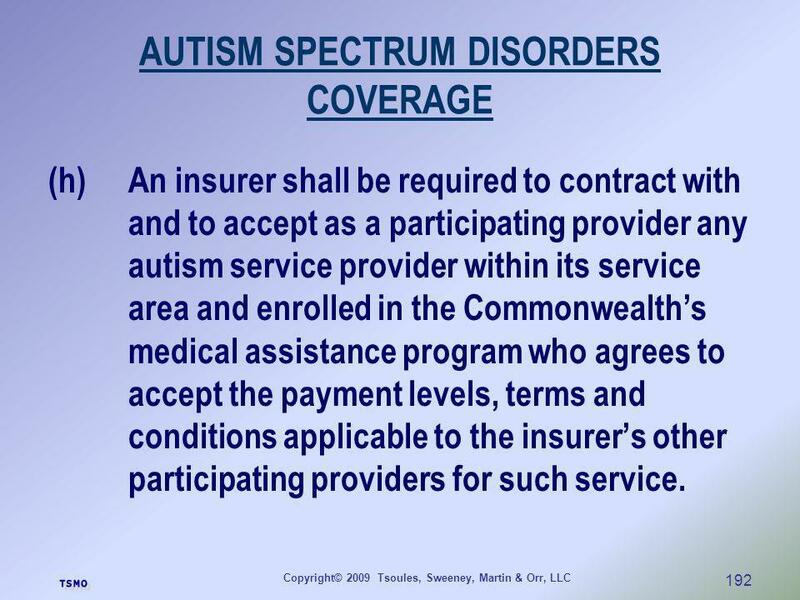 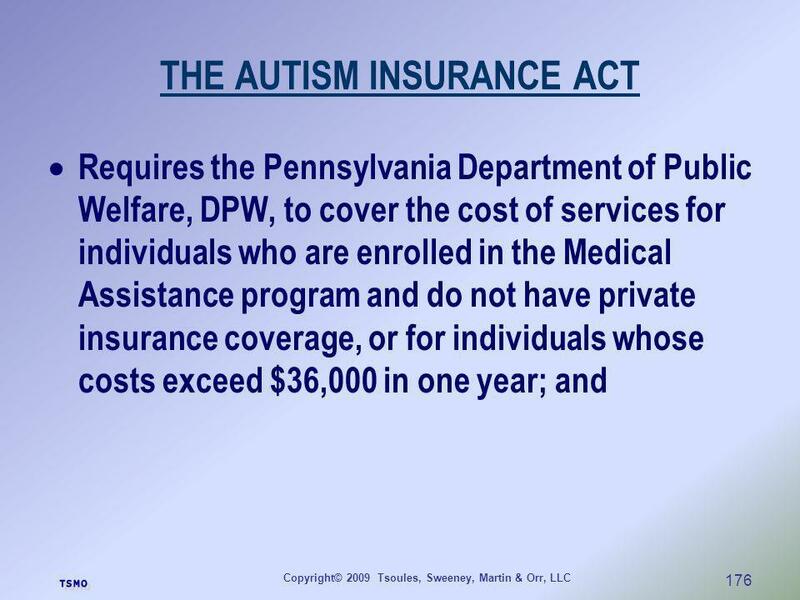 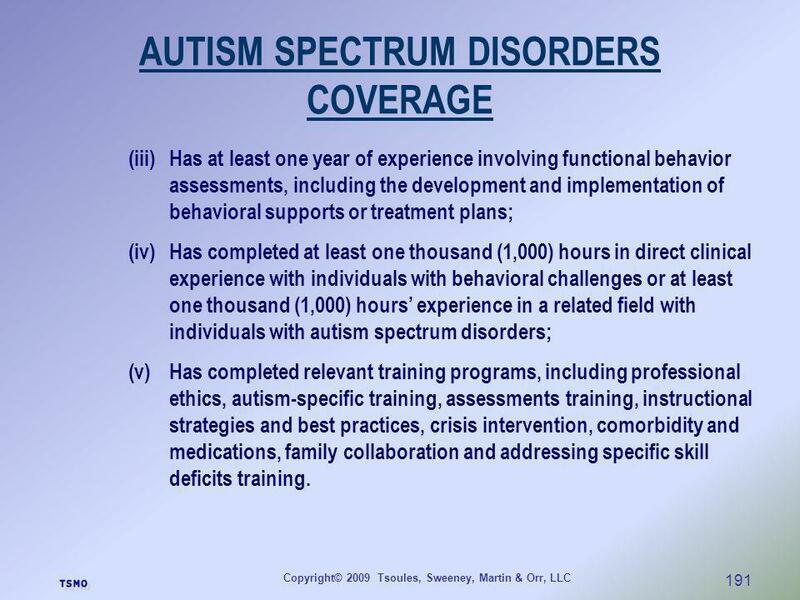 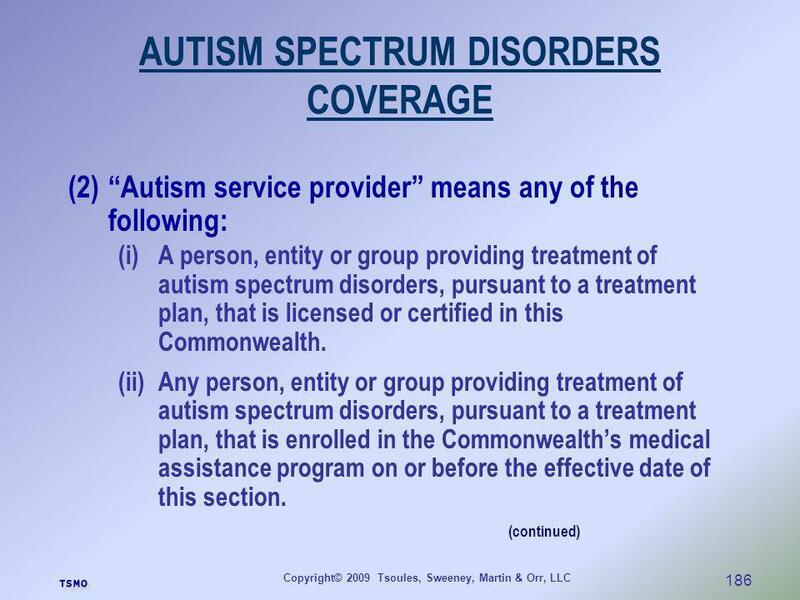 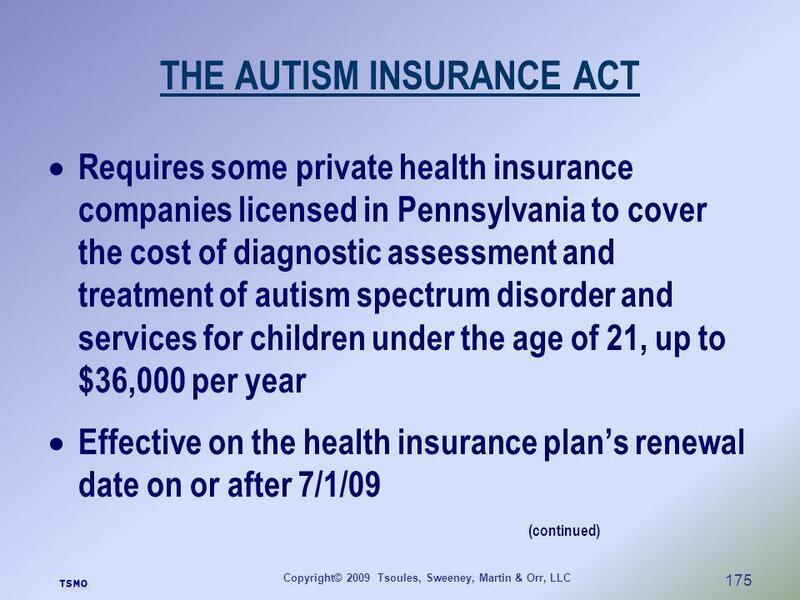 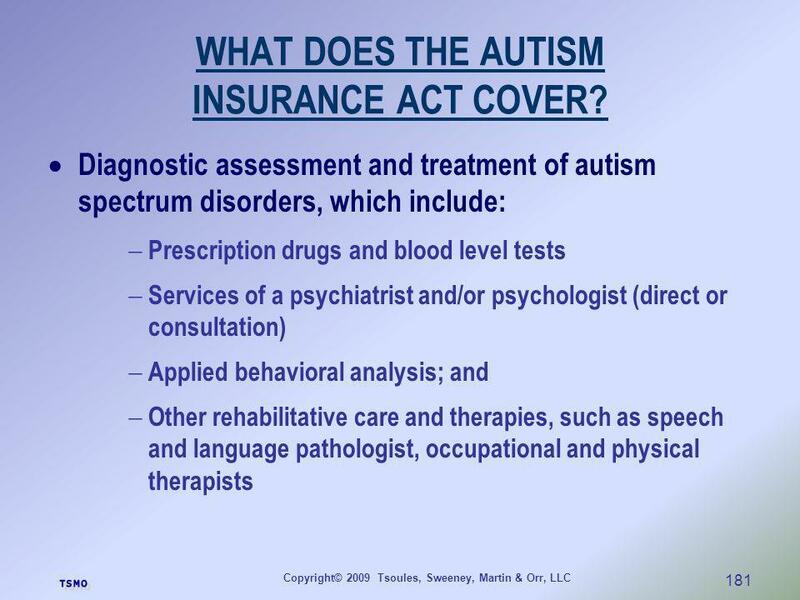 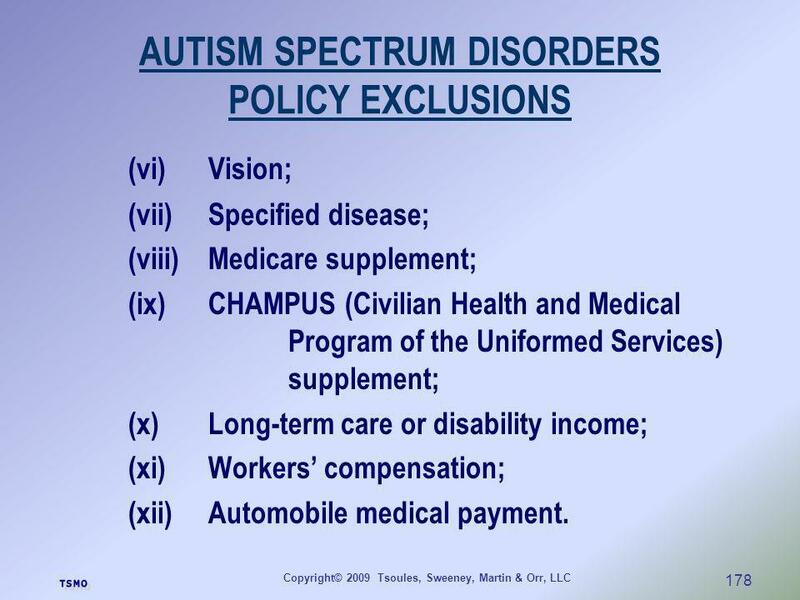 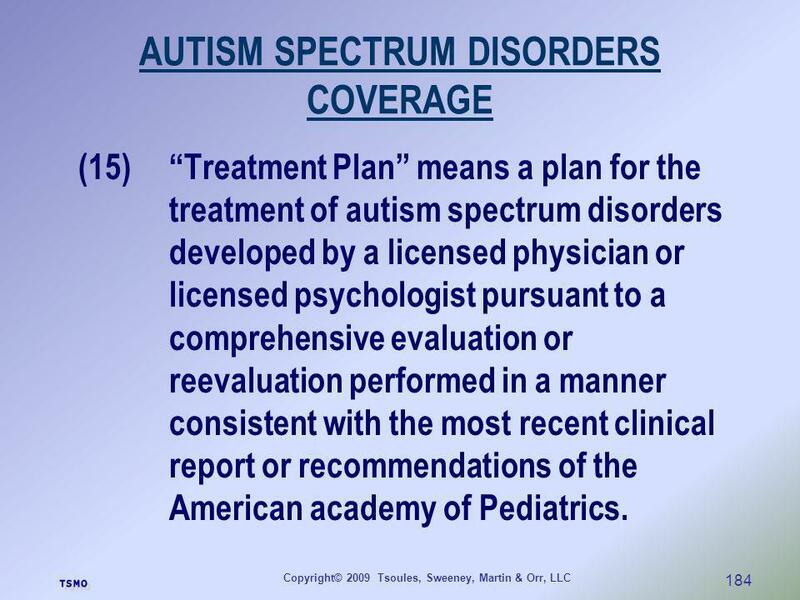 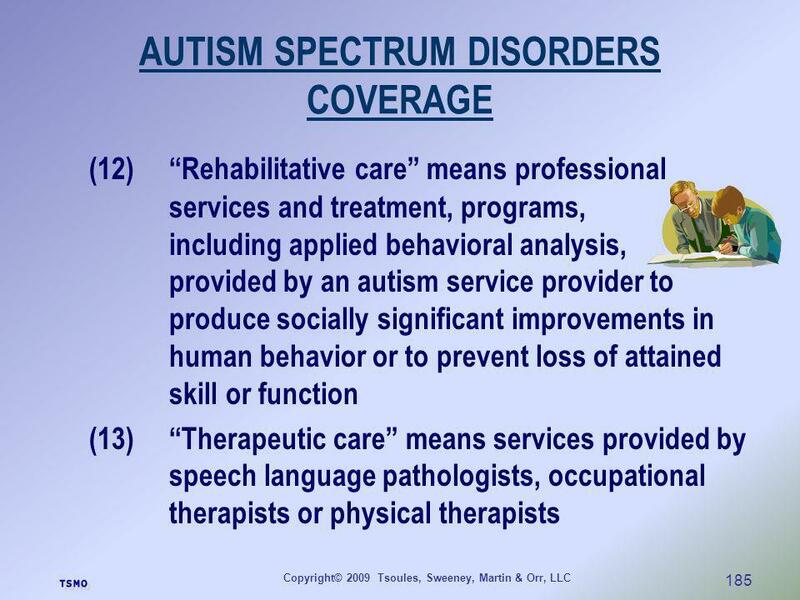 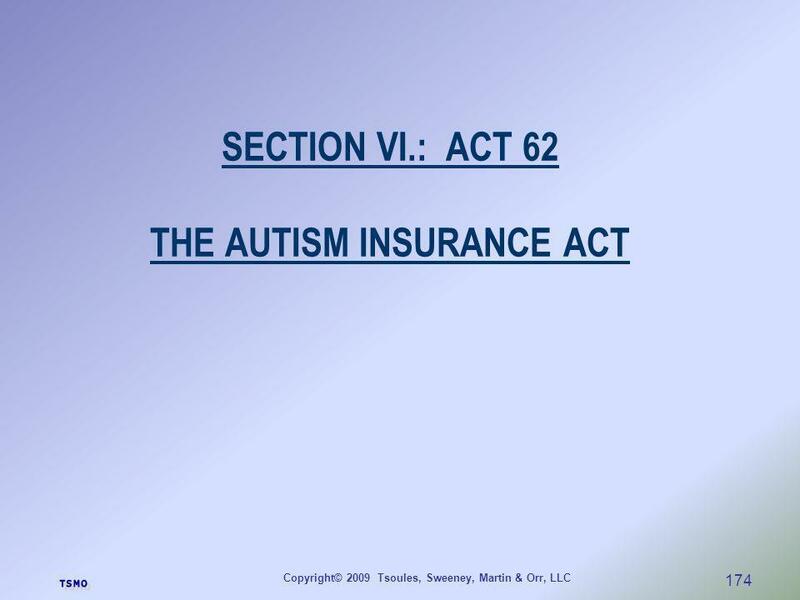 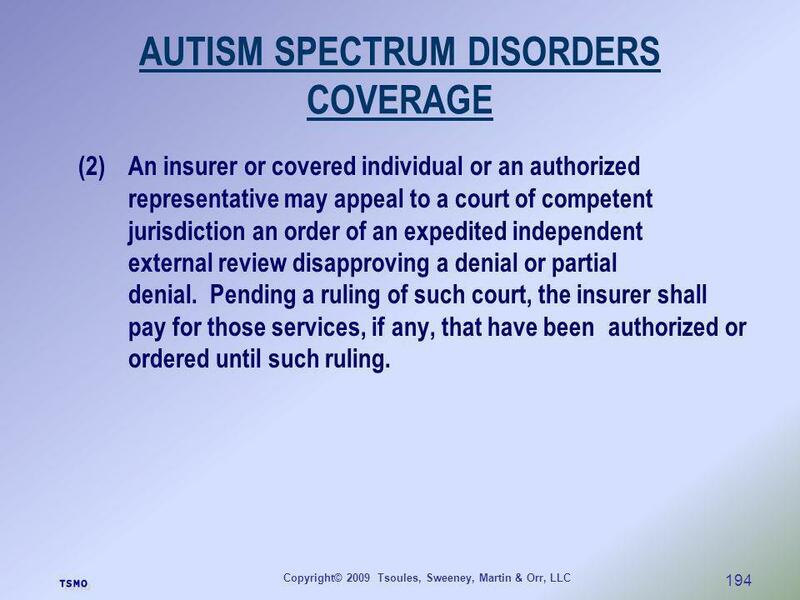 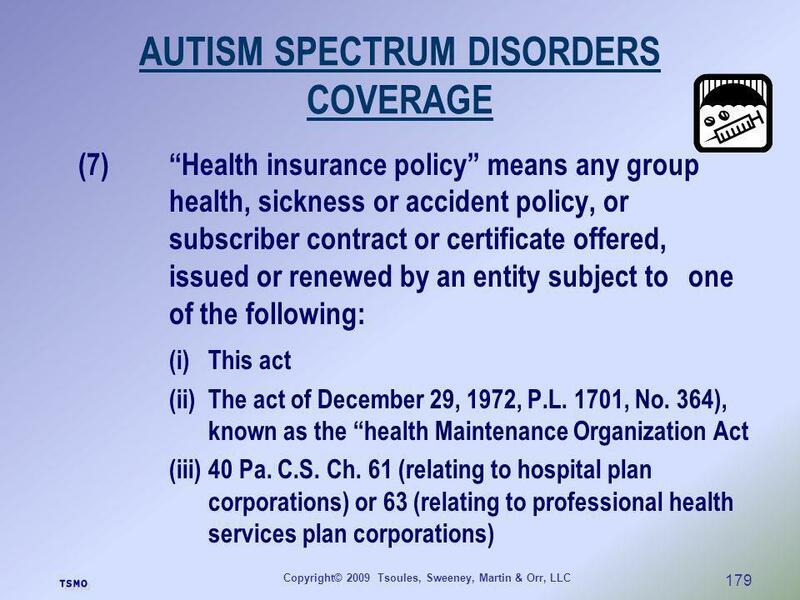 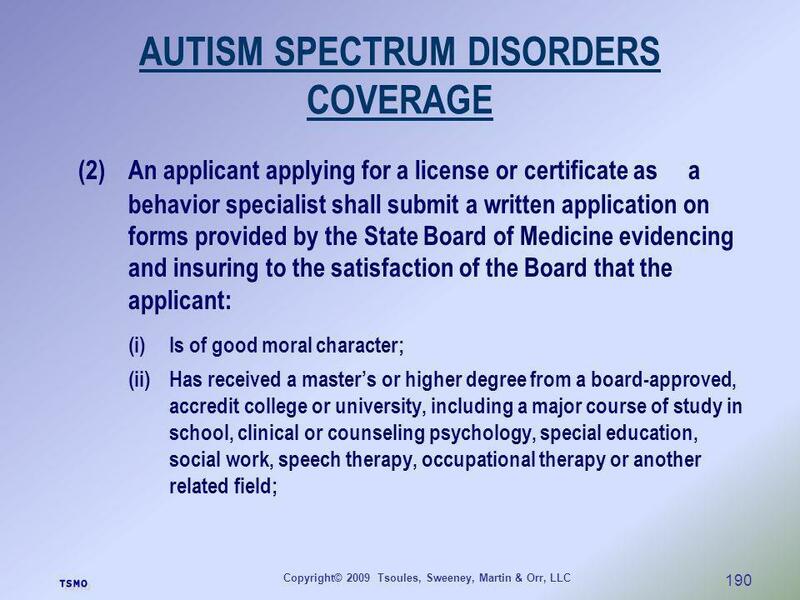 181 WHAT DOES THE AUTISM INSURANCE ACT COVER? 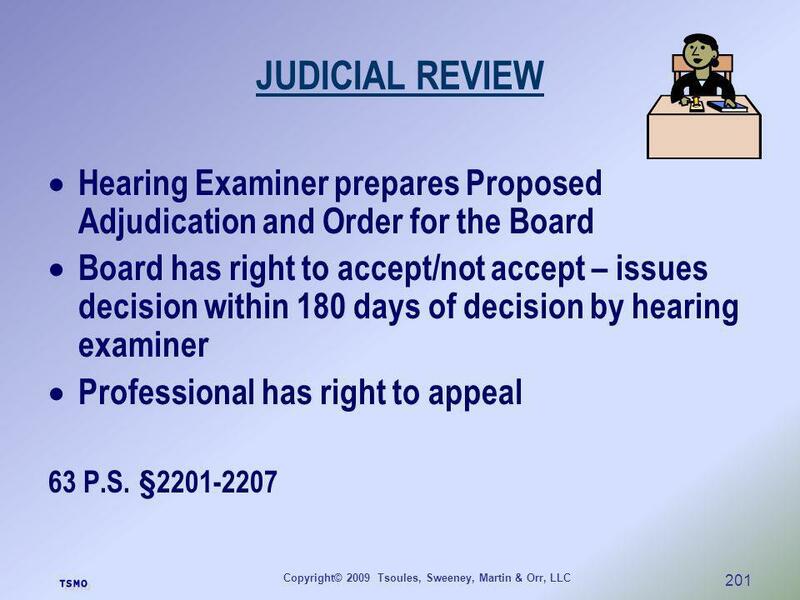 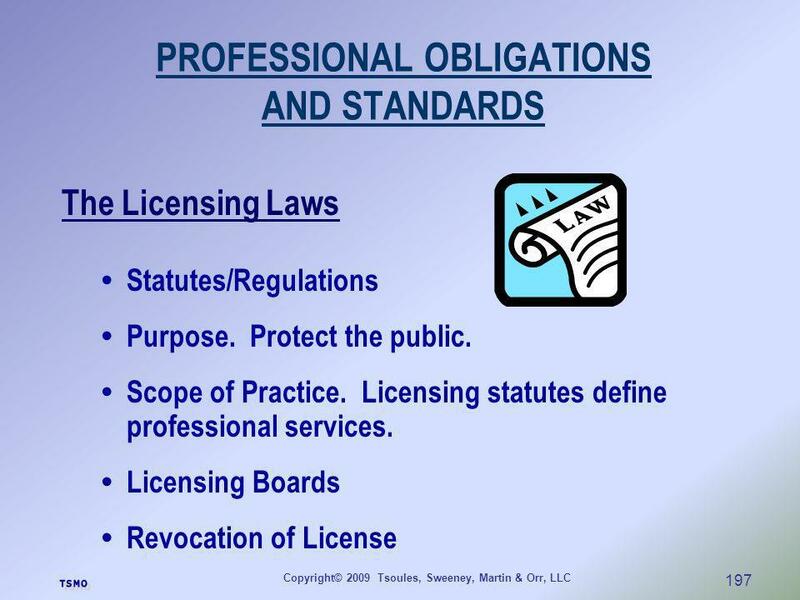 214 LEGAL ENVIRONMENT WHO ARE THE MAJOR PLAYERS? 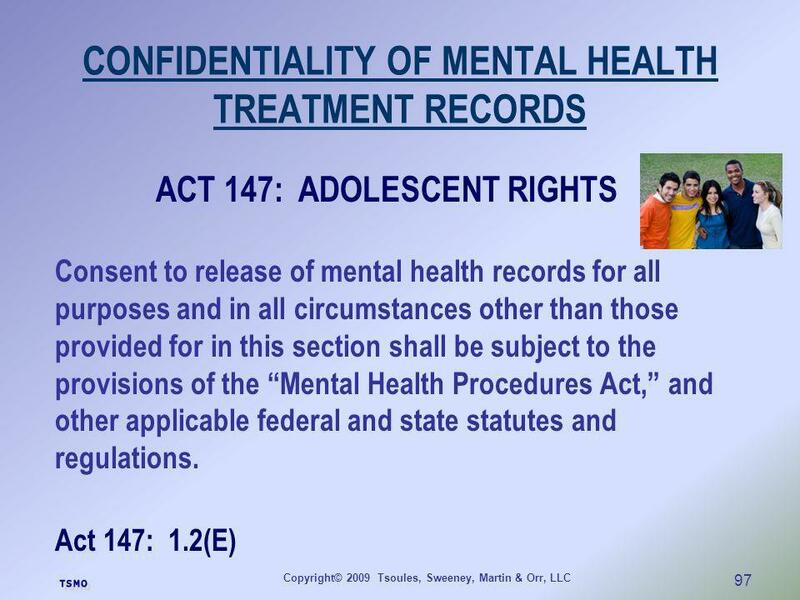 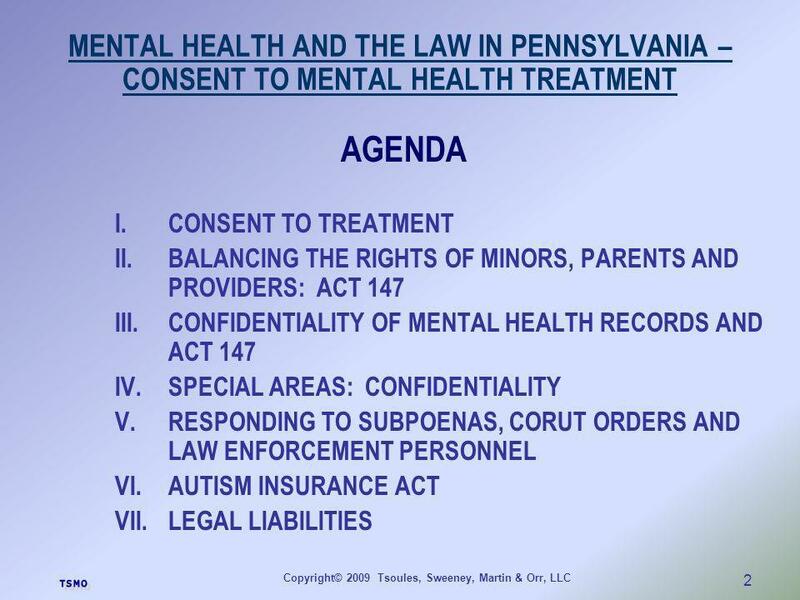 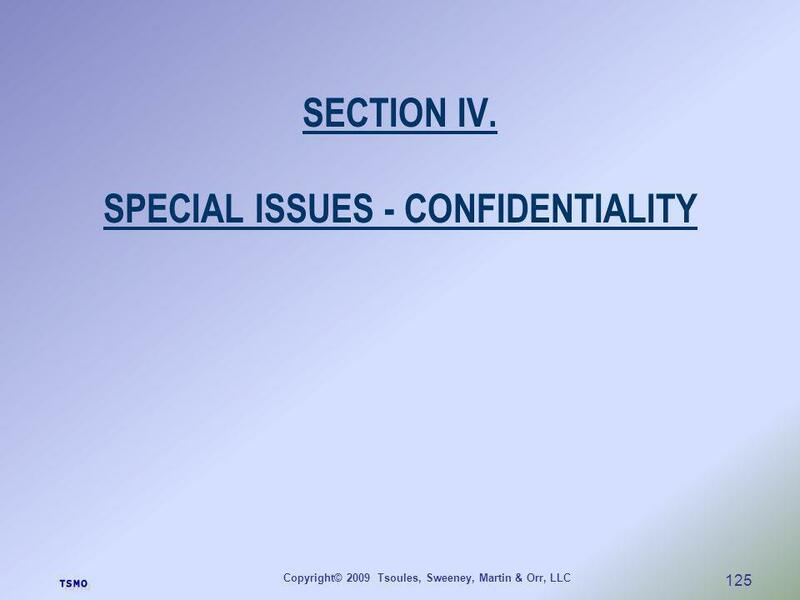 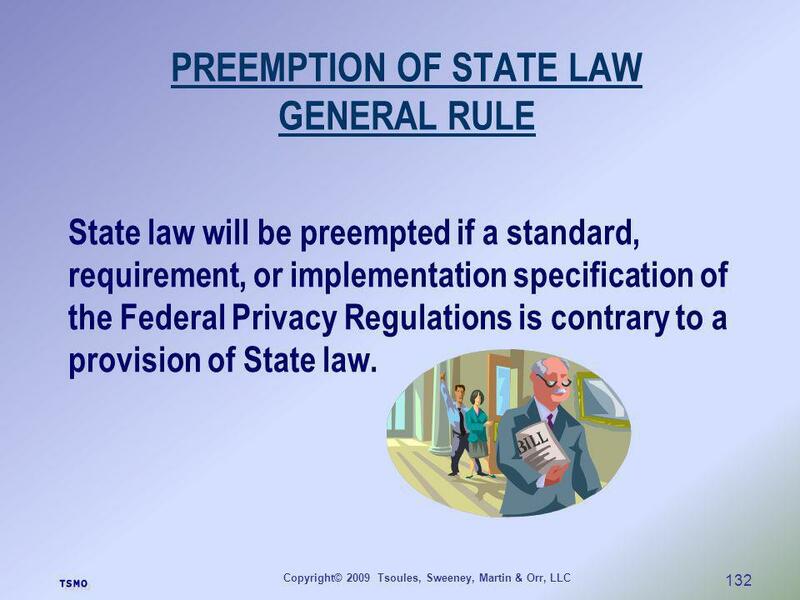 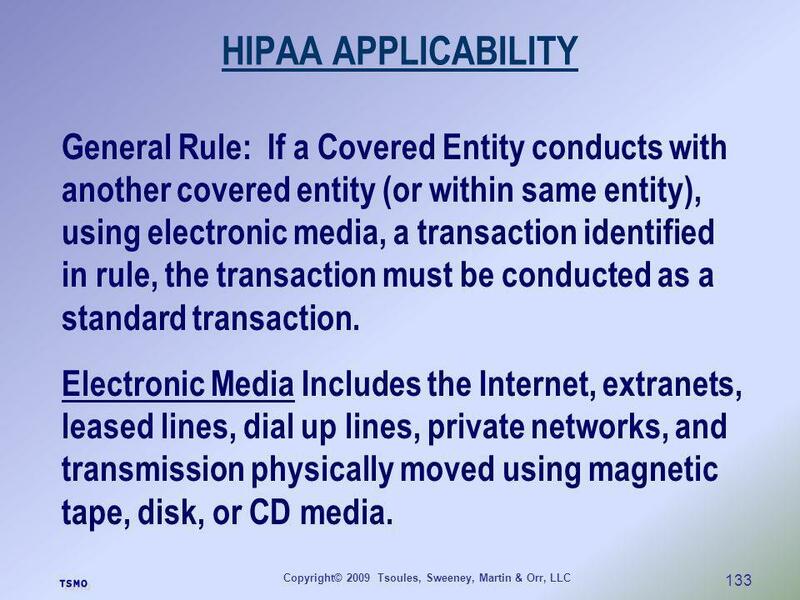 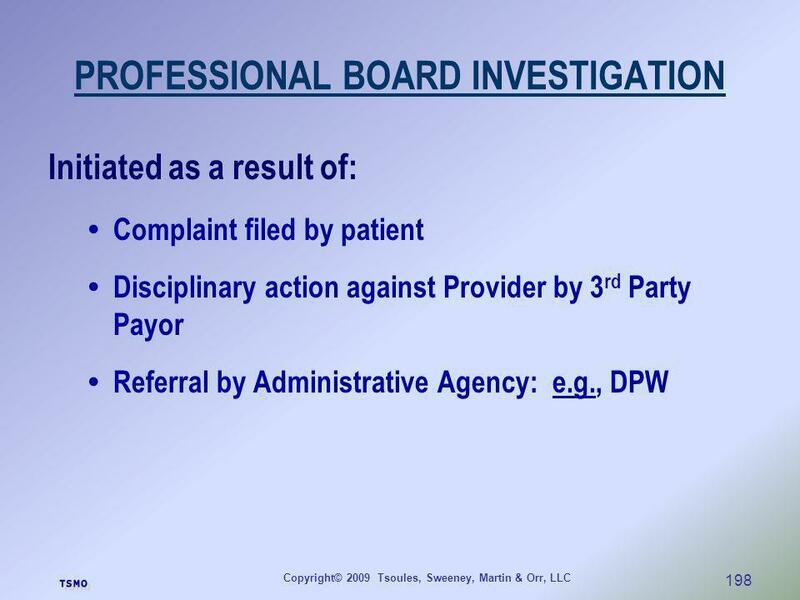 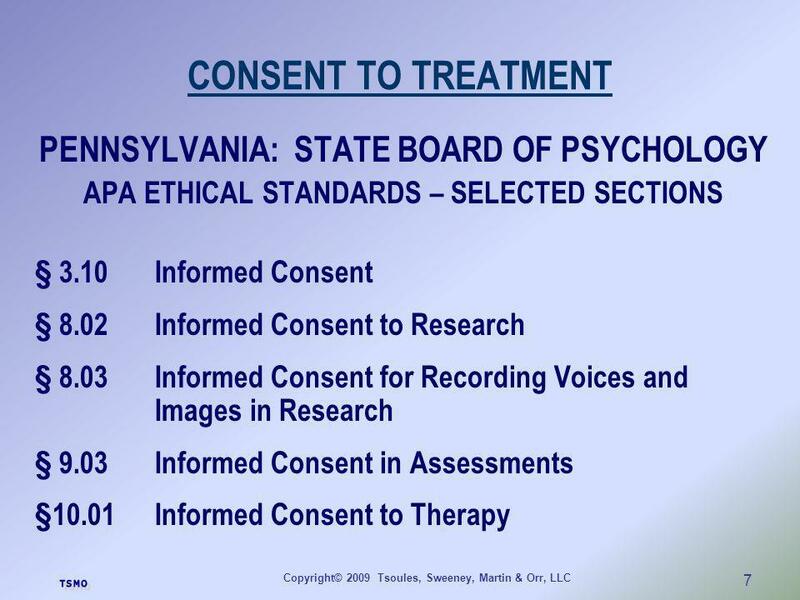 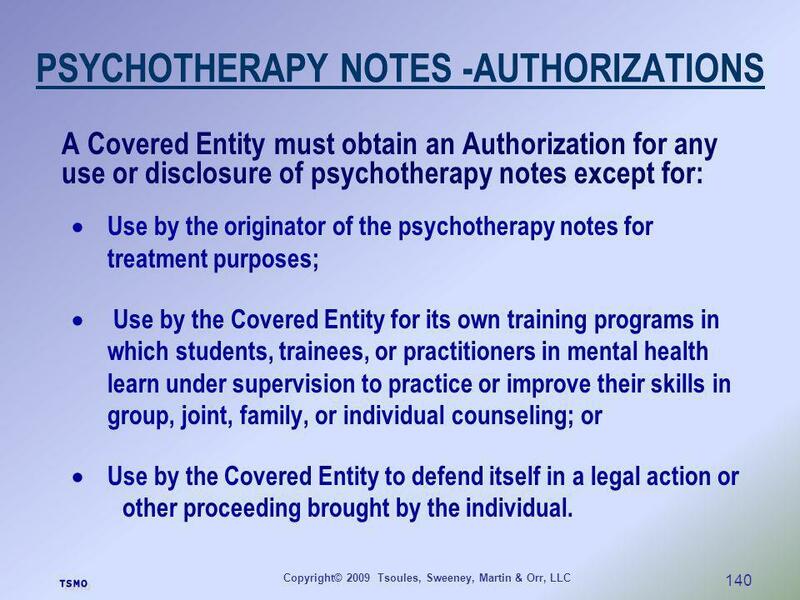 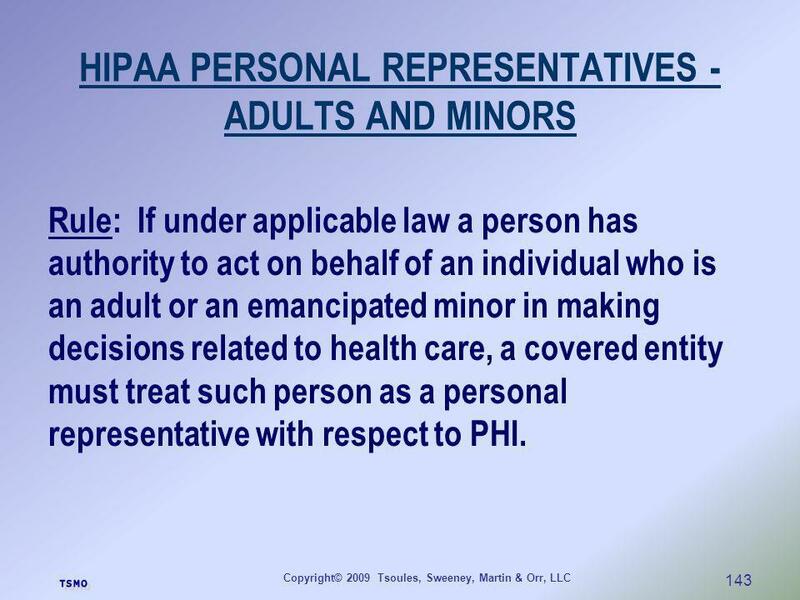 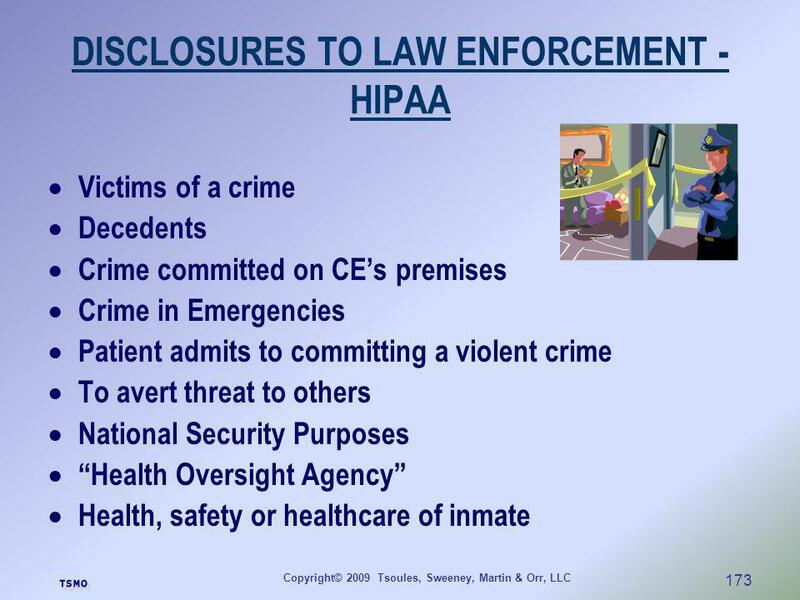 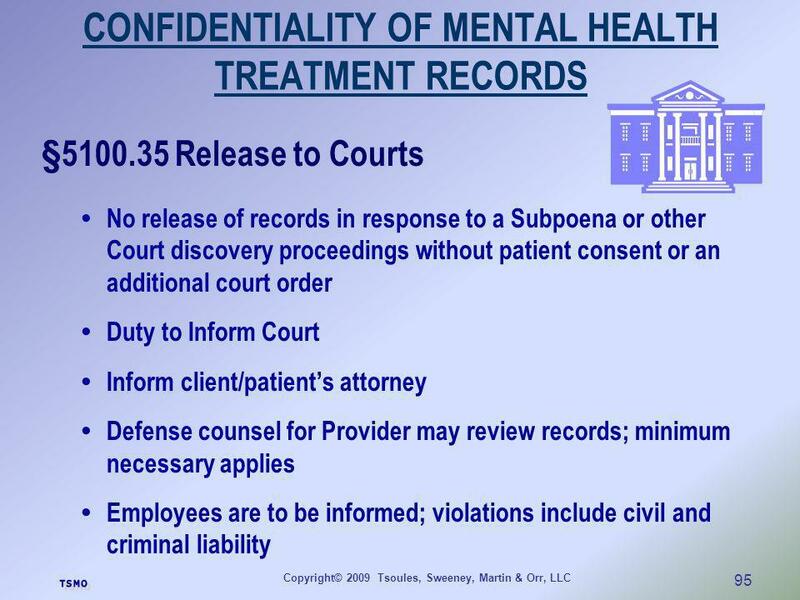 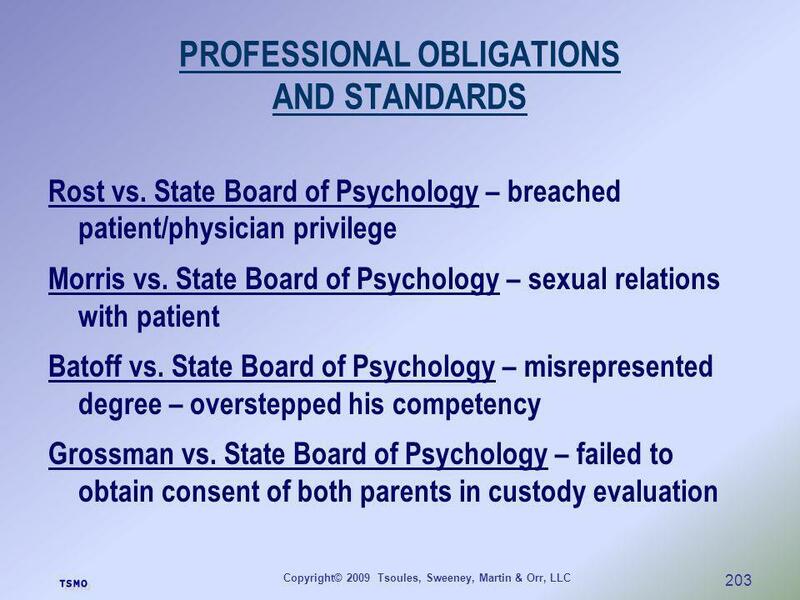 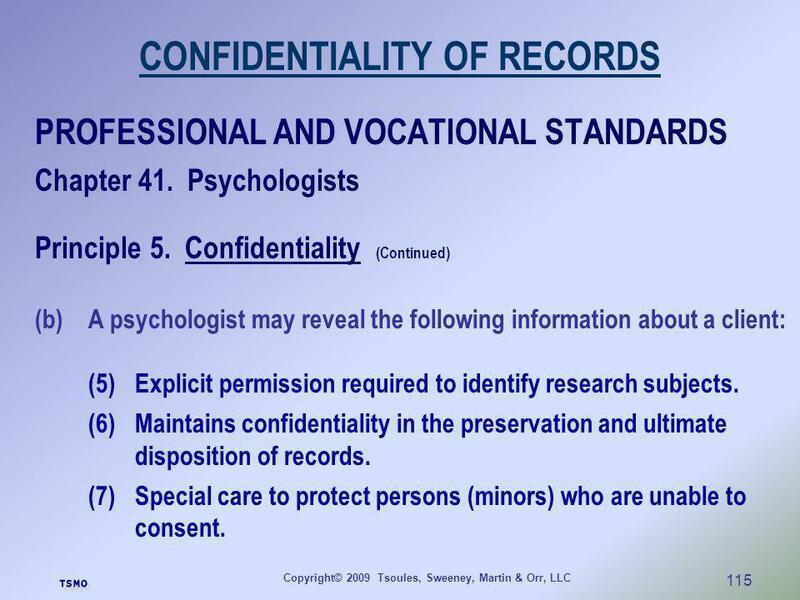 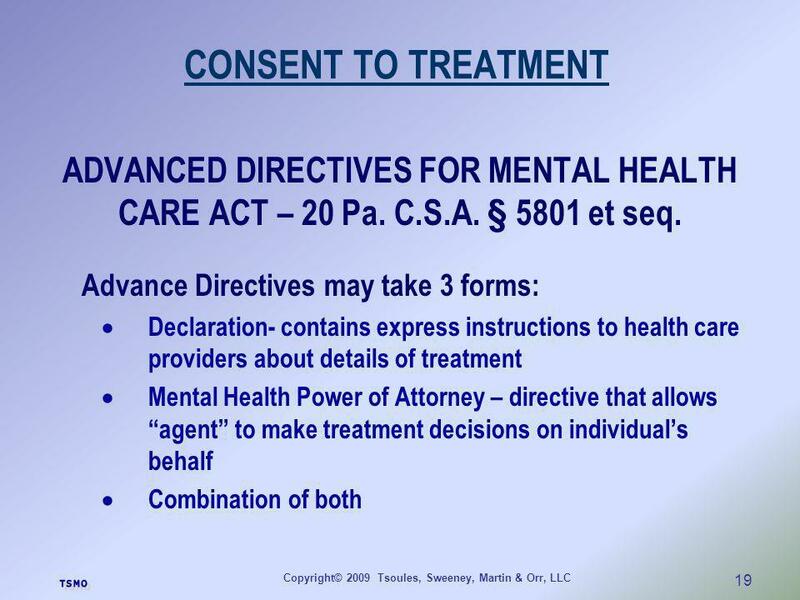 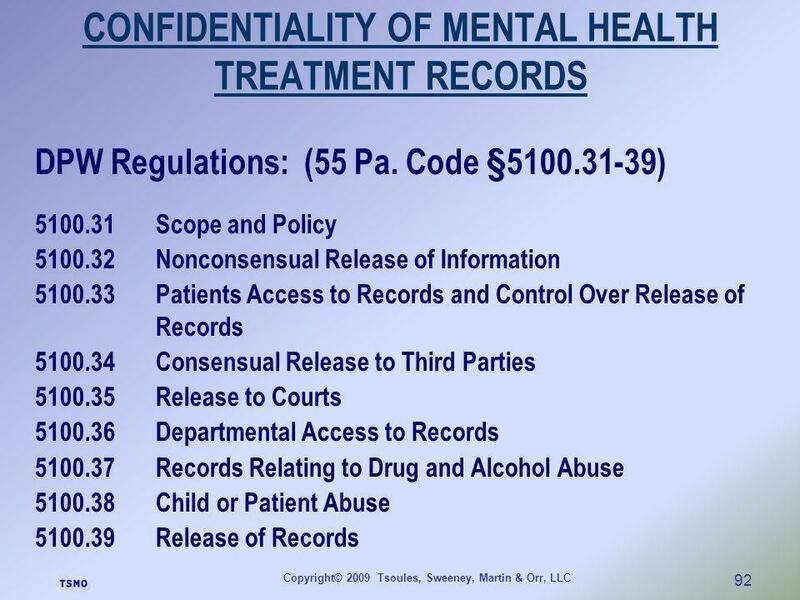 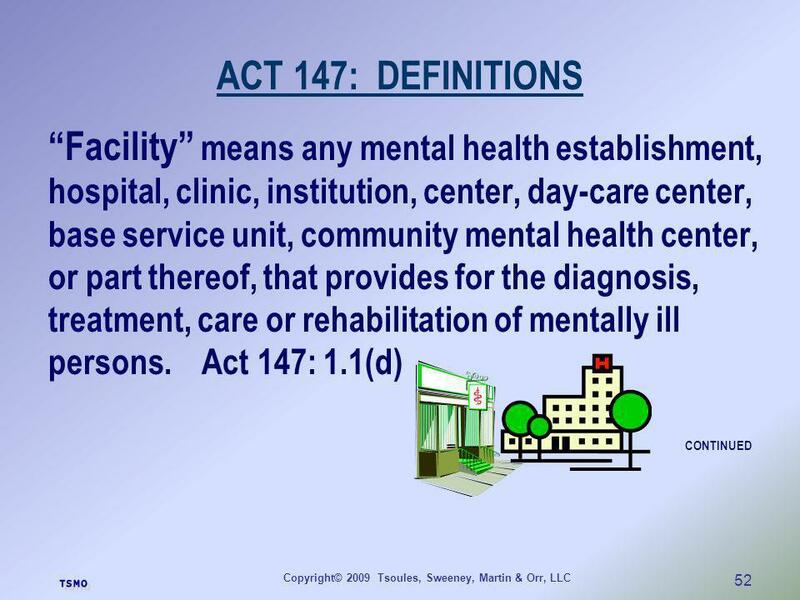 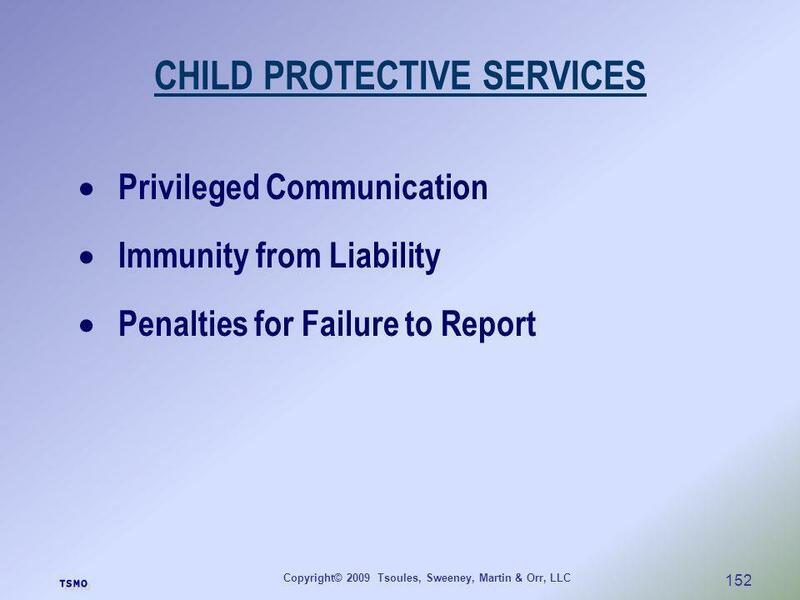 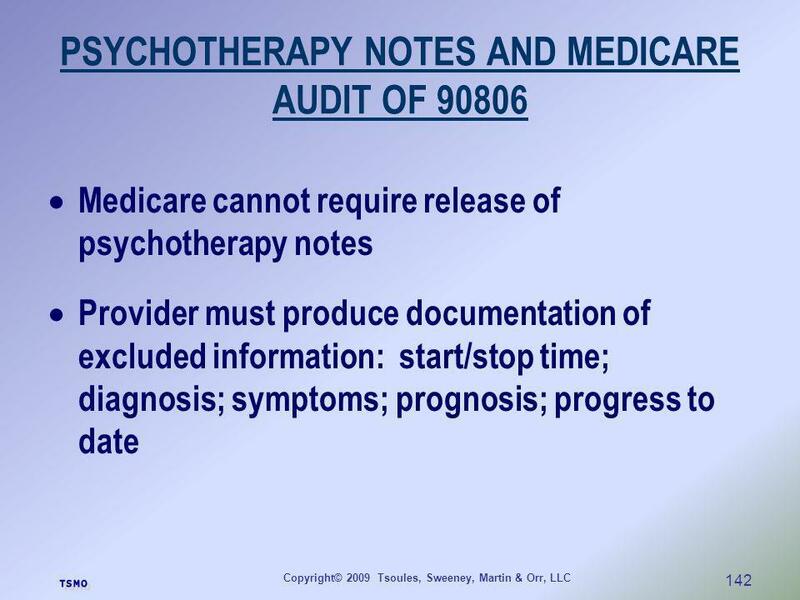 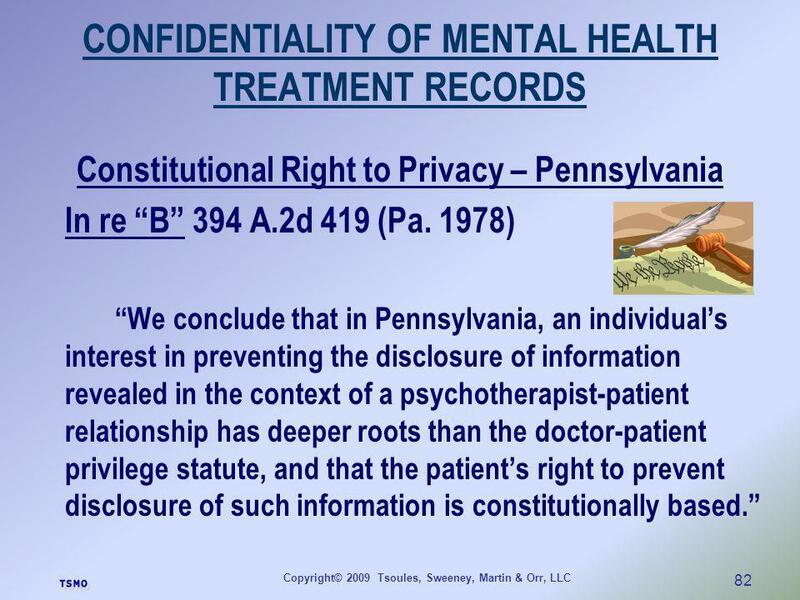 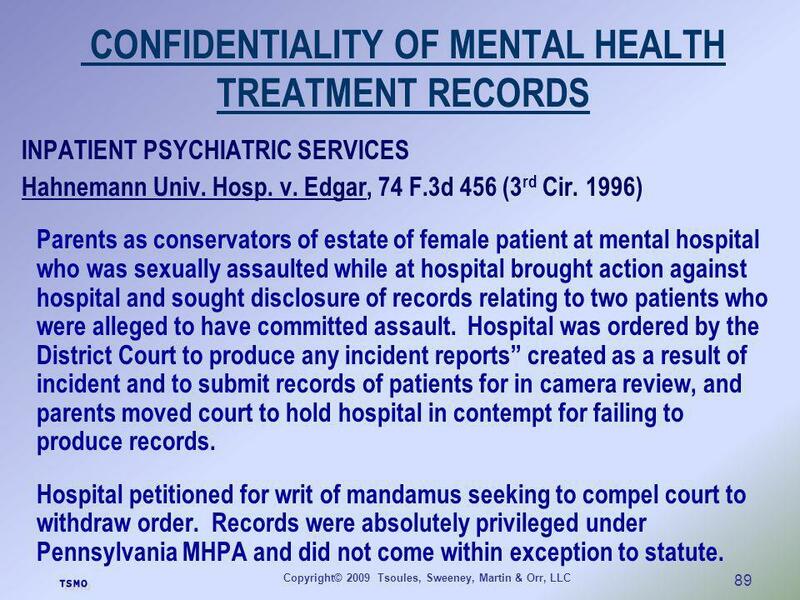 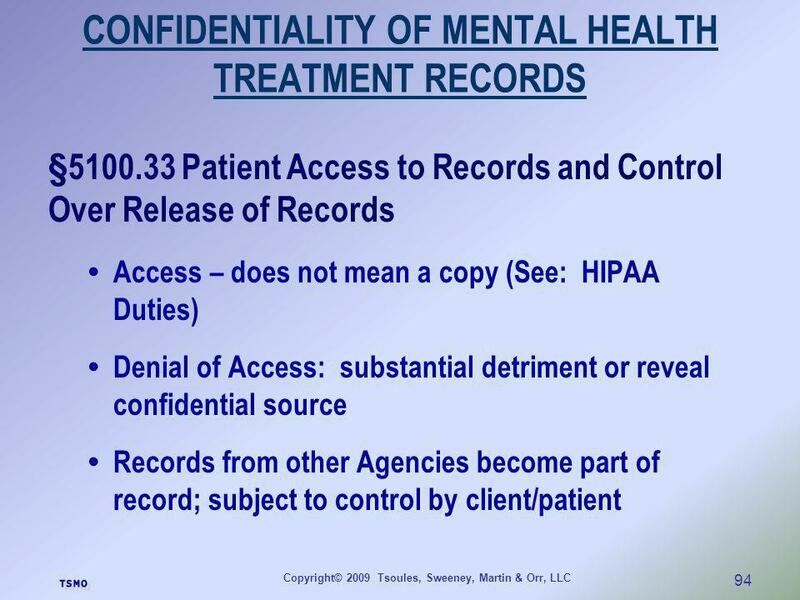 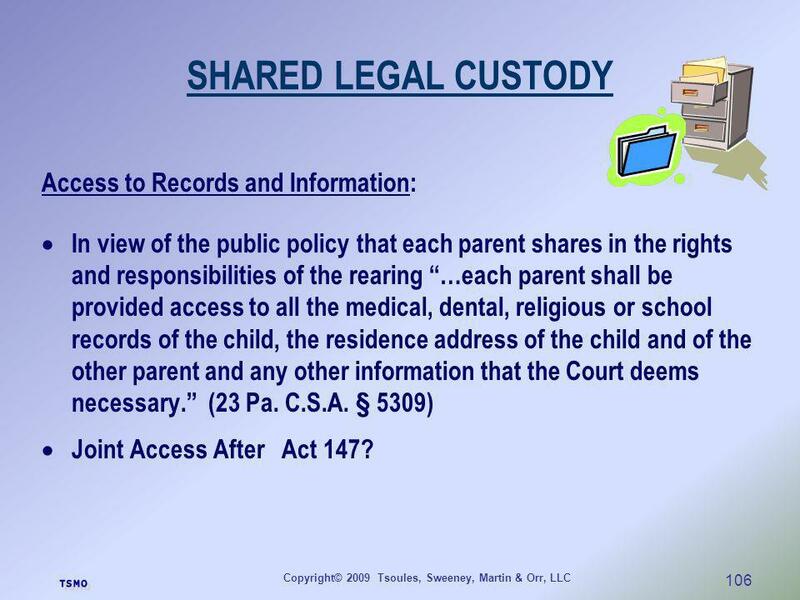 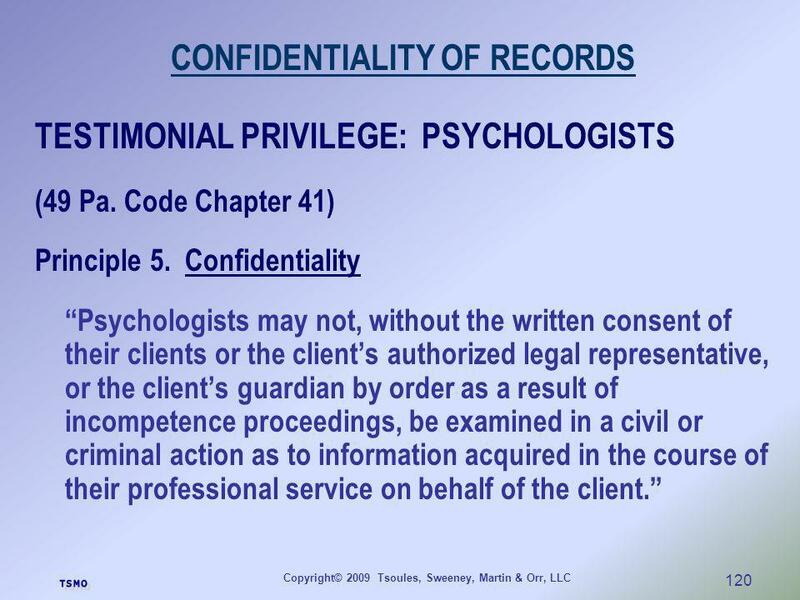 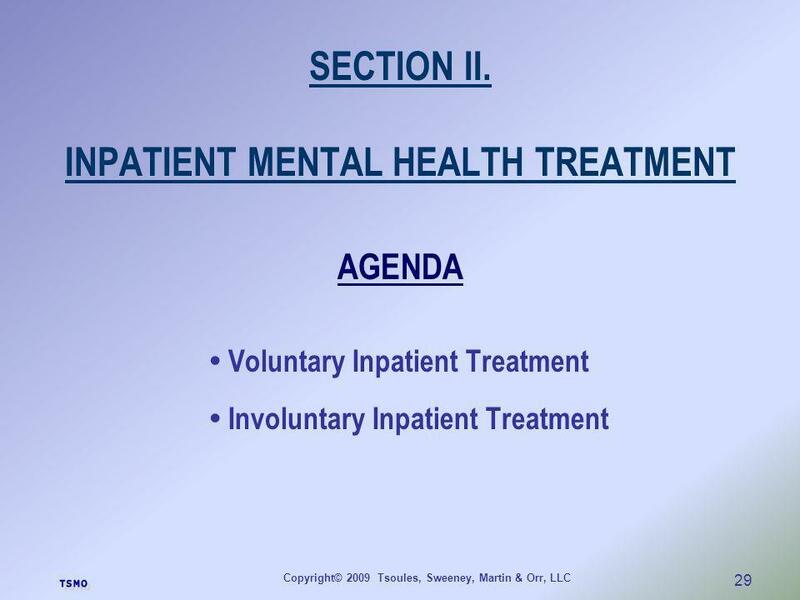 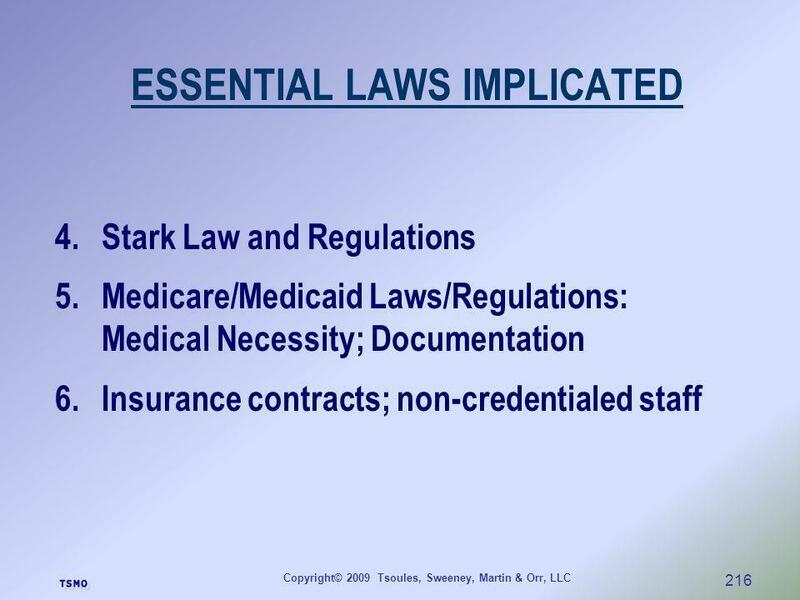 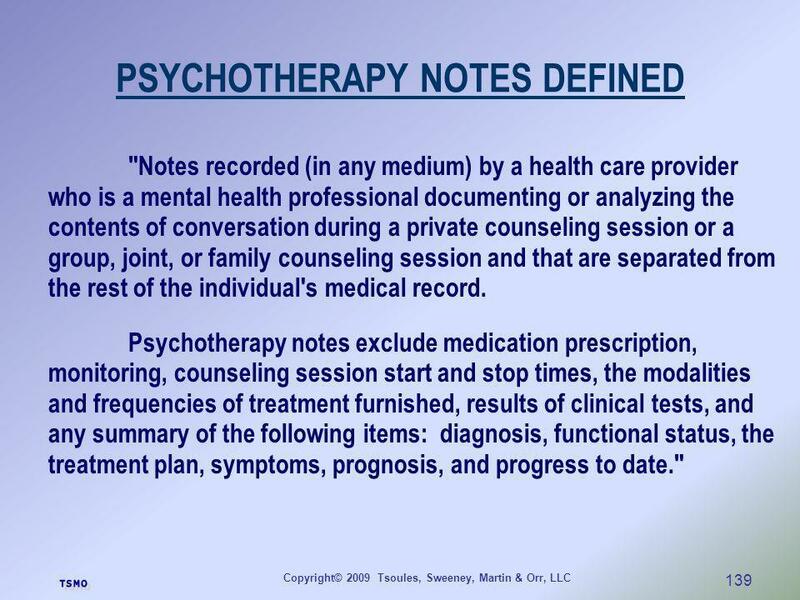 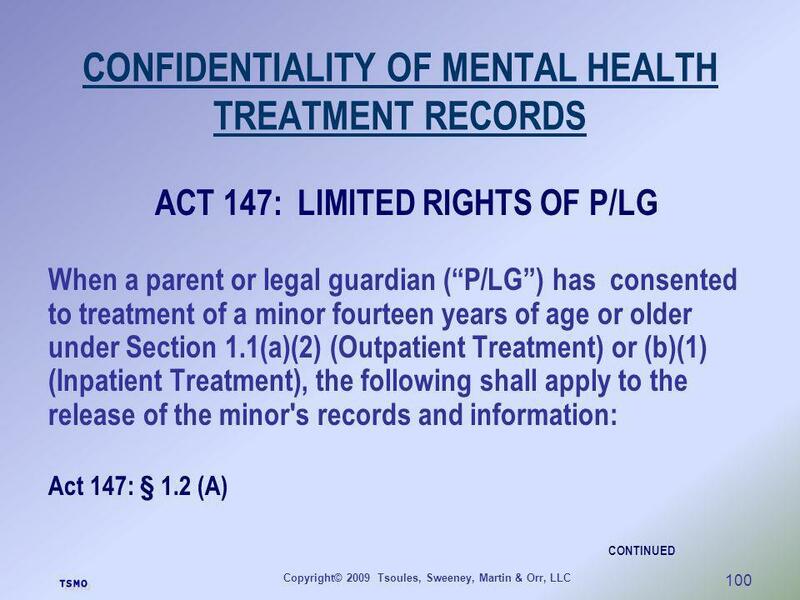 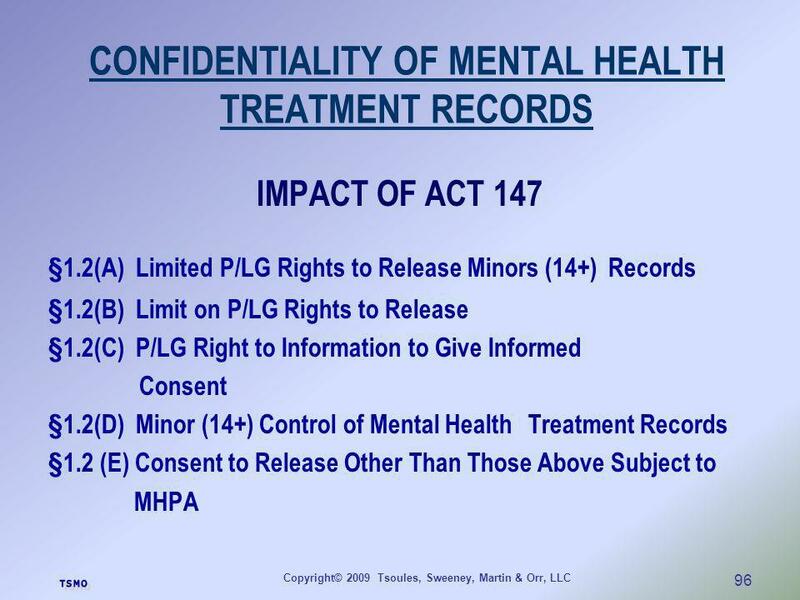 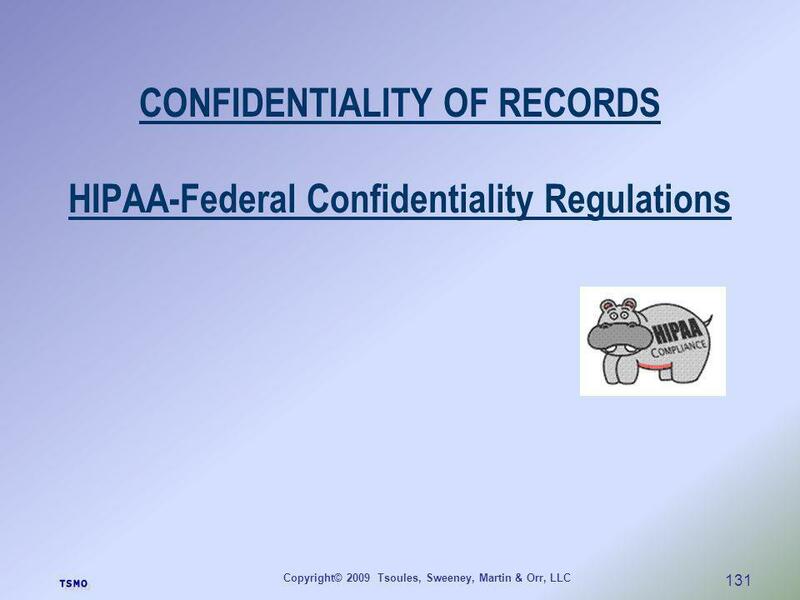 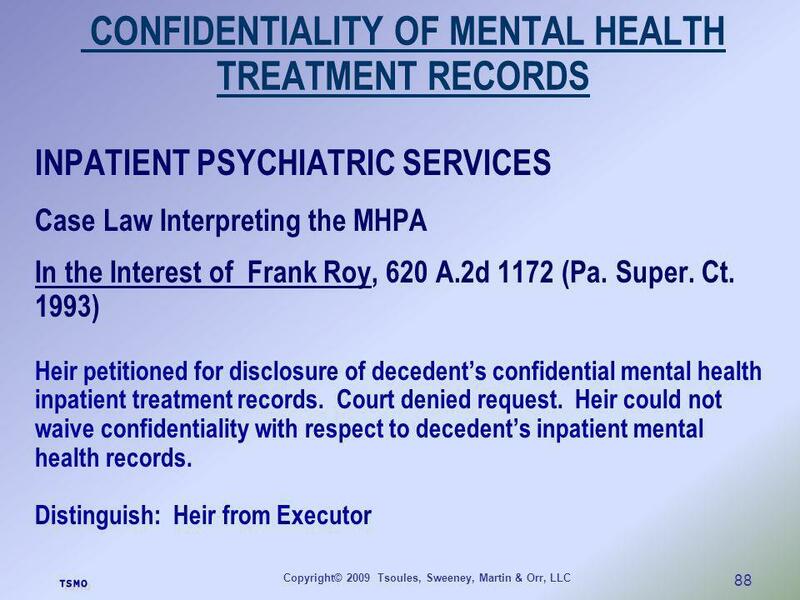 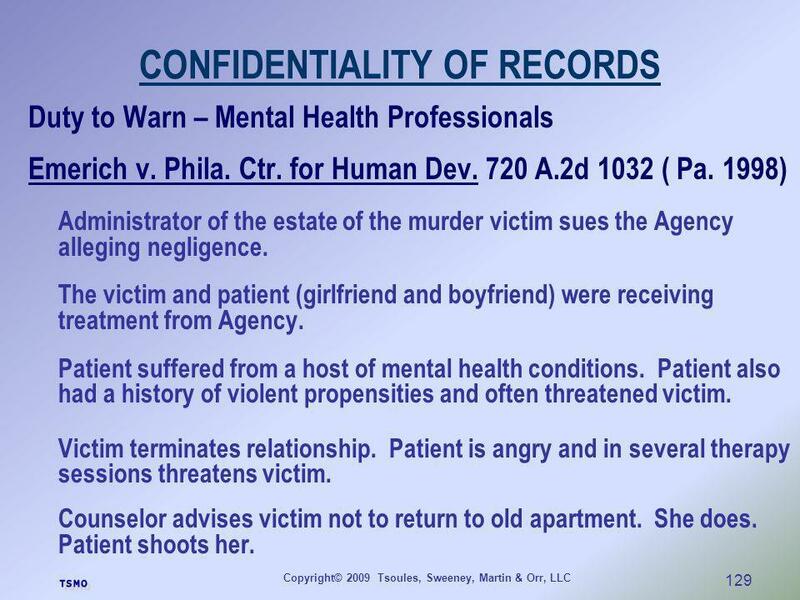 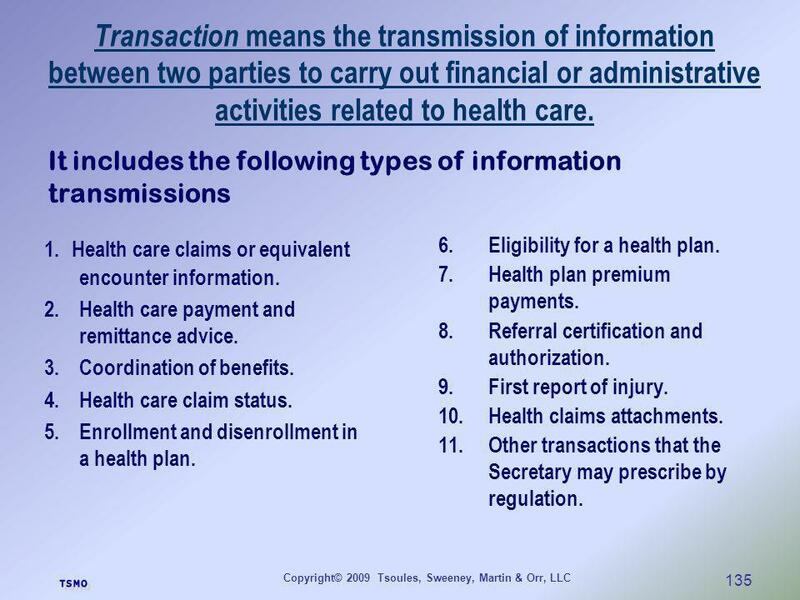 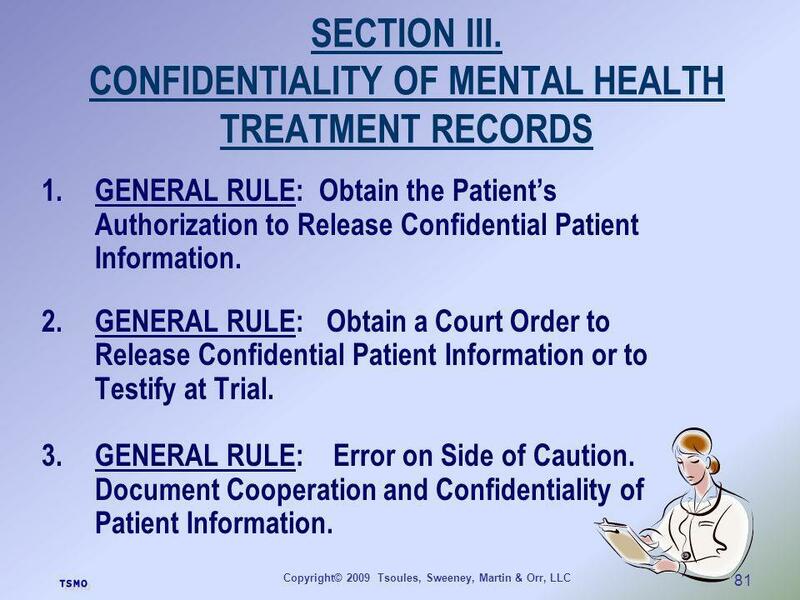 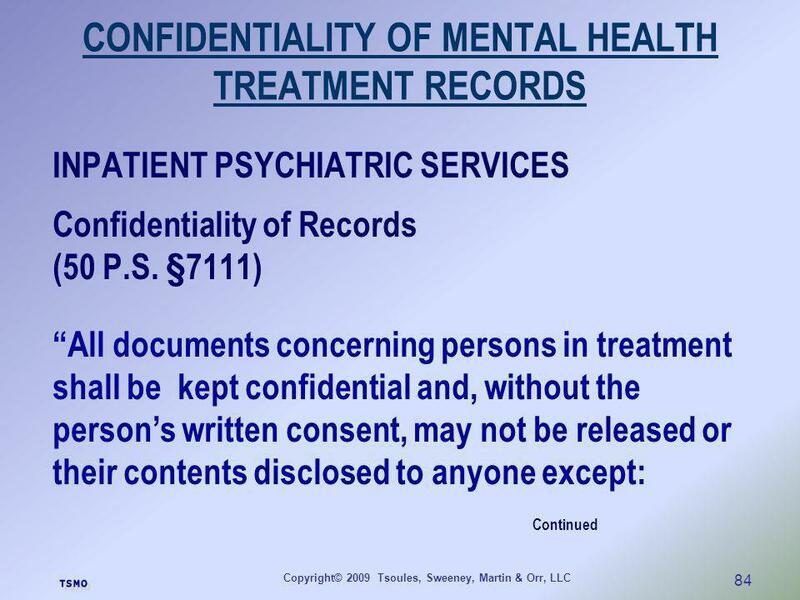 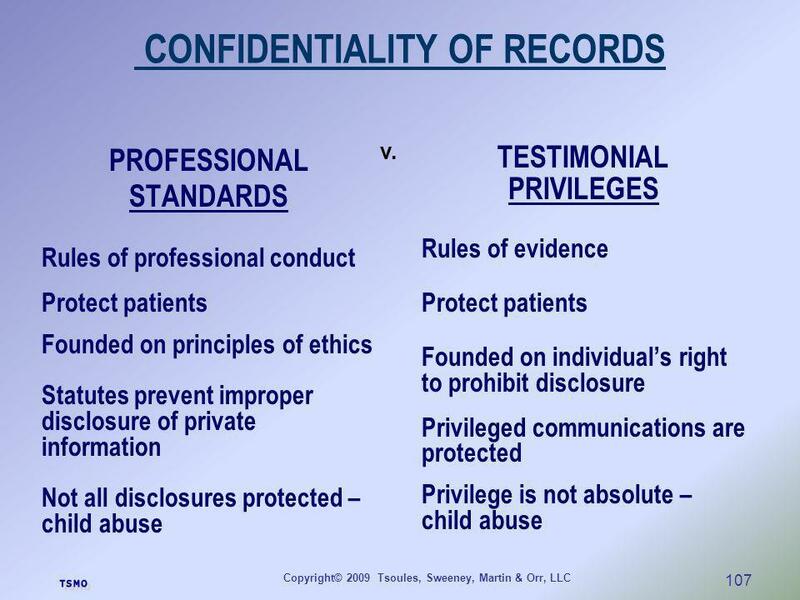 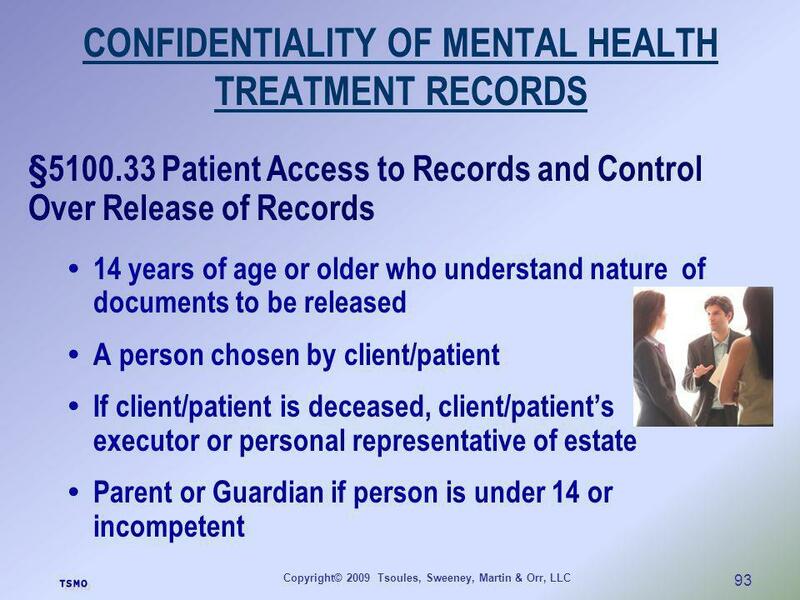 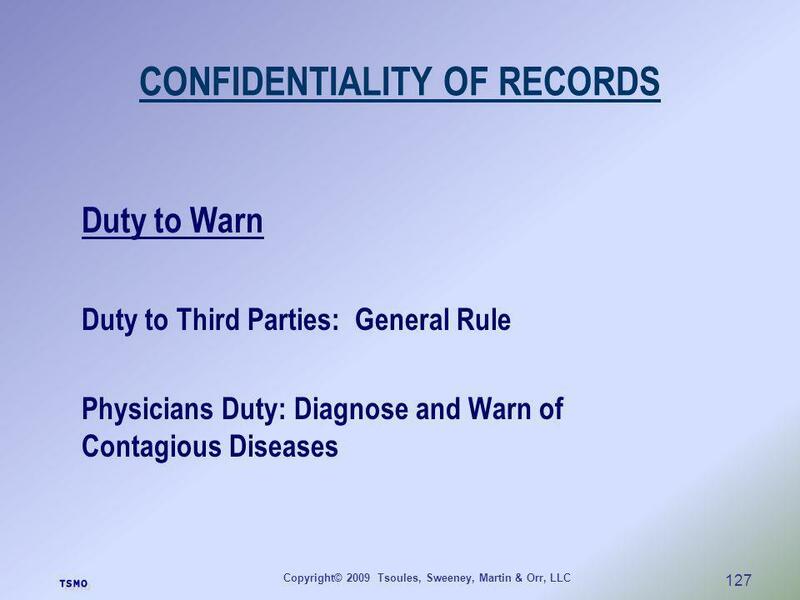 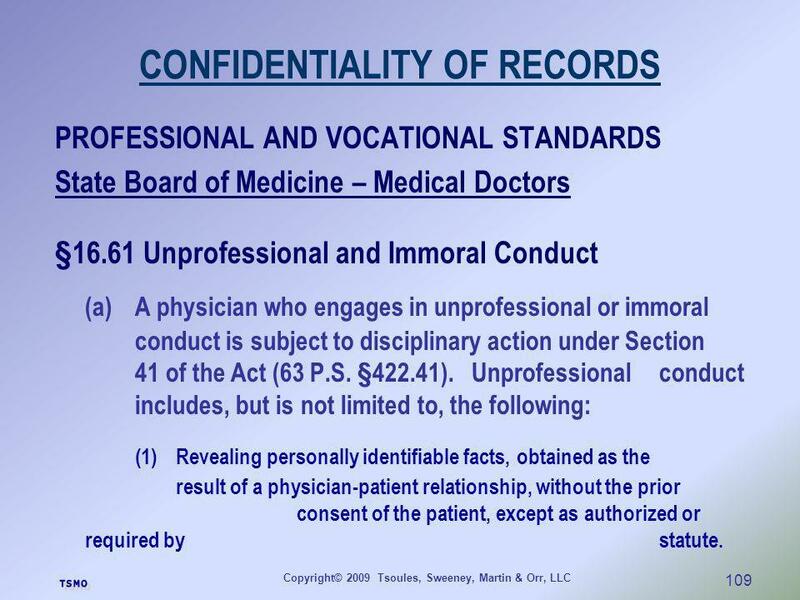 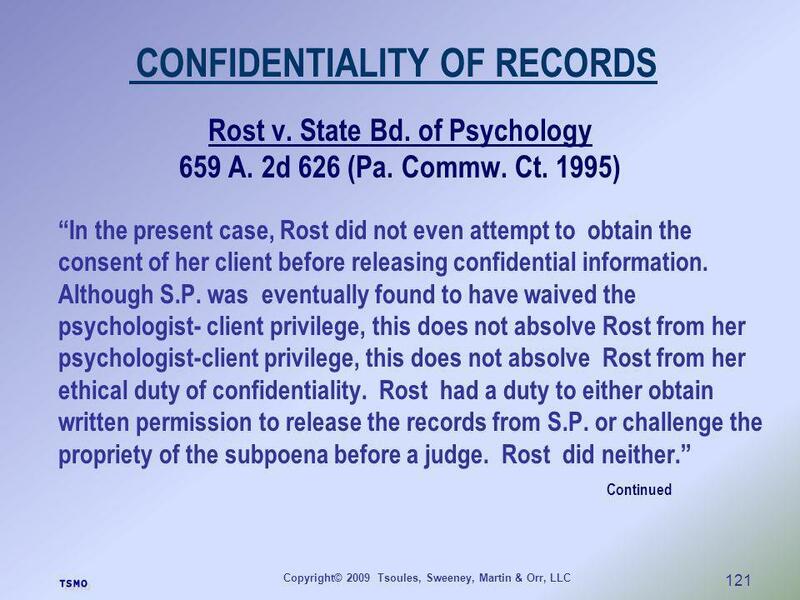 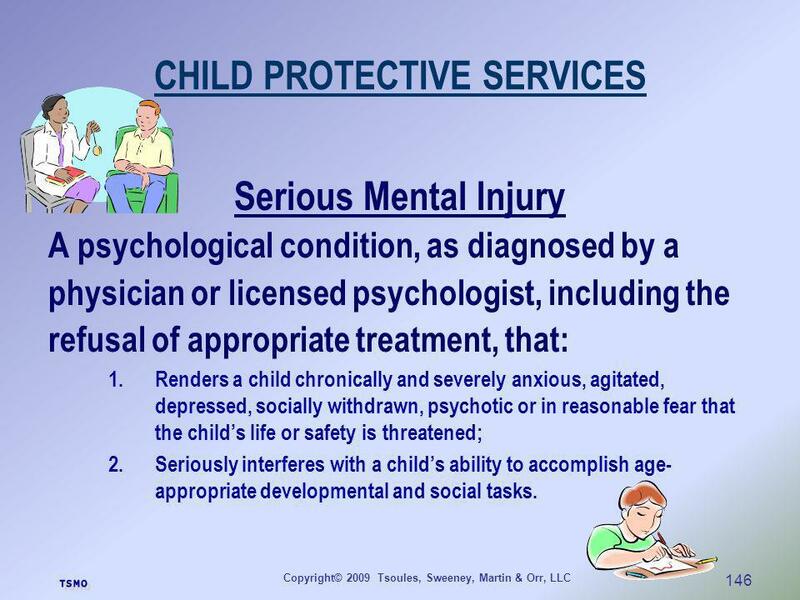 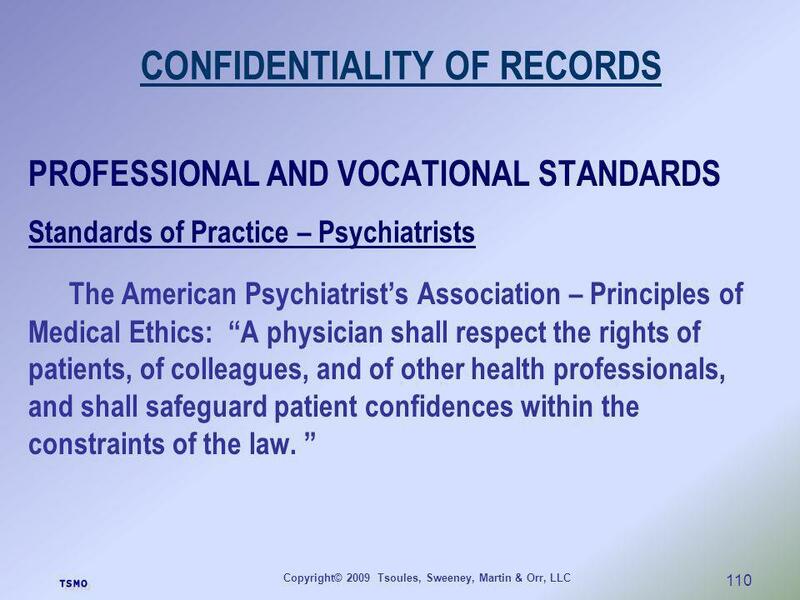 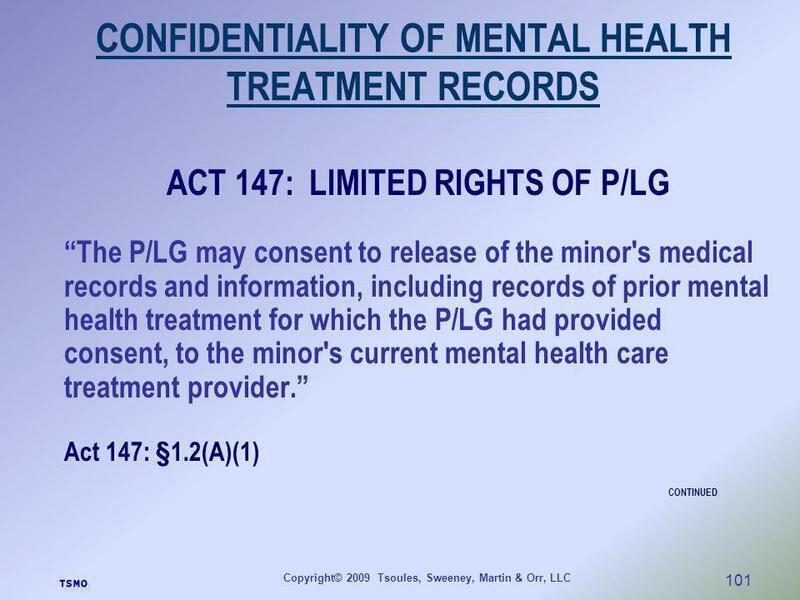 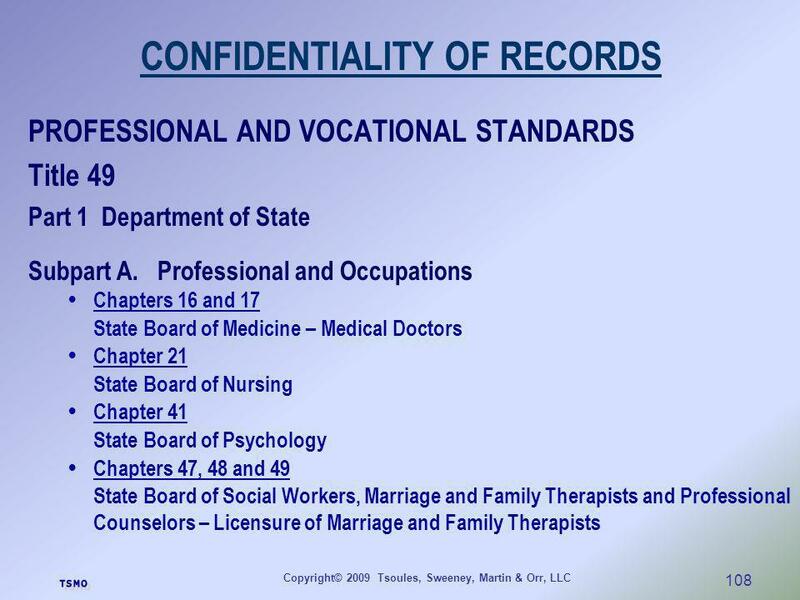 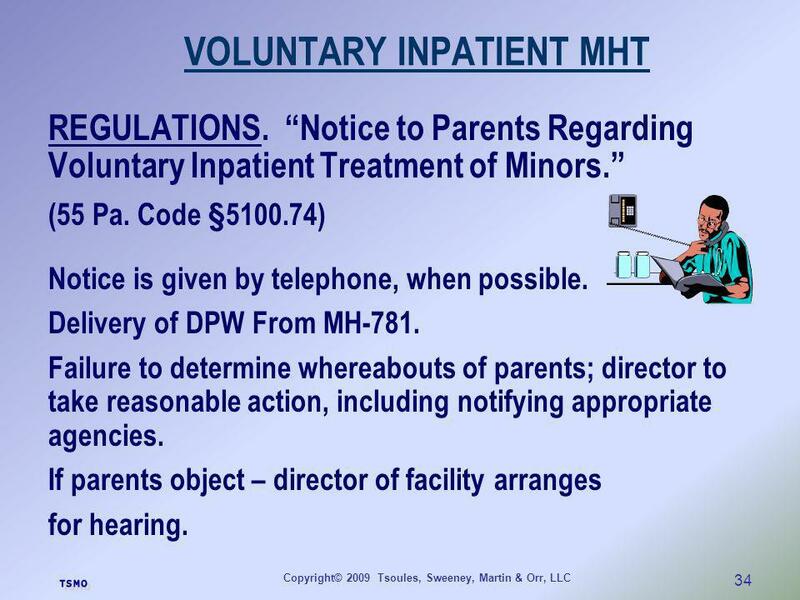 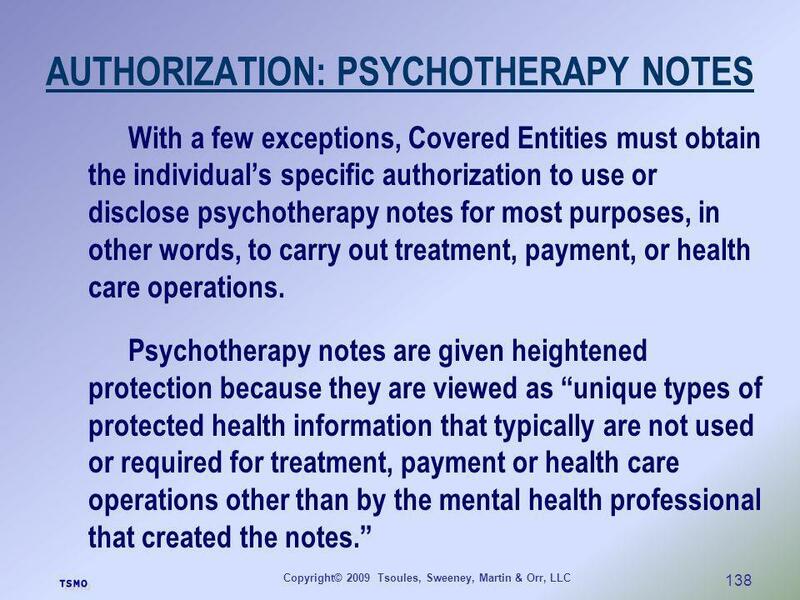 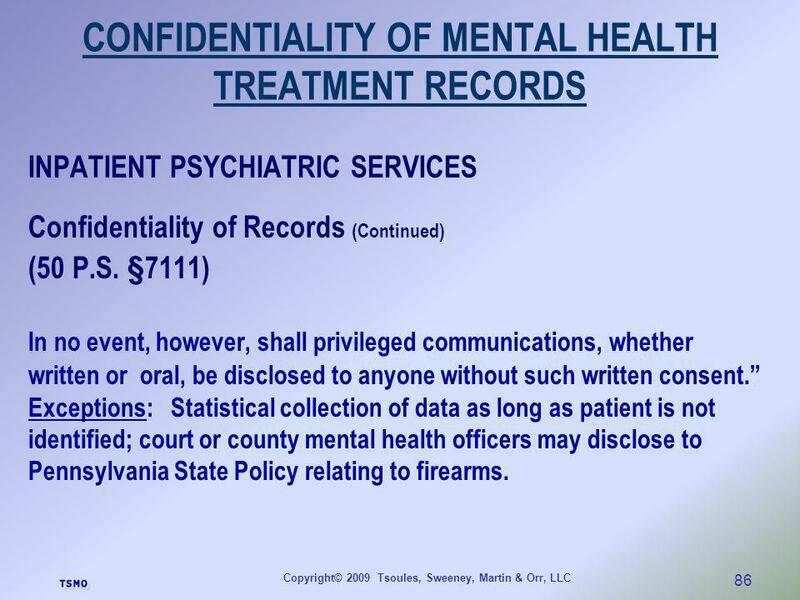 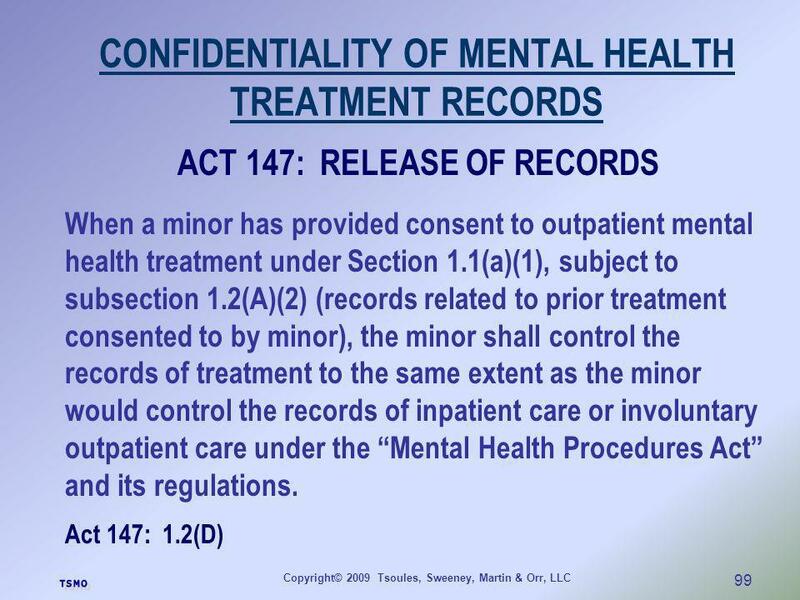 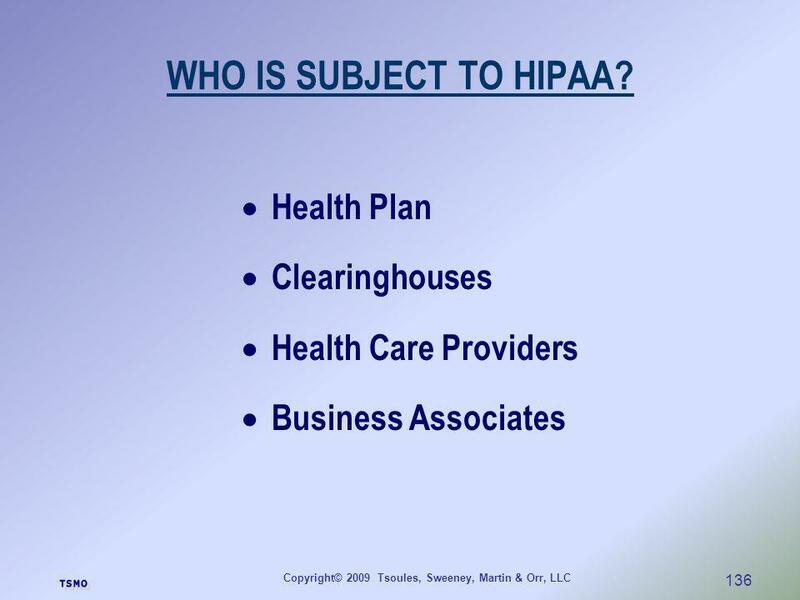 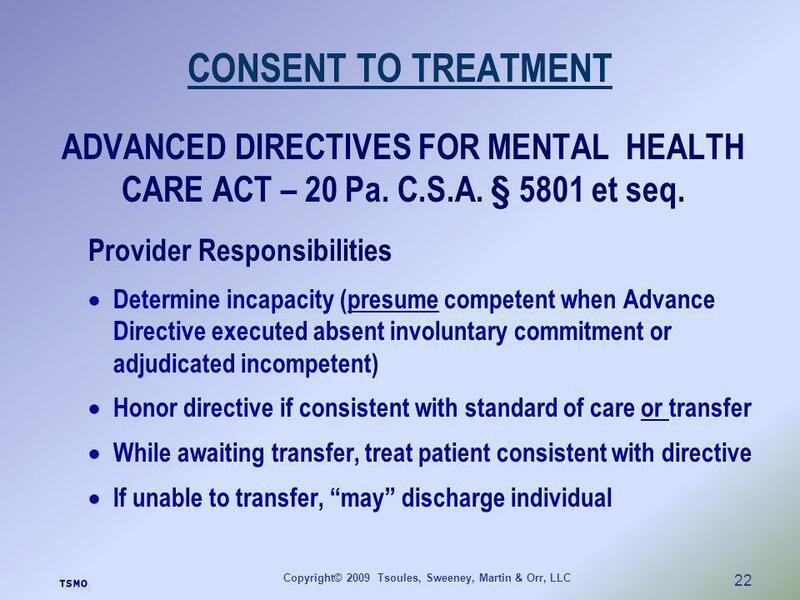 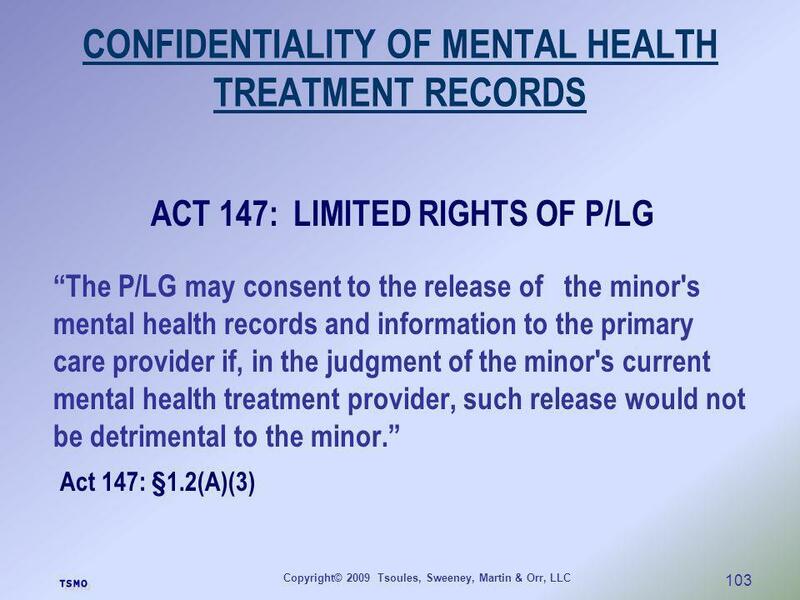 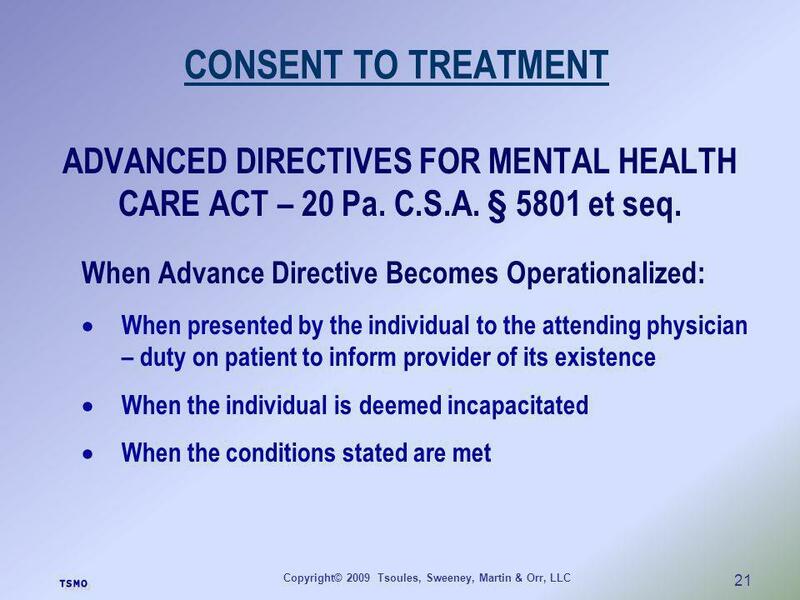 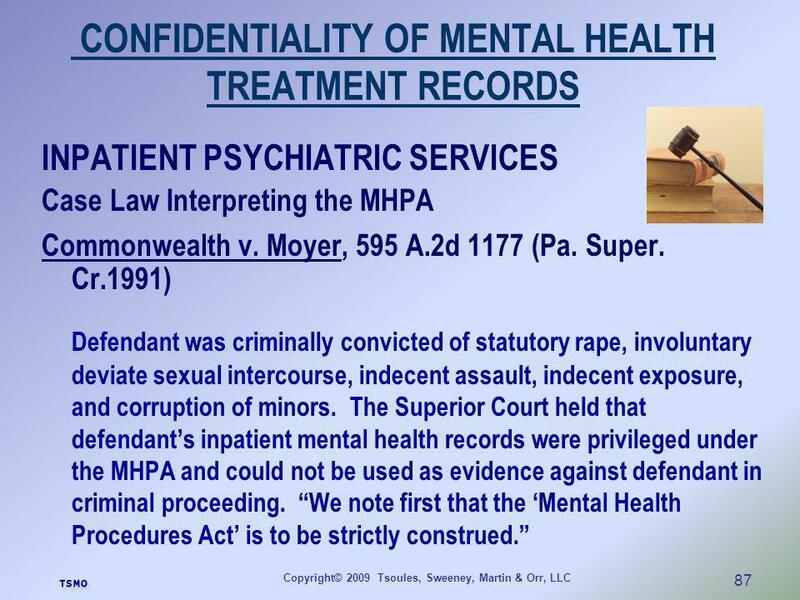 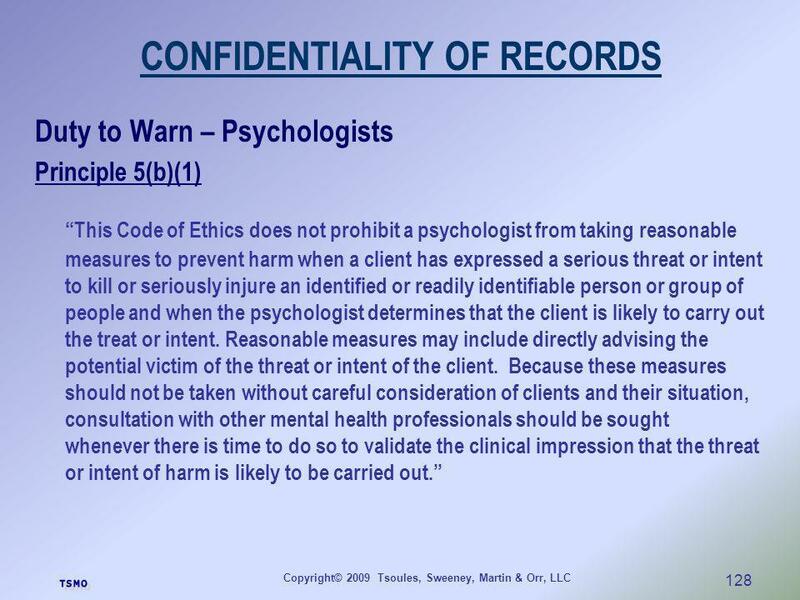 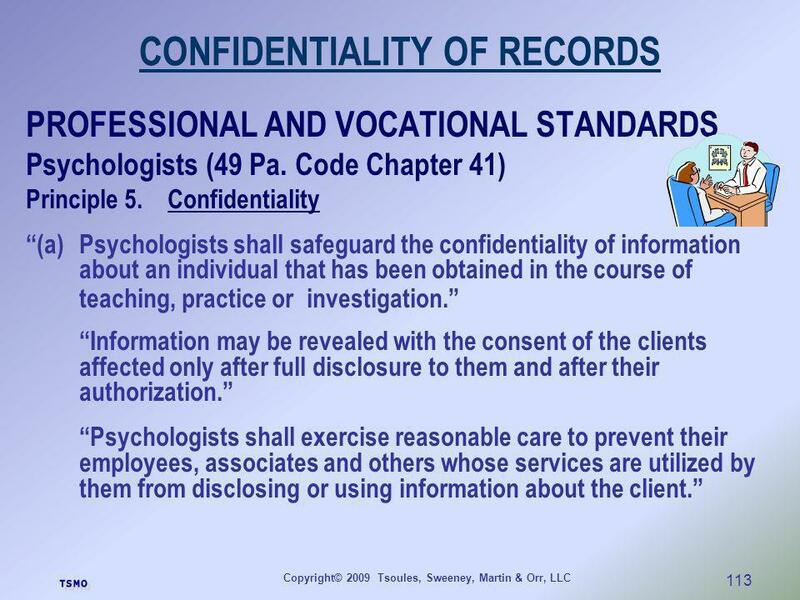 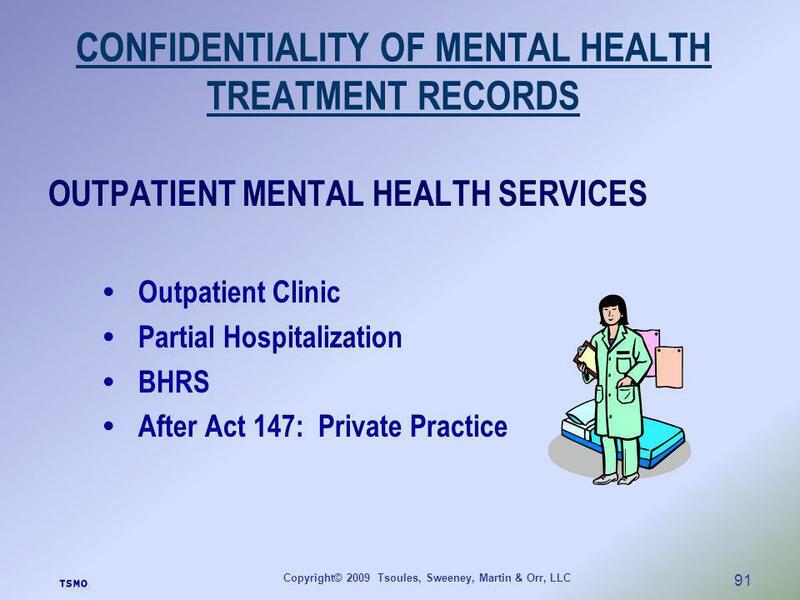 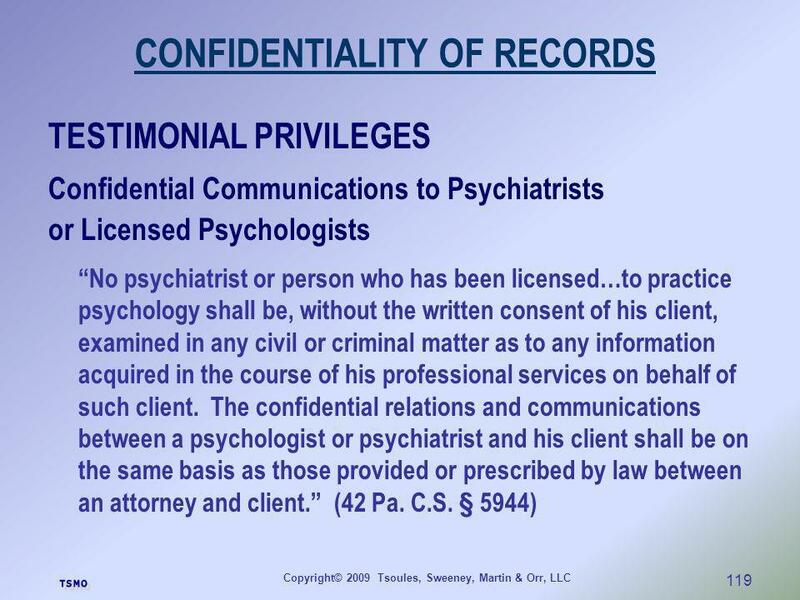 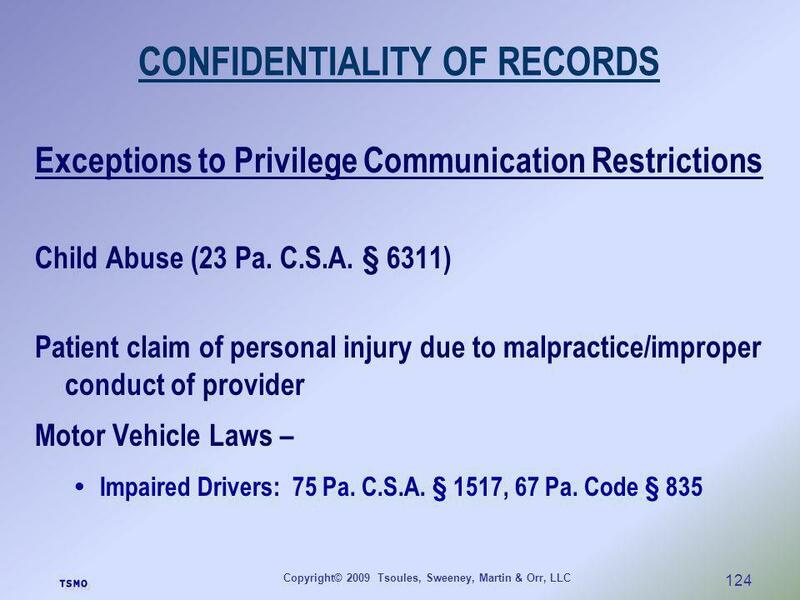 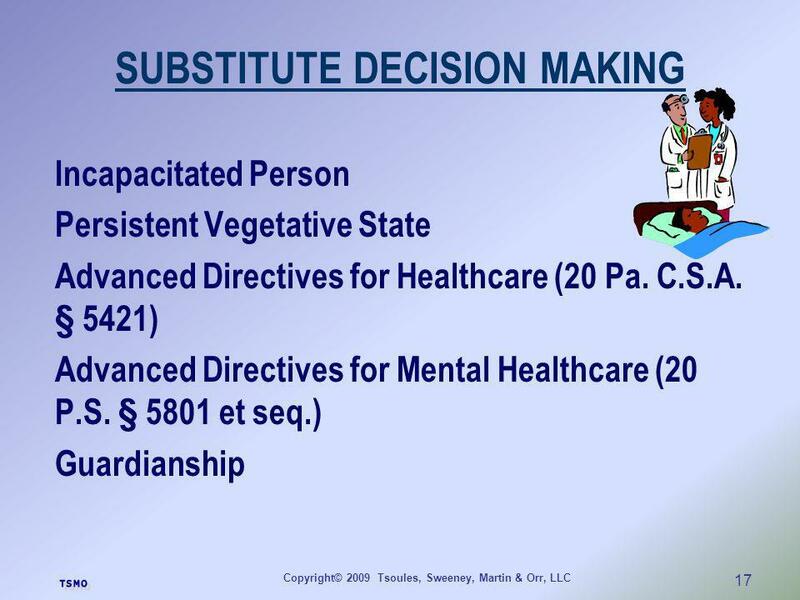 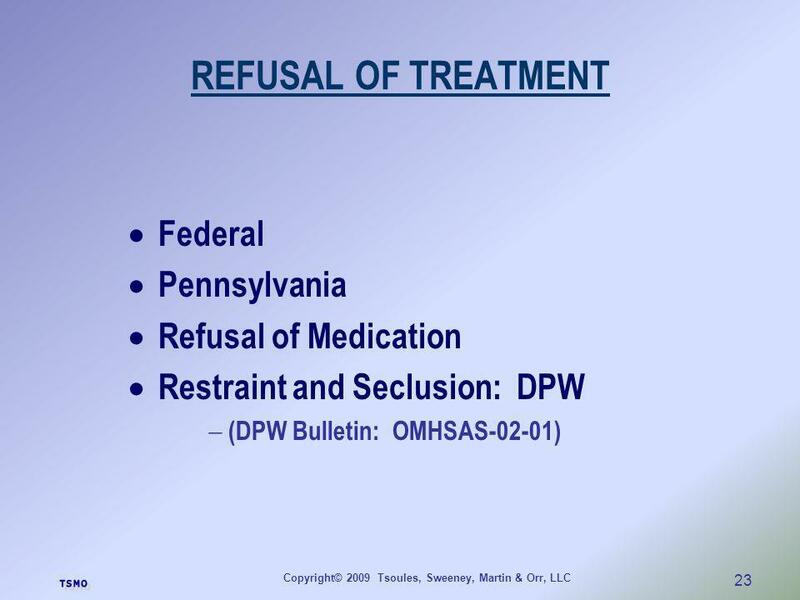 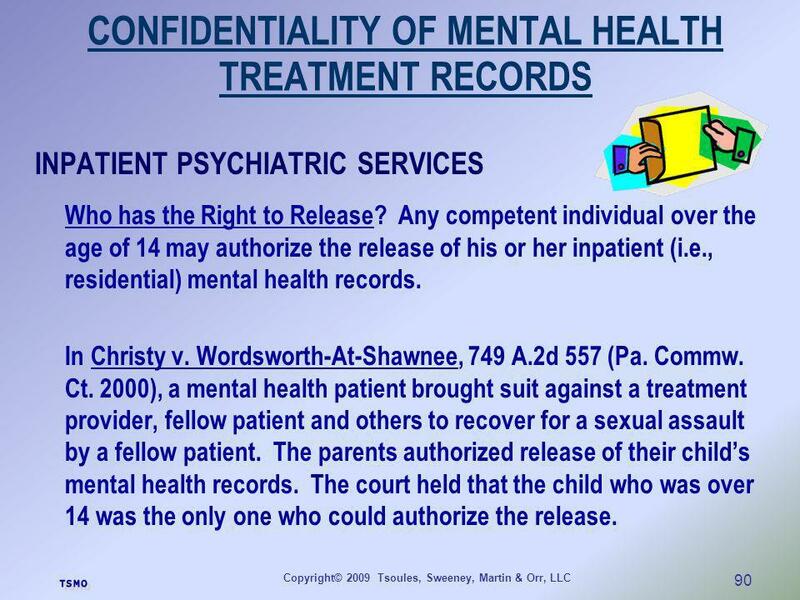 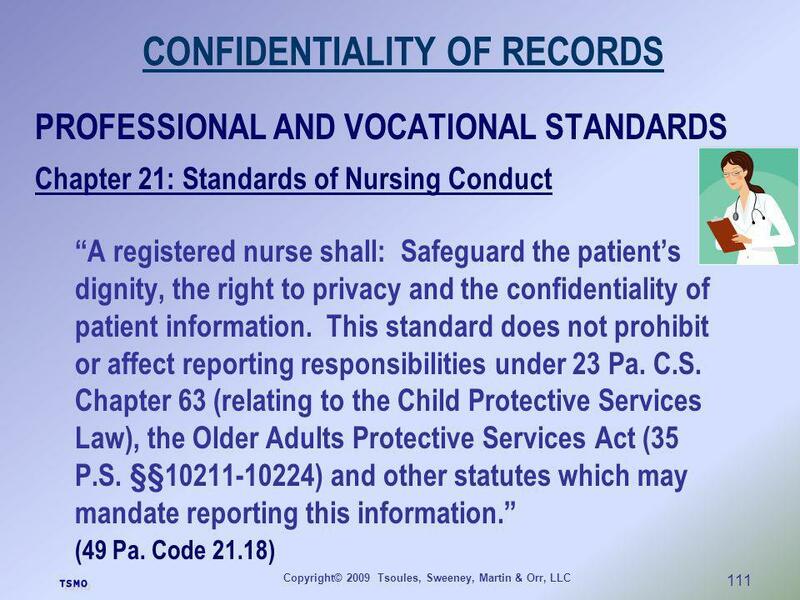 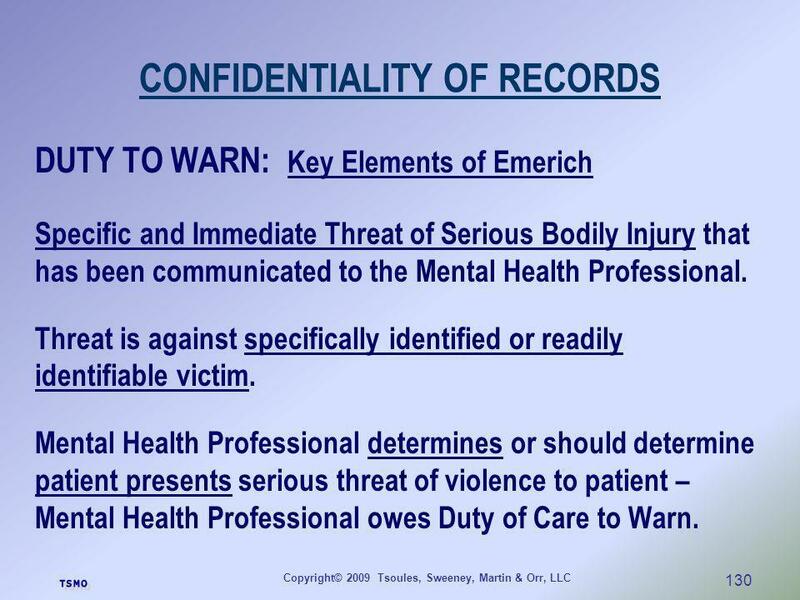 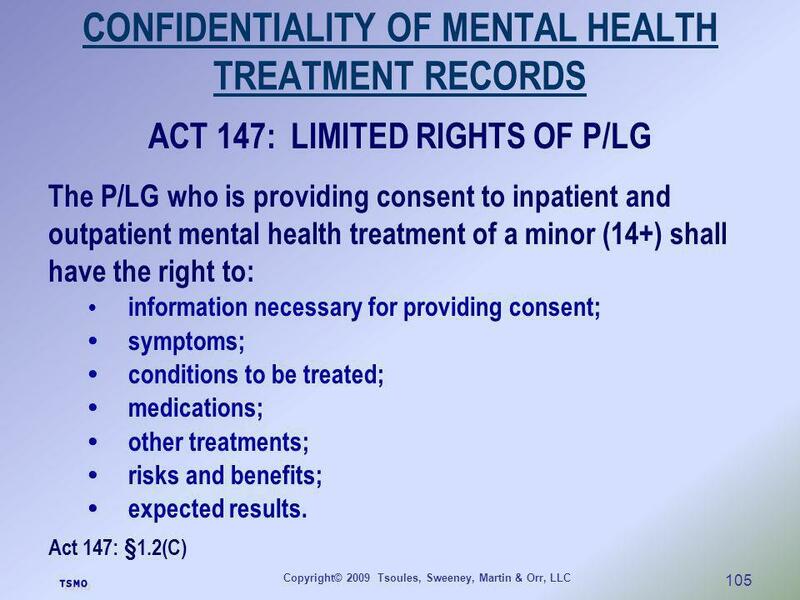 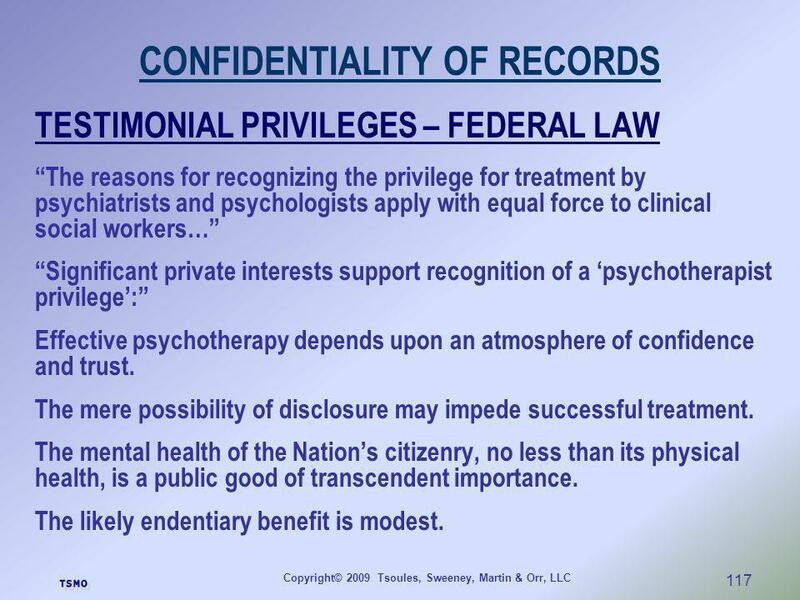 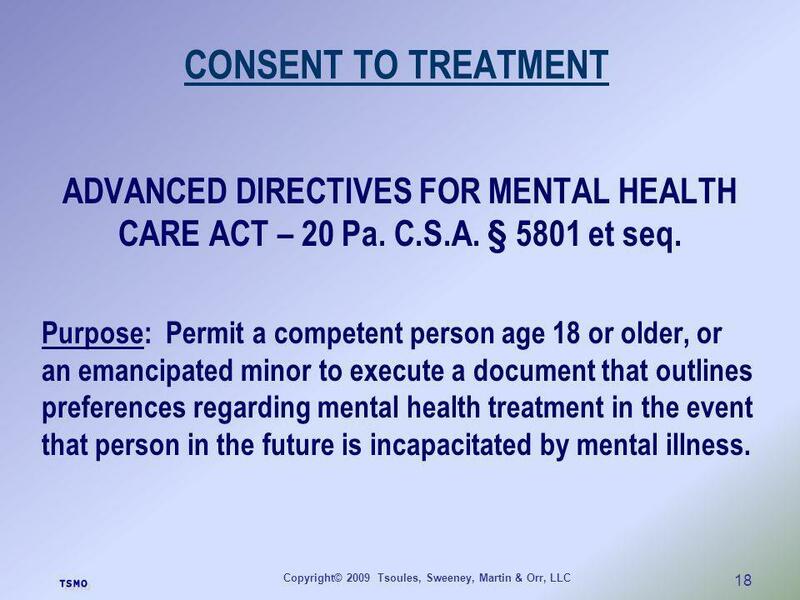 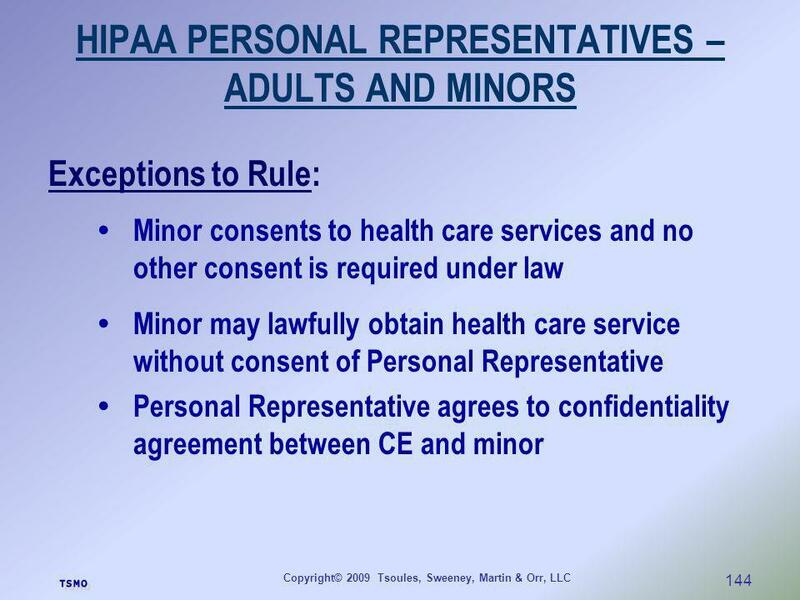 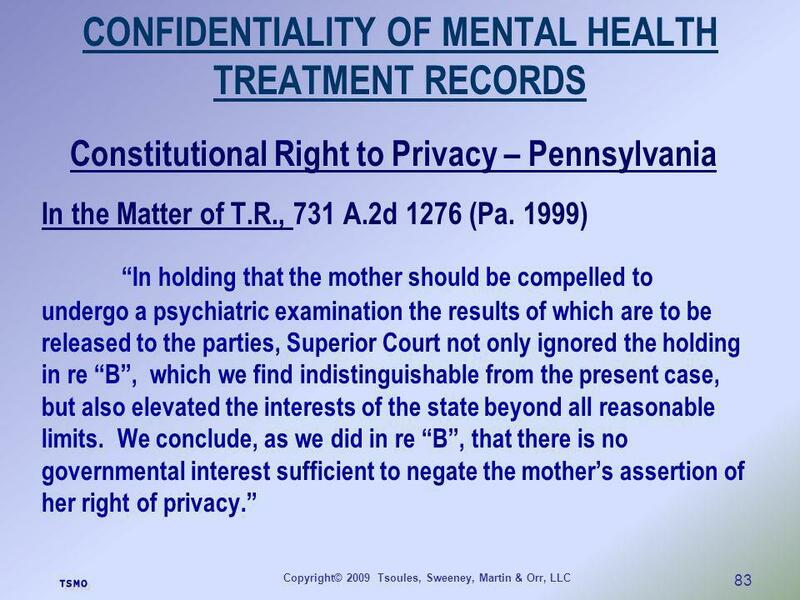 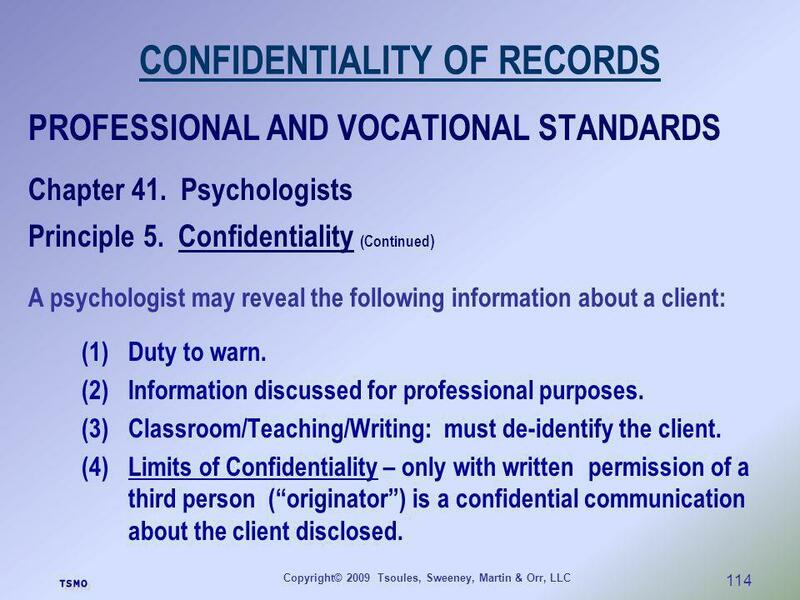 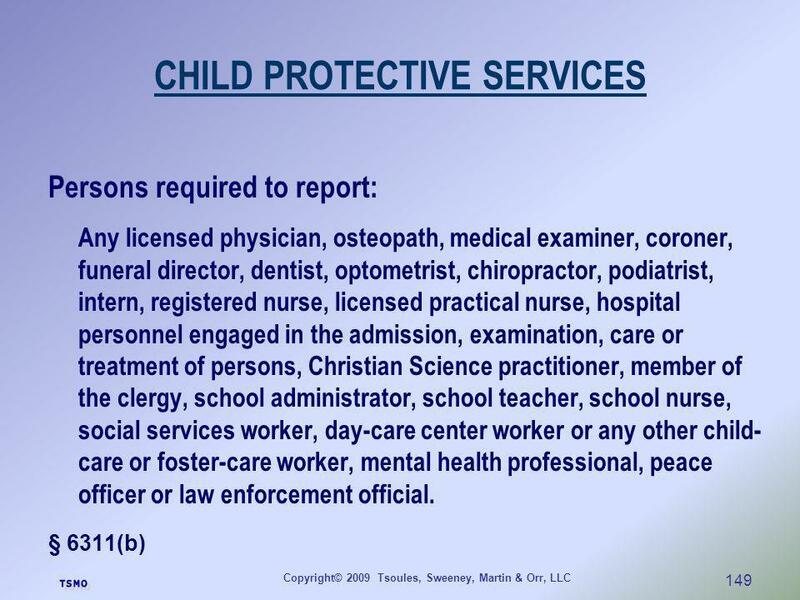 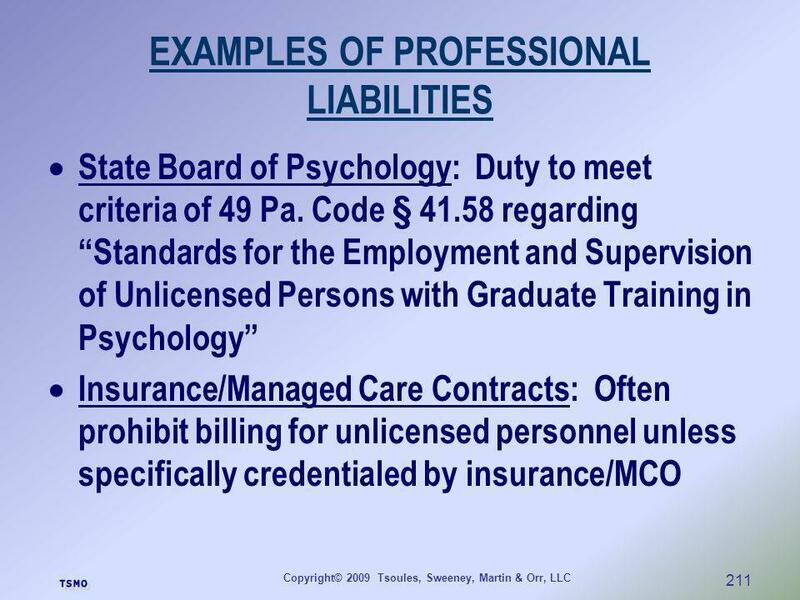 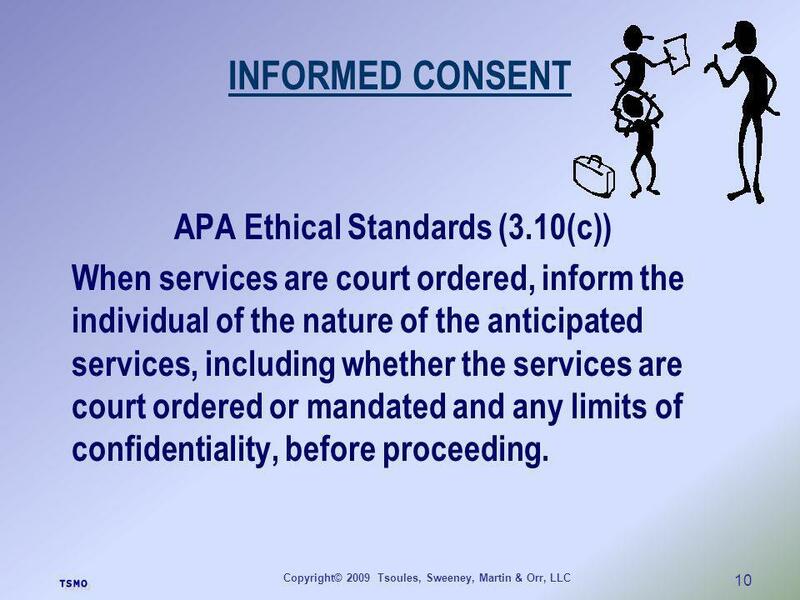 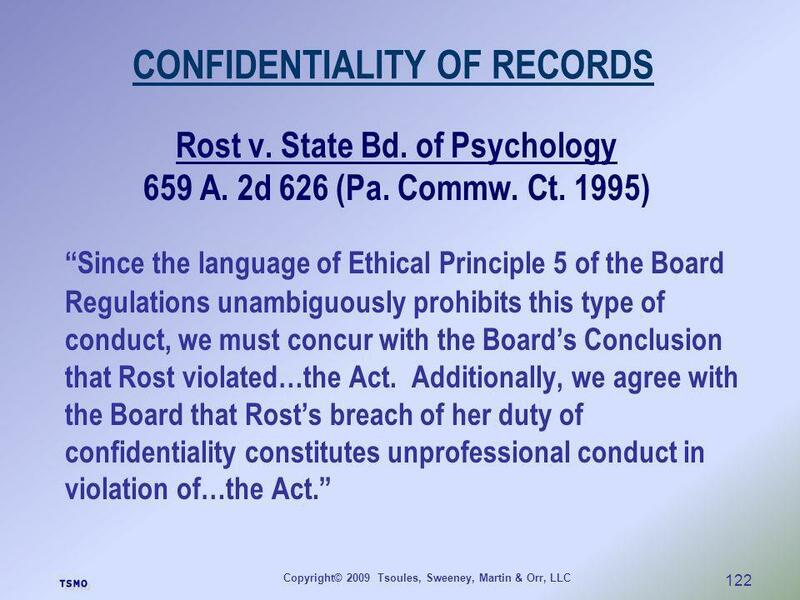 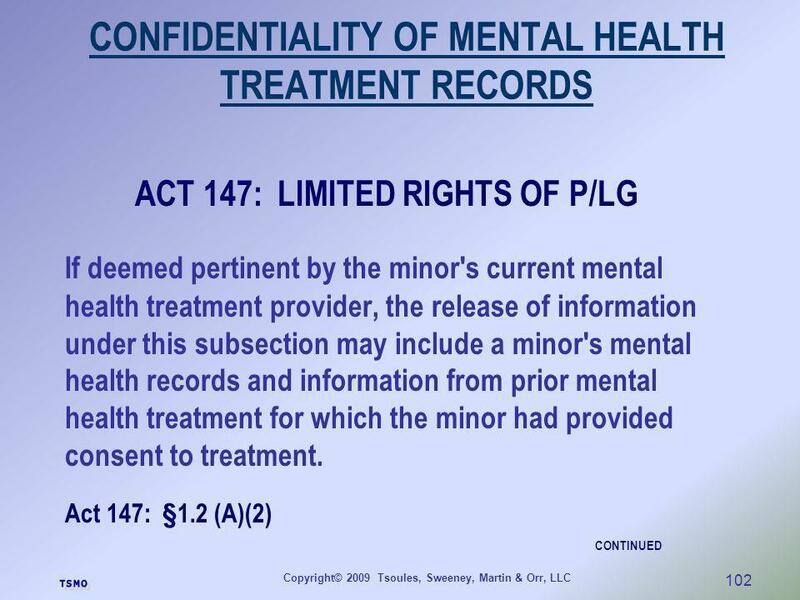 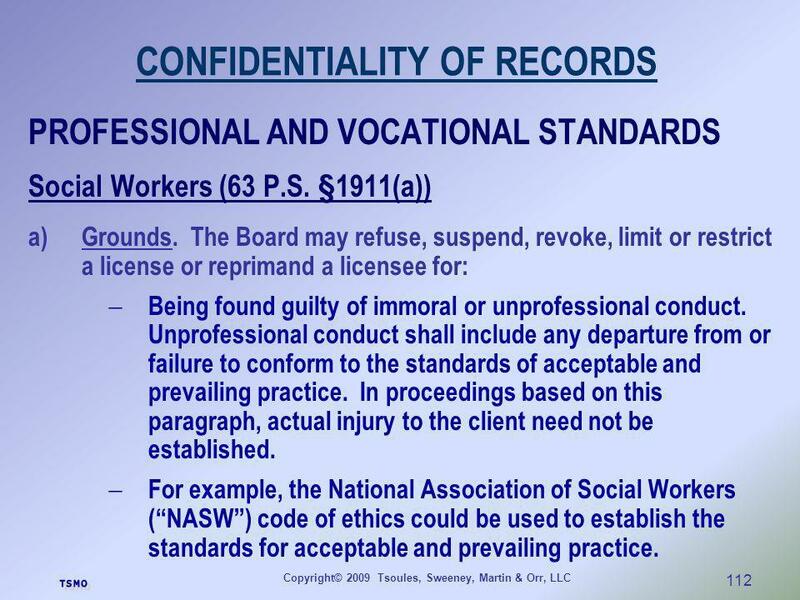 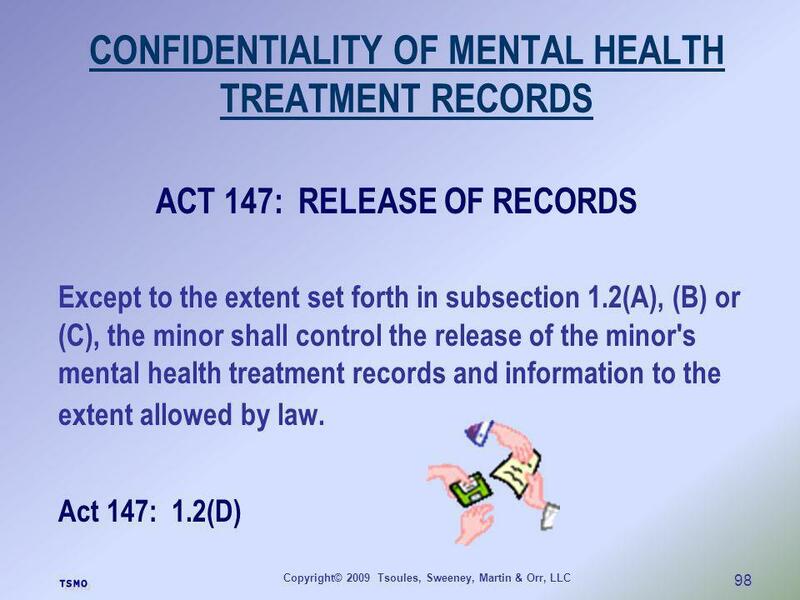 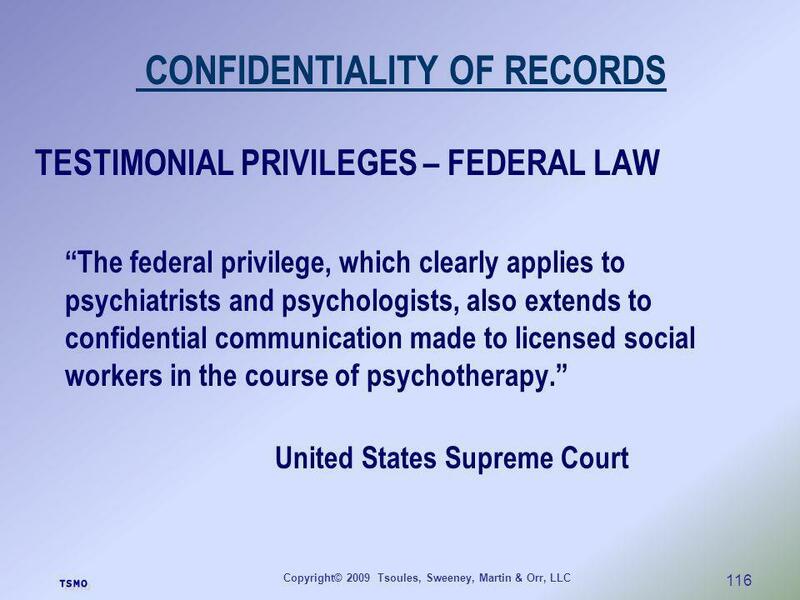 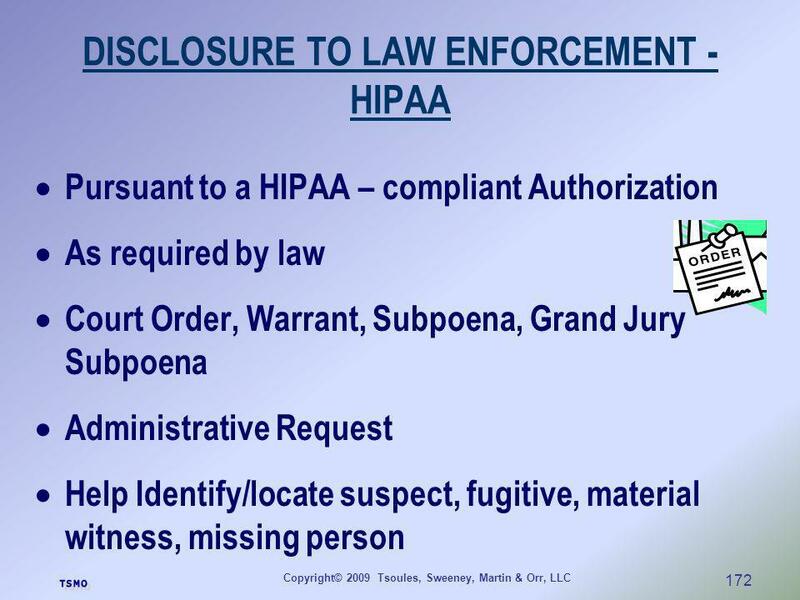 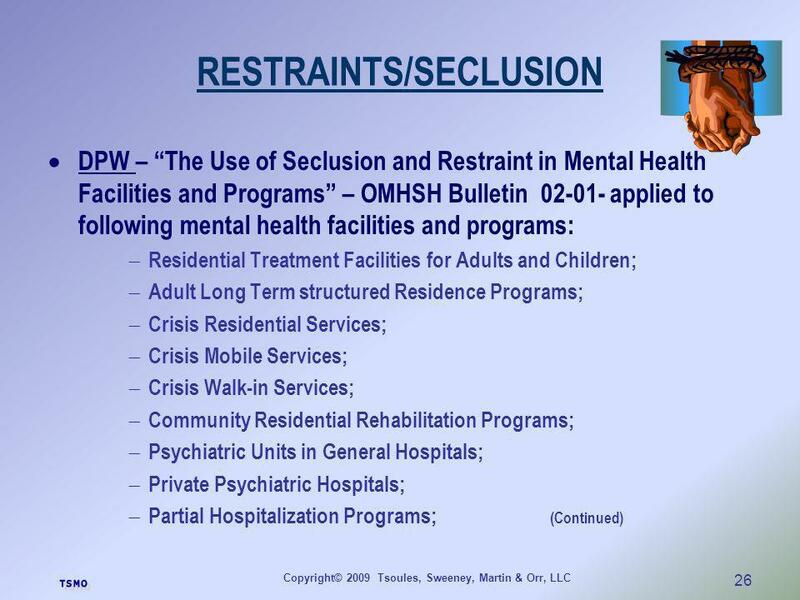 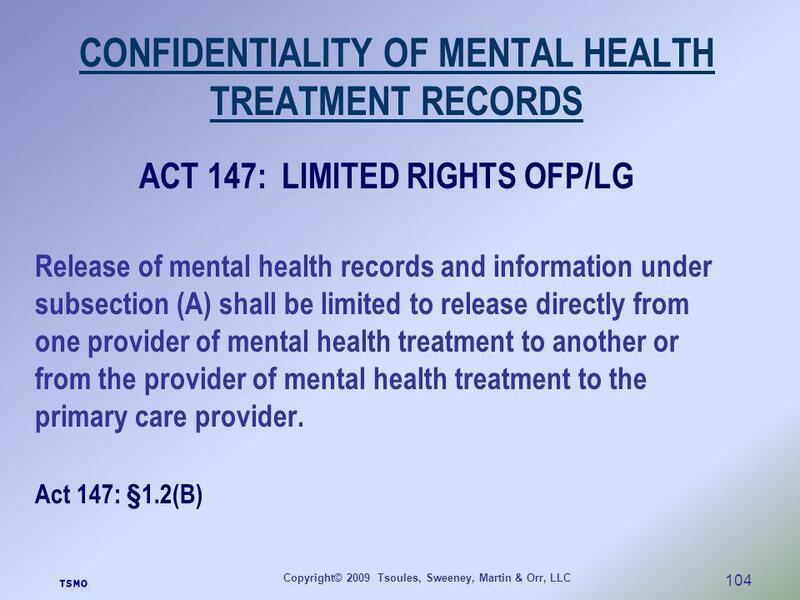 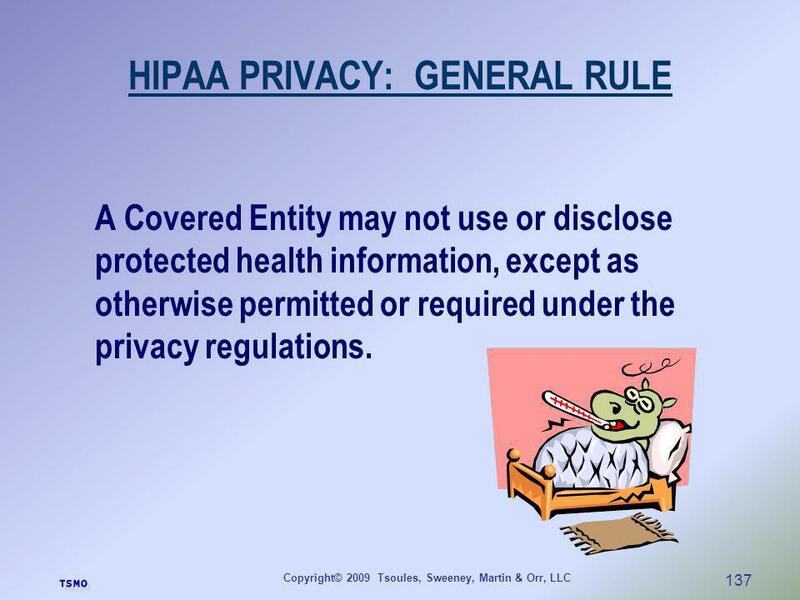 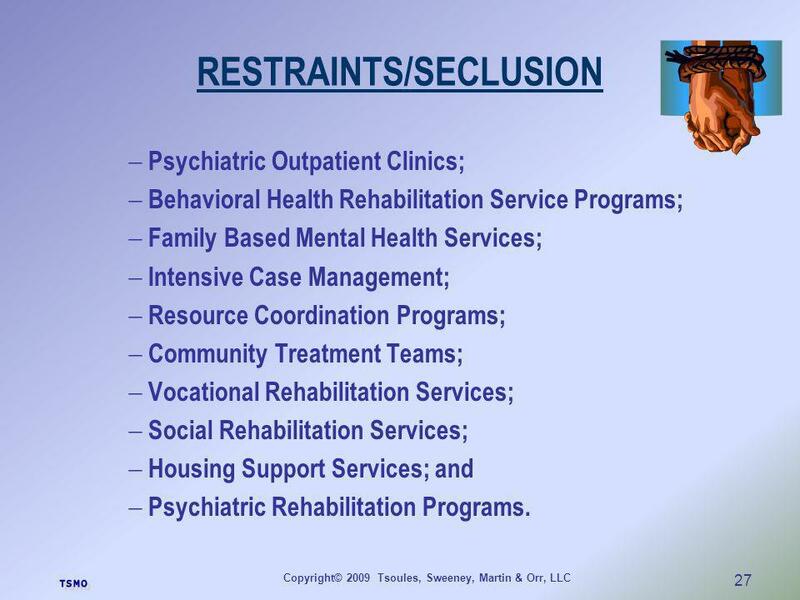 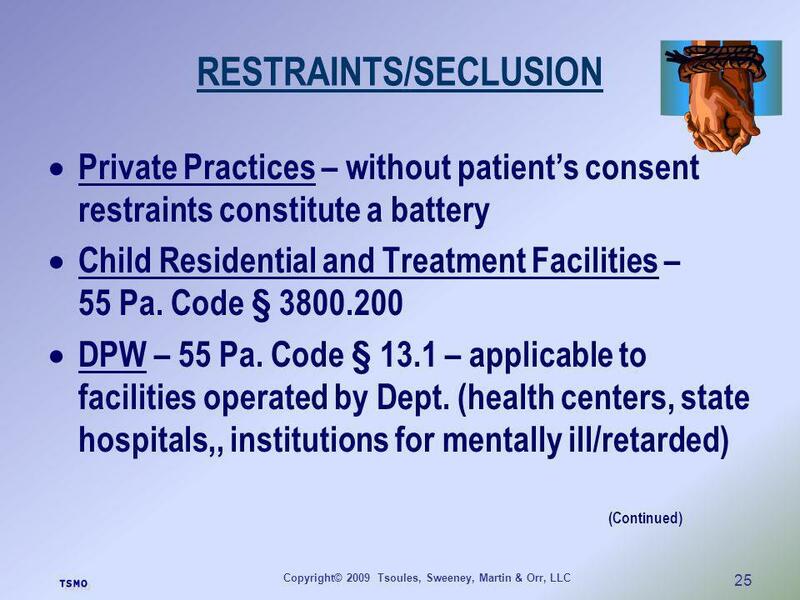 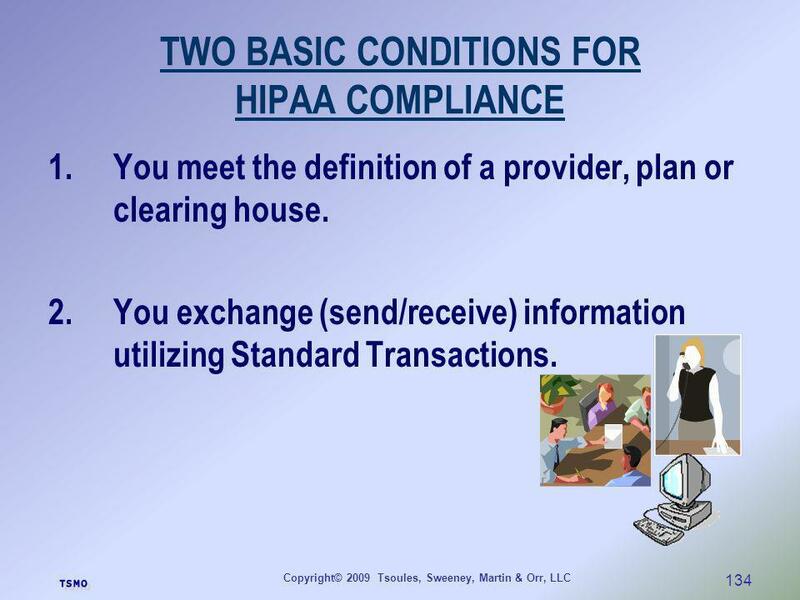 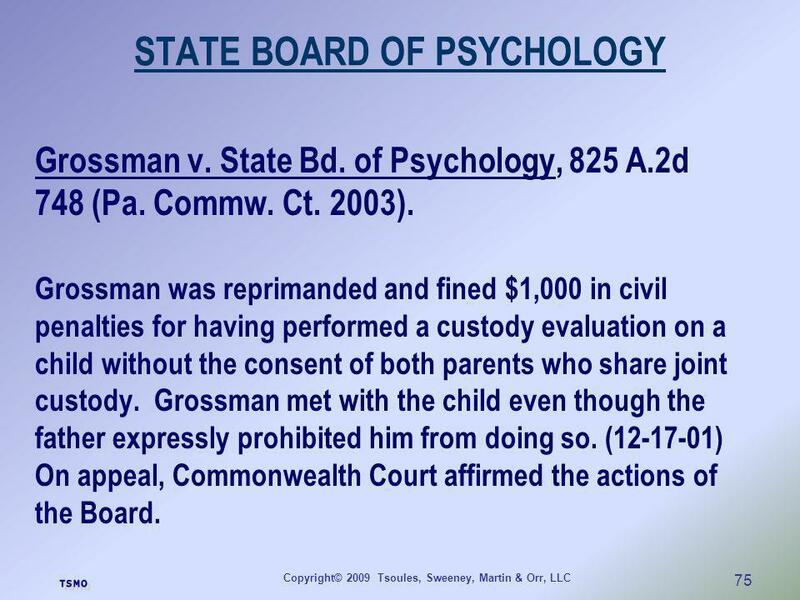 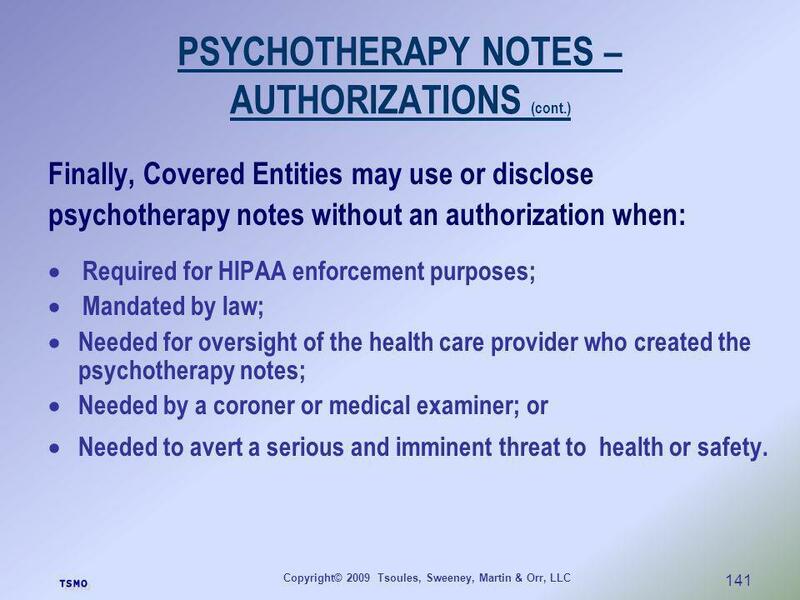 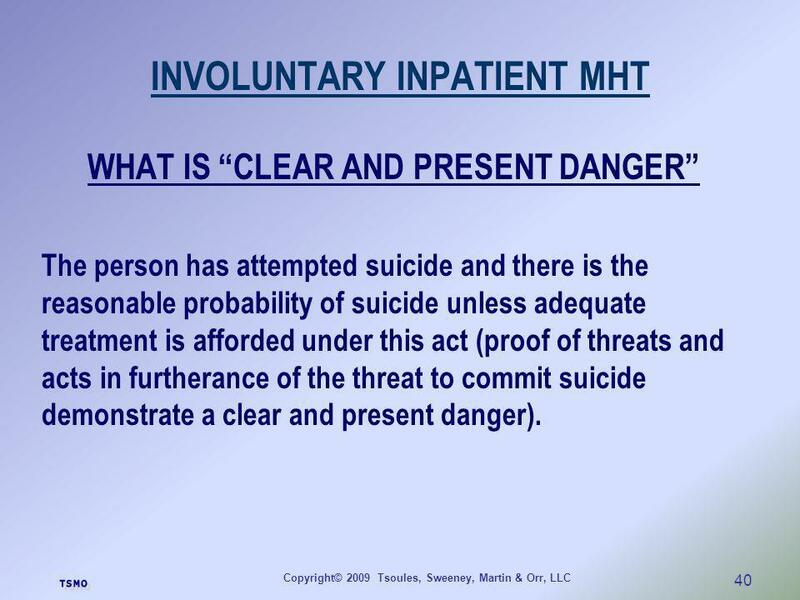 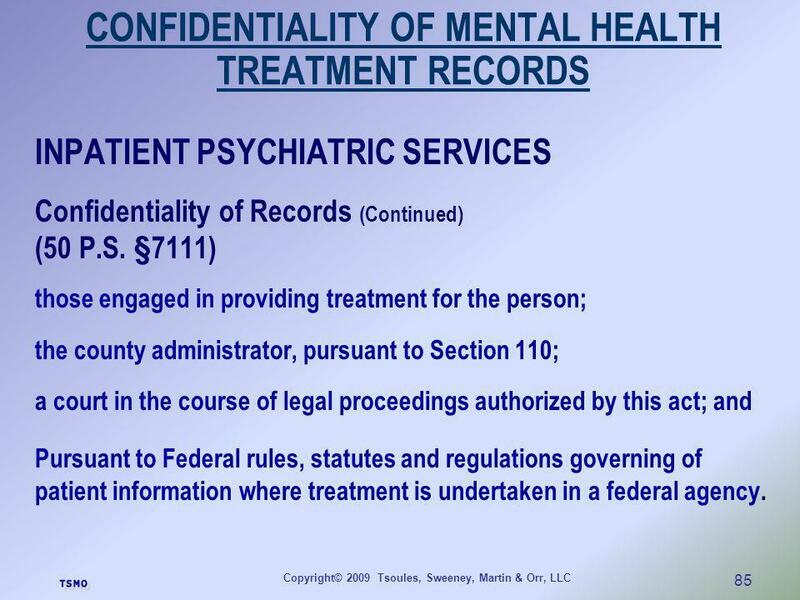 Download ppt "MENTAL HEALTH AND THE LAW IN PENNSYLVANIA"
HIPAA Privacy Practices. 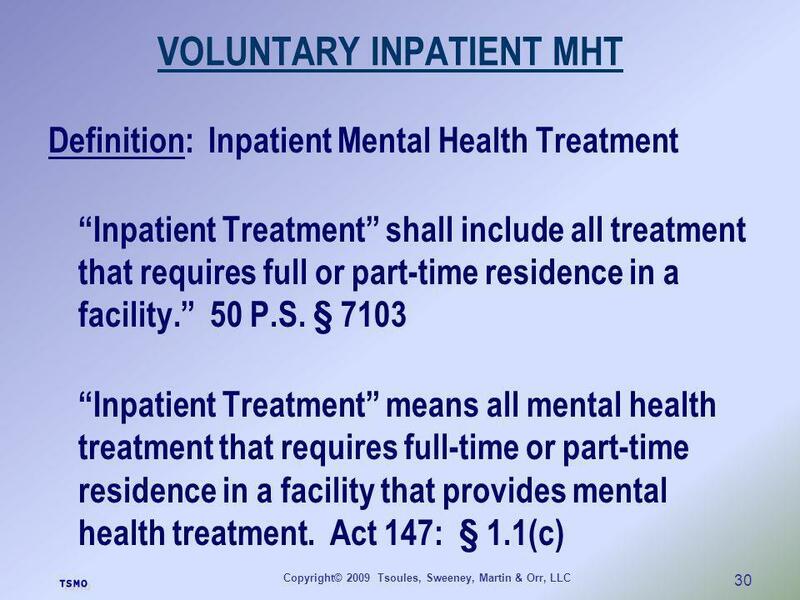 Notice A copy of the current DMH Notice must be posted at each service site where persons seeking DMH services will be able to. 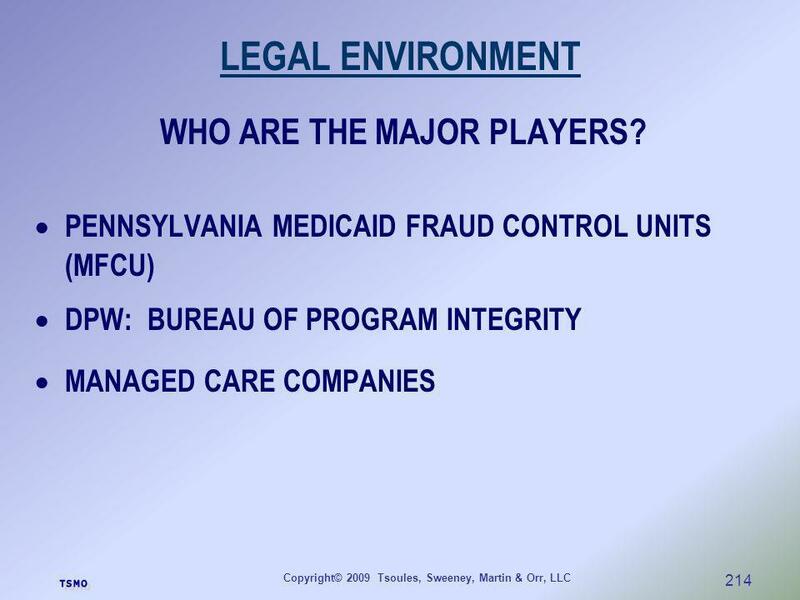 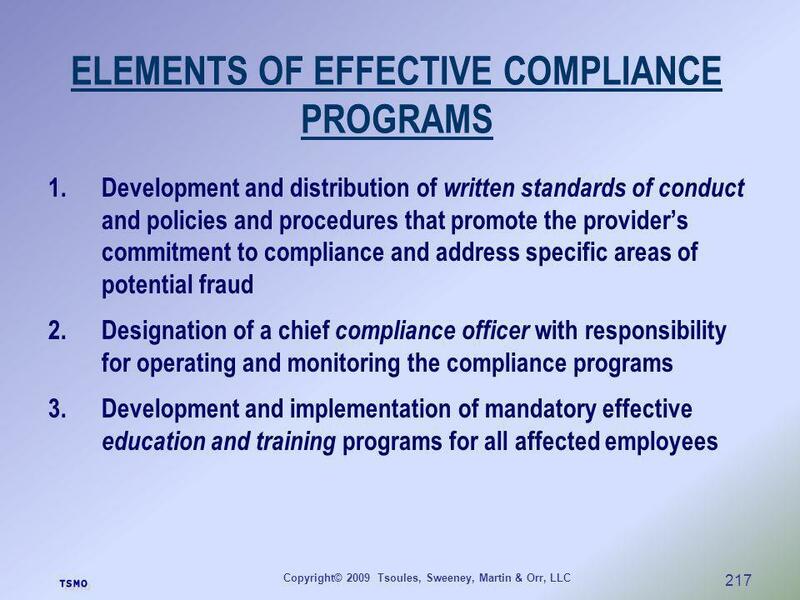 Ability to Benefit (ATB) Program Integrity Final Rule. 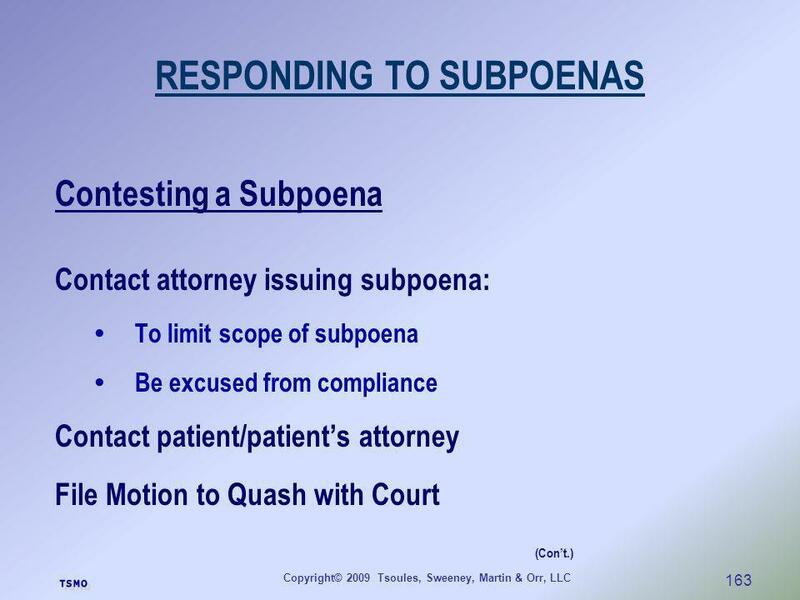 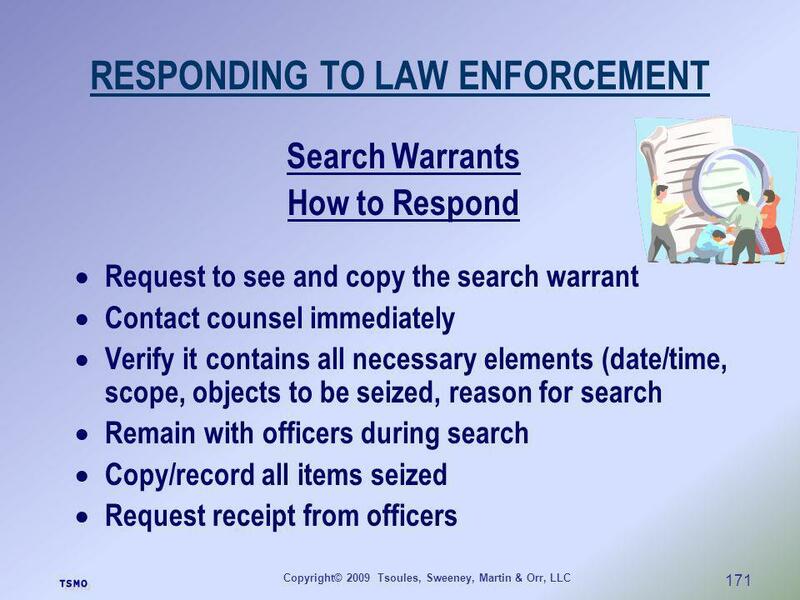 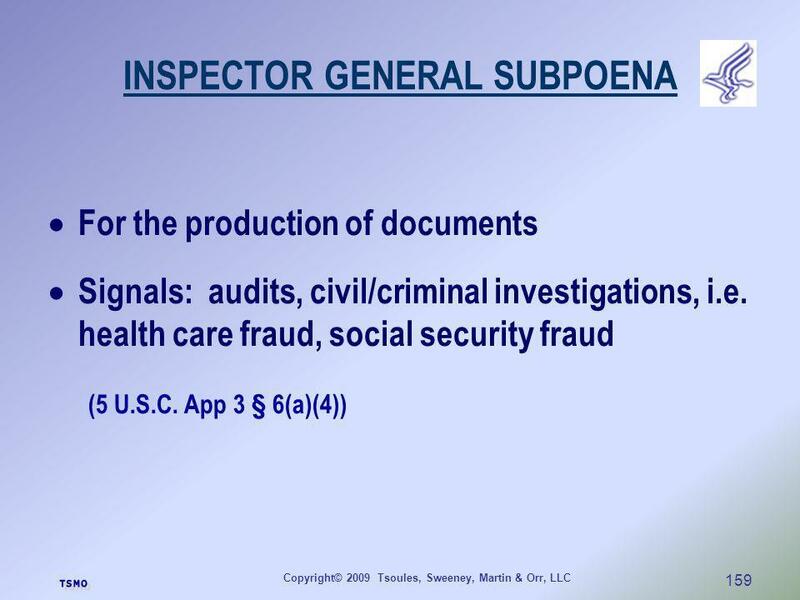 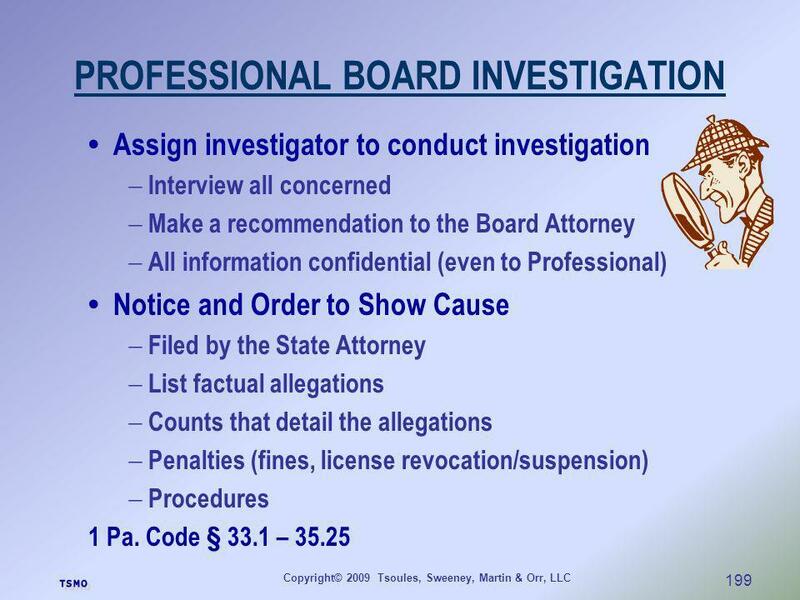 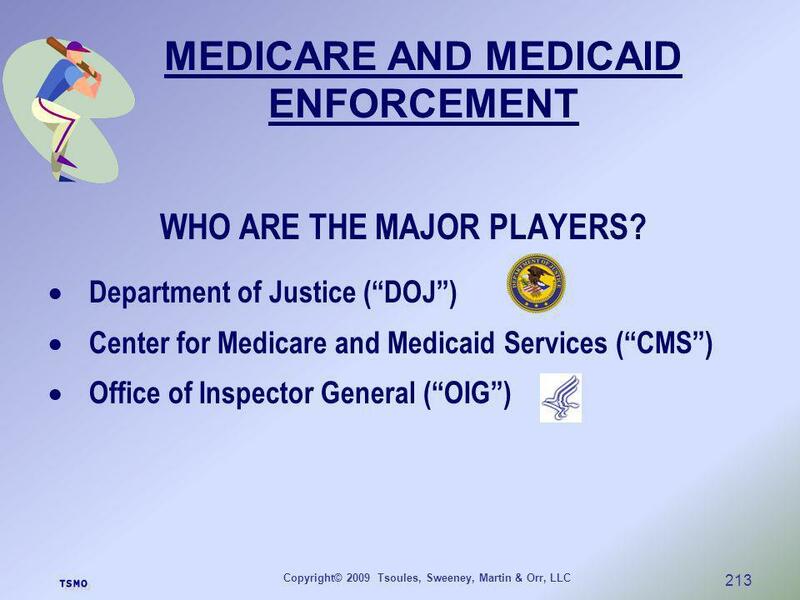 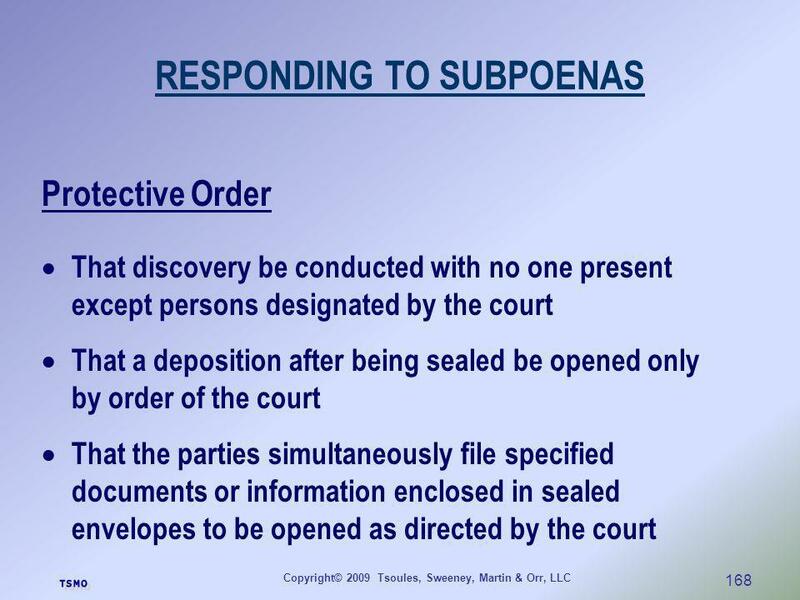 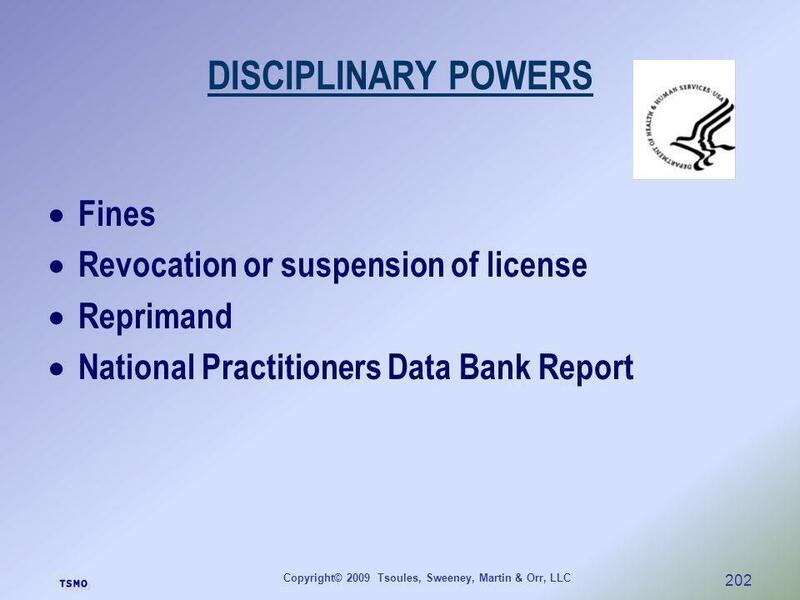 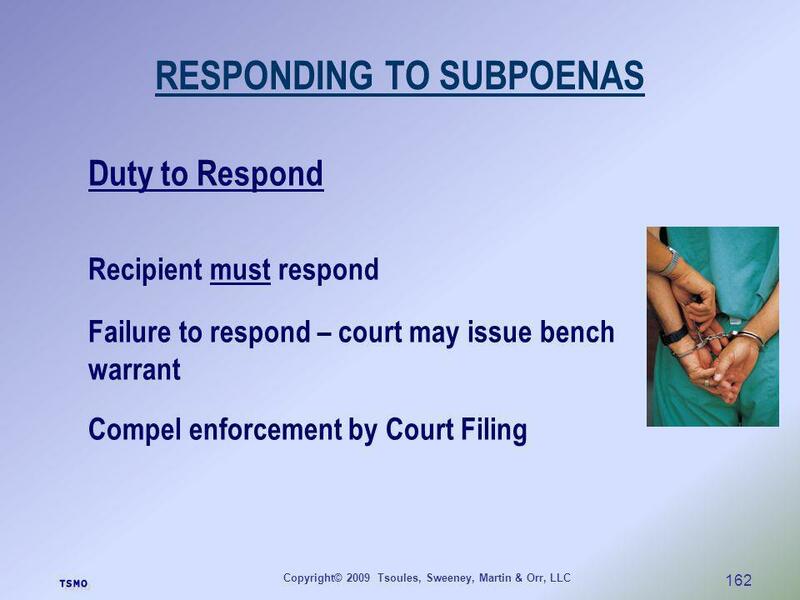 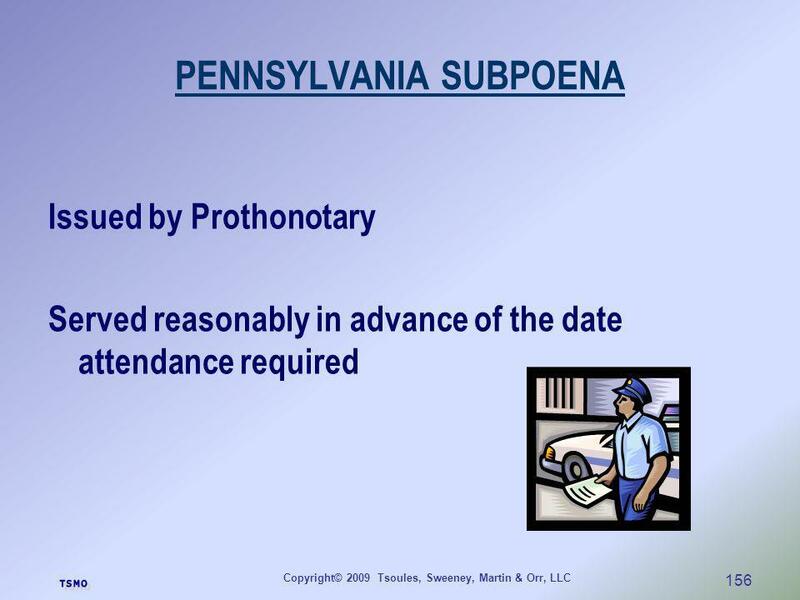 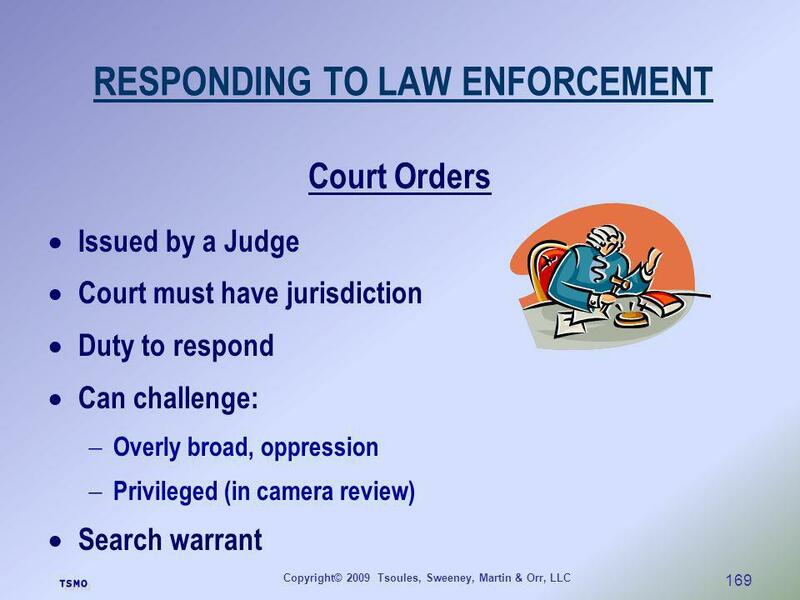 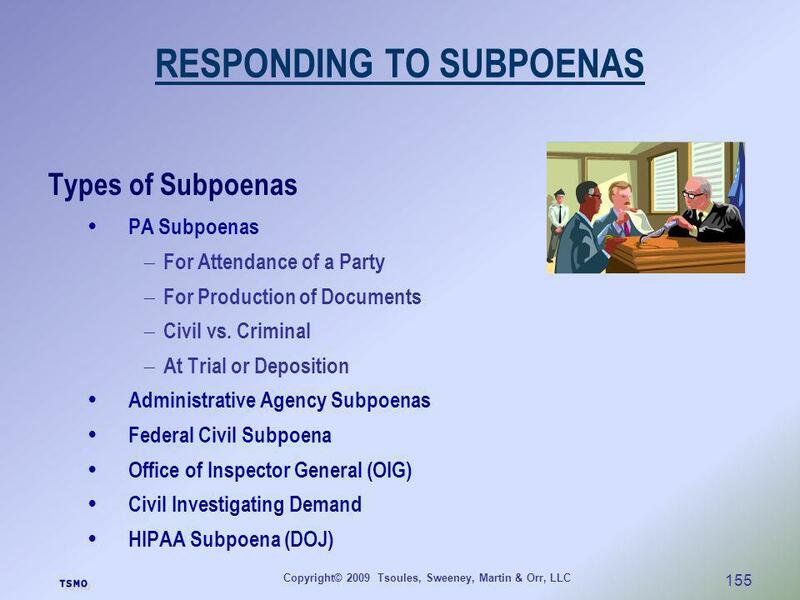 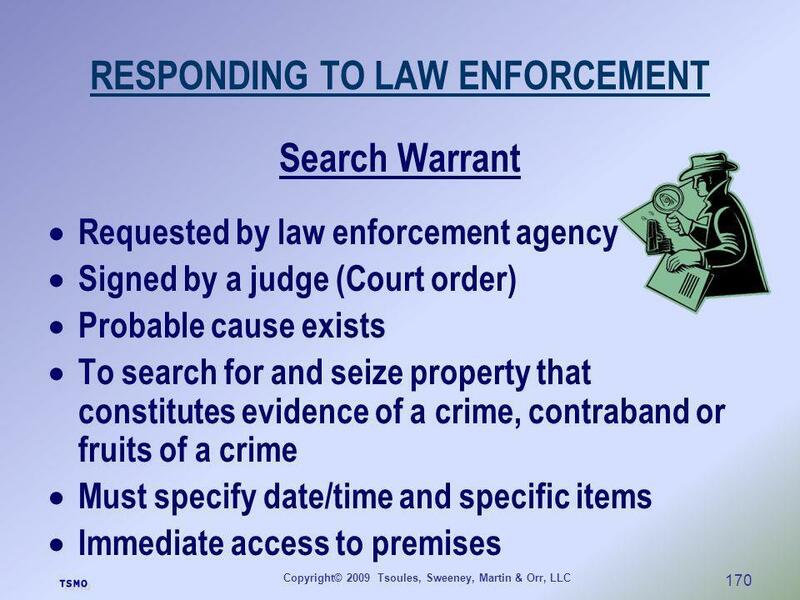 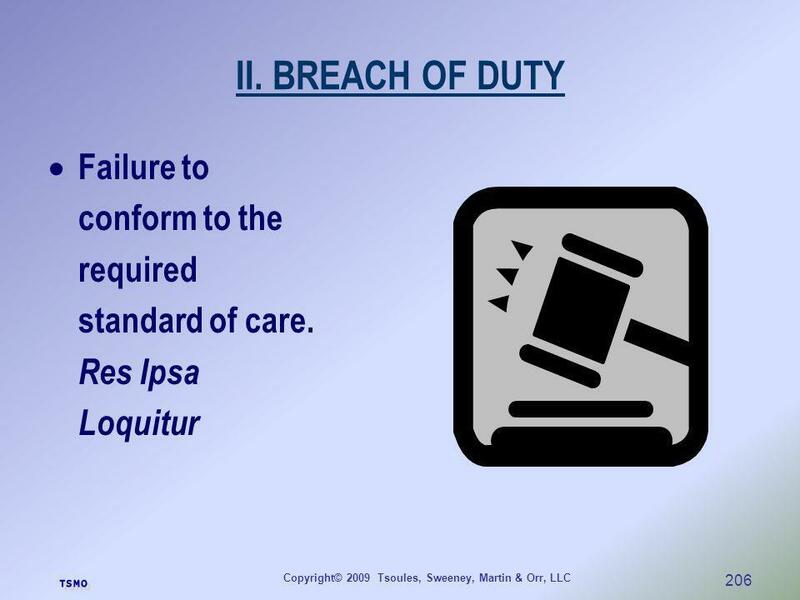 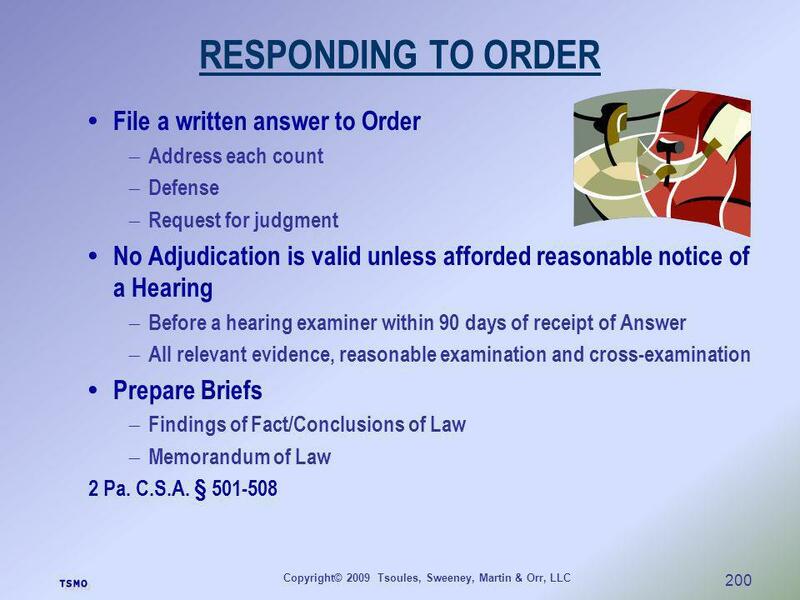 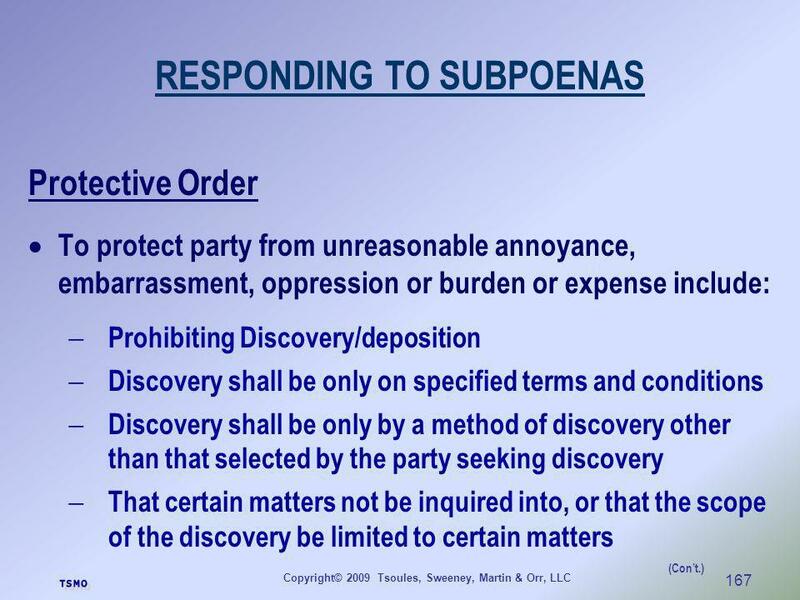 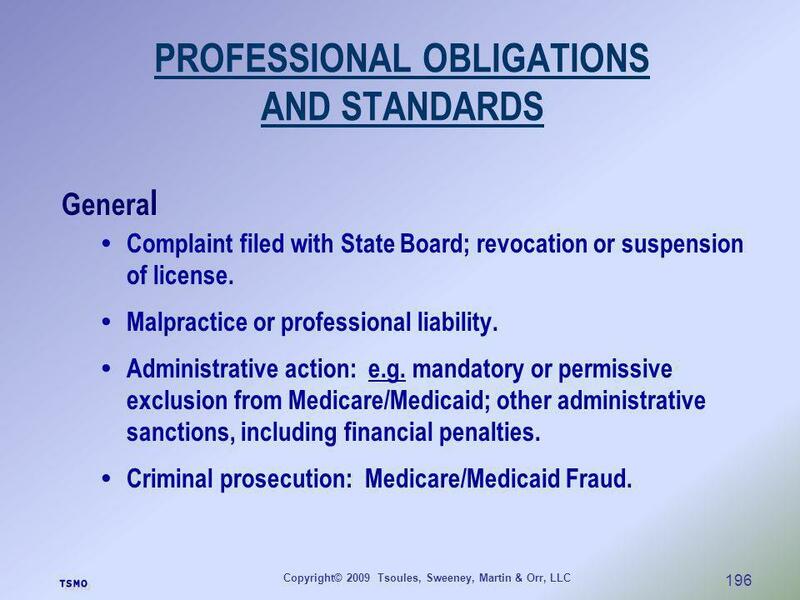 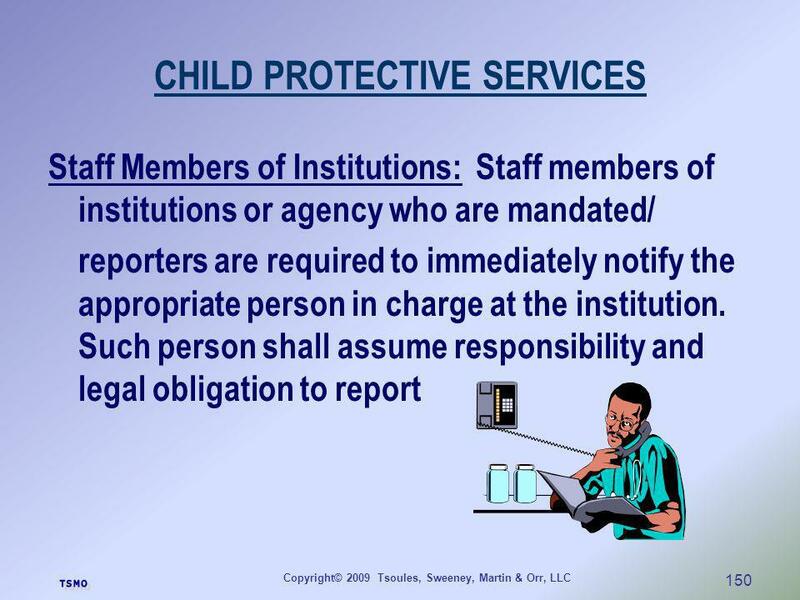 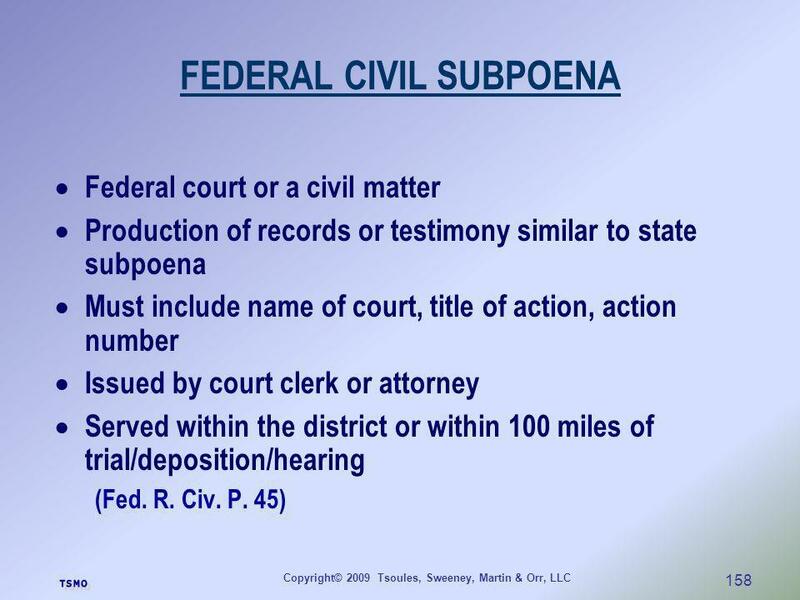 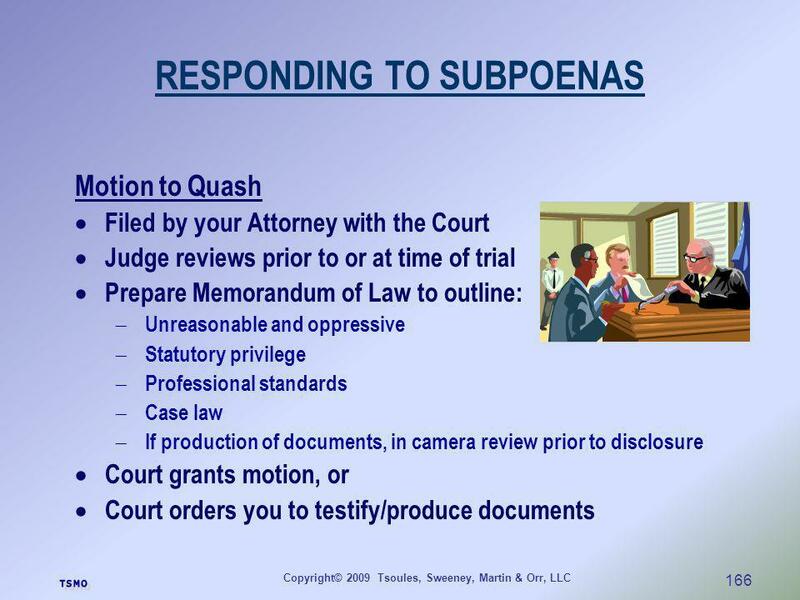 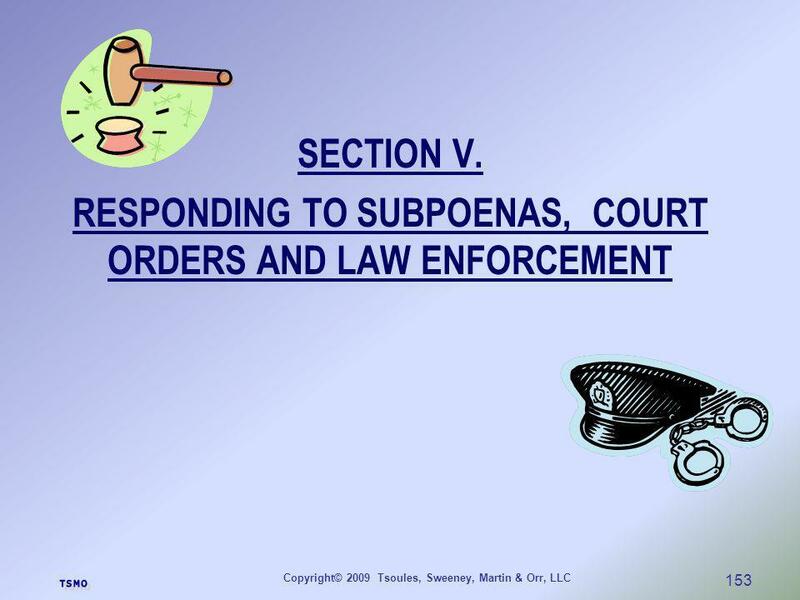 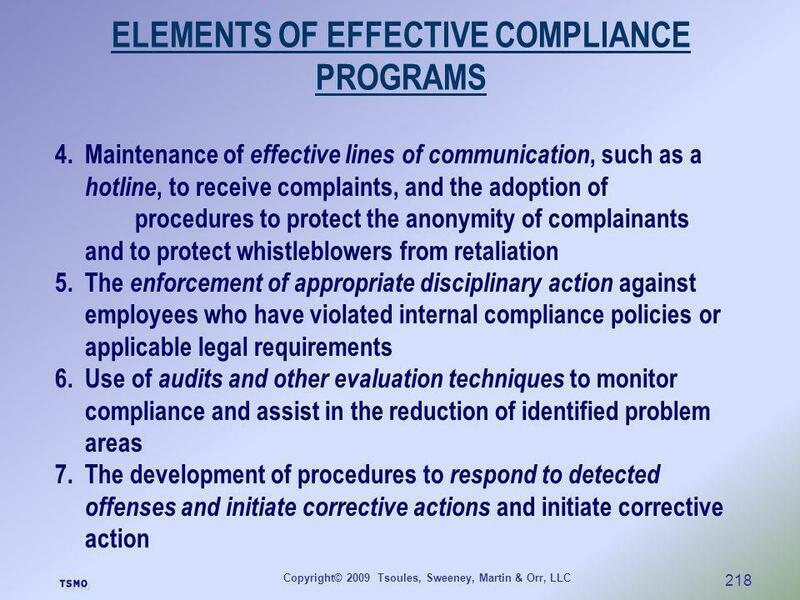 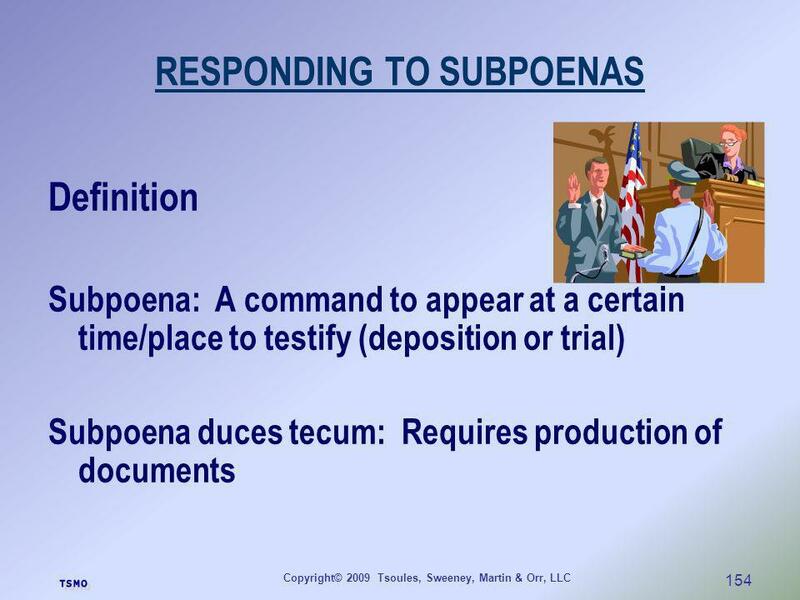 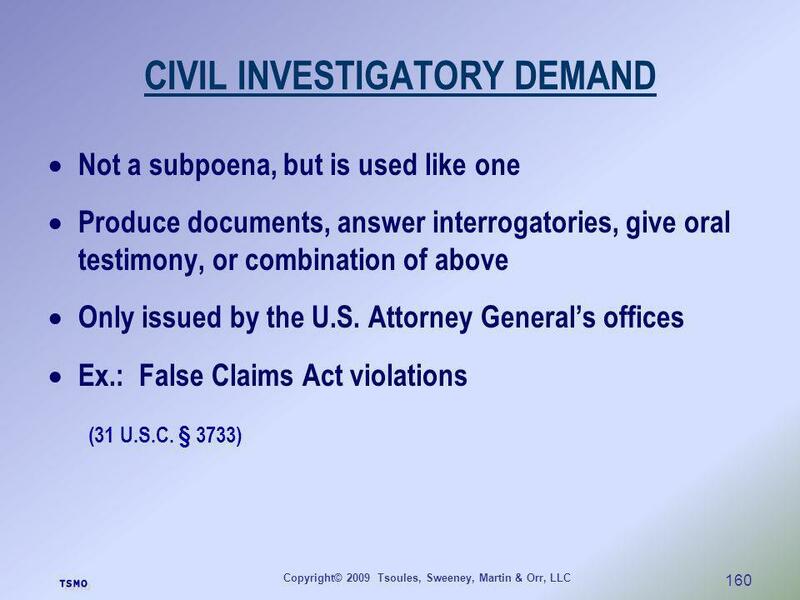 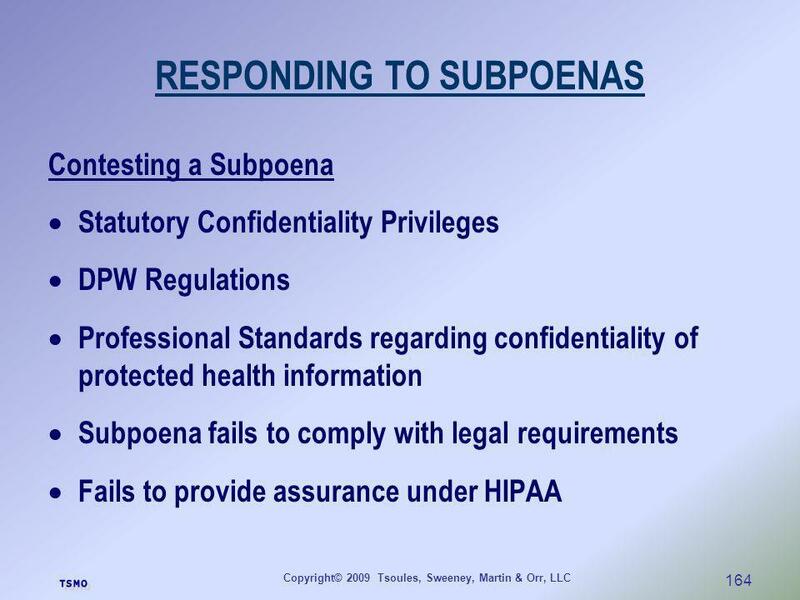 Responding to Subpoenas and Law Enforcement Demands for PHI: An Overview Janet A. Newberg Chair, Health Law Section Felhaber Larson Fenlon & Vogt, P.A. 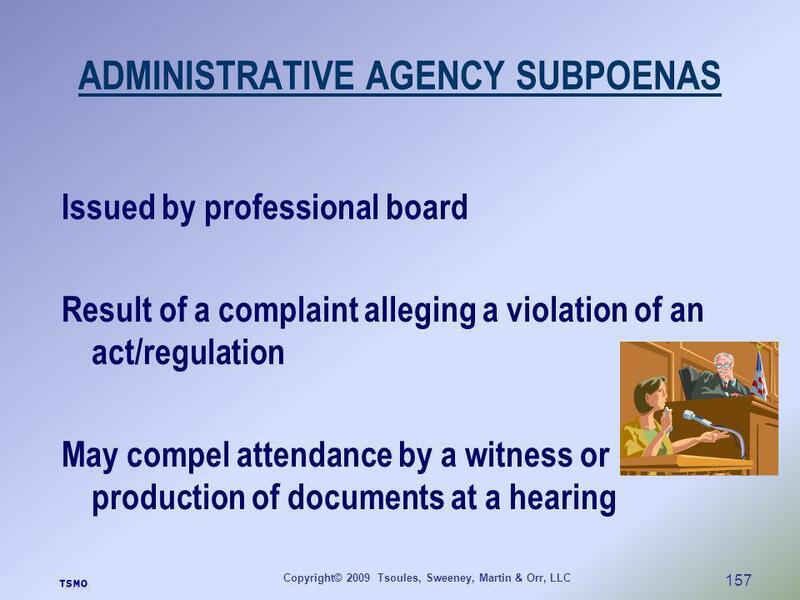 NC State University Office of General Counsel April 2010. 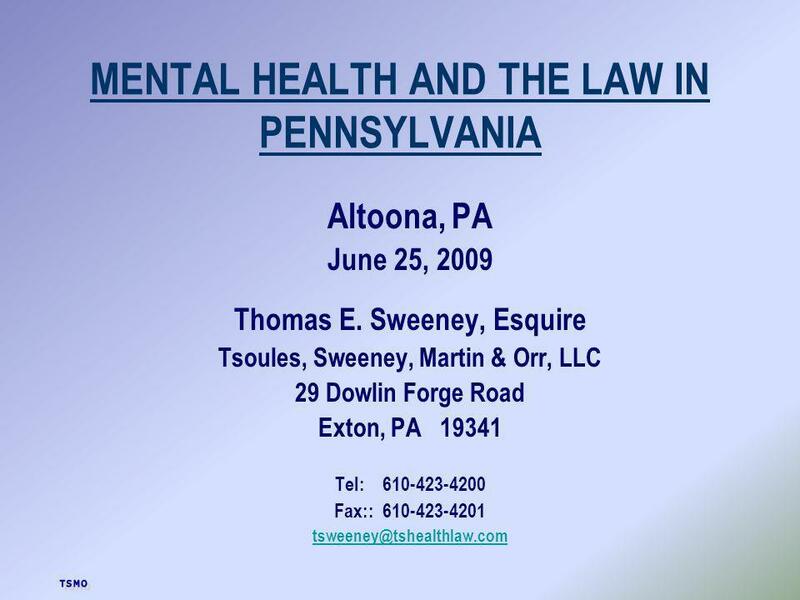 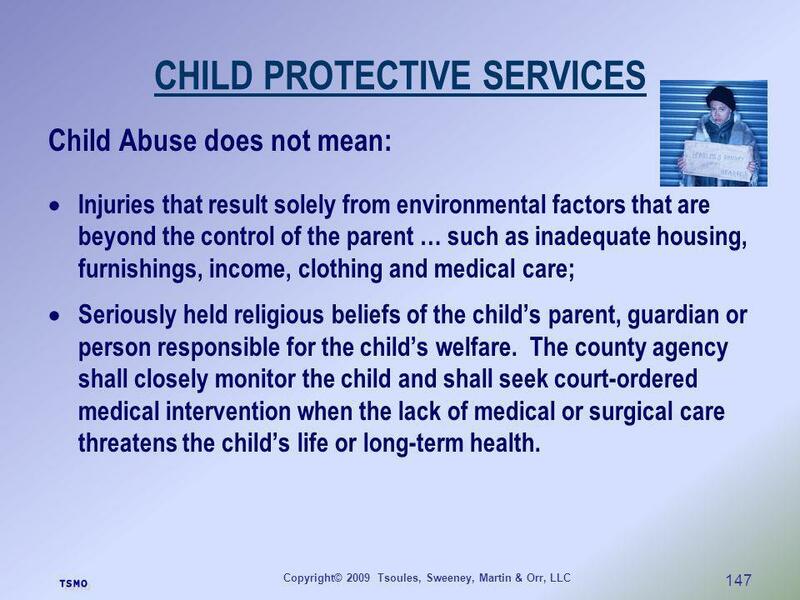 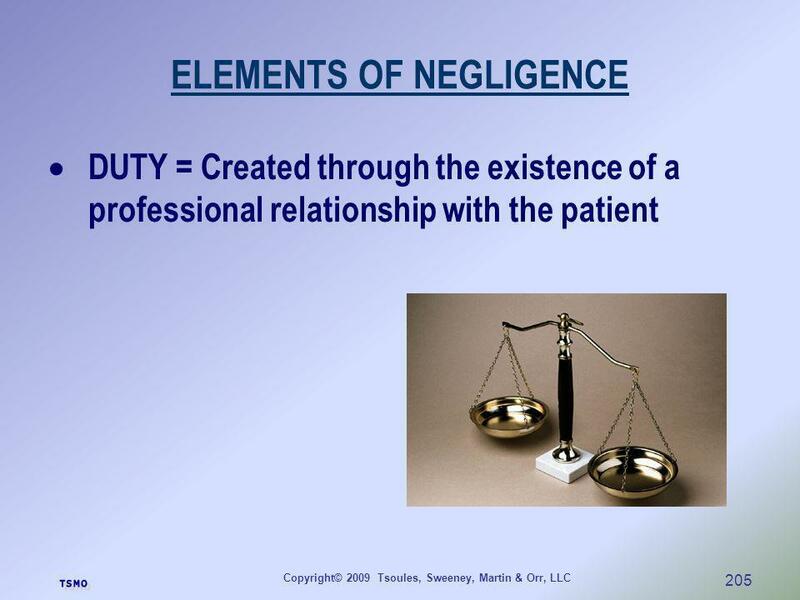 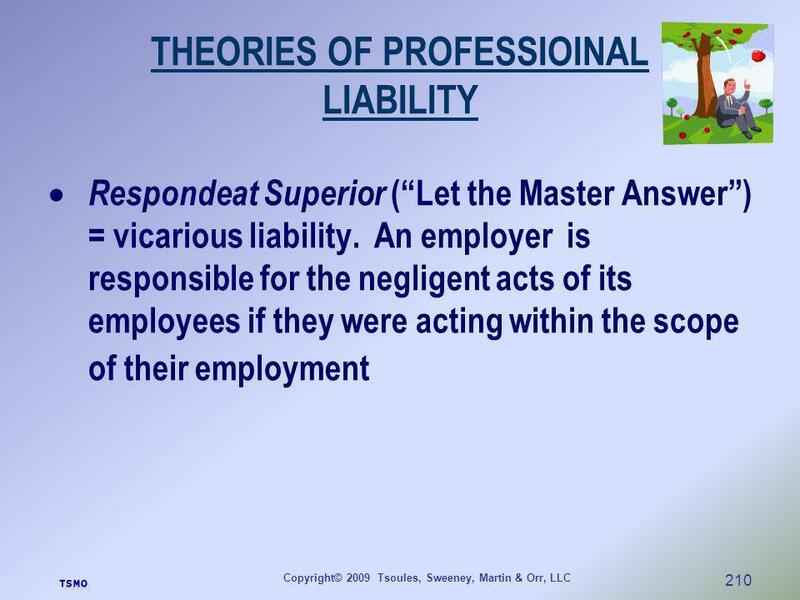 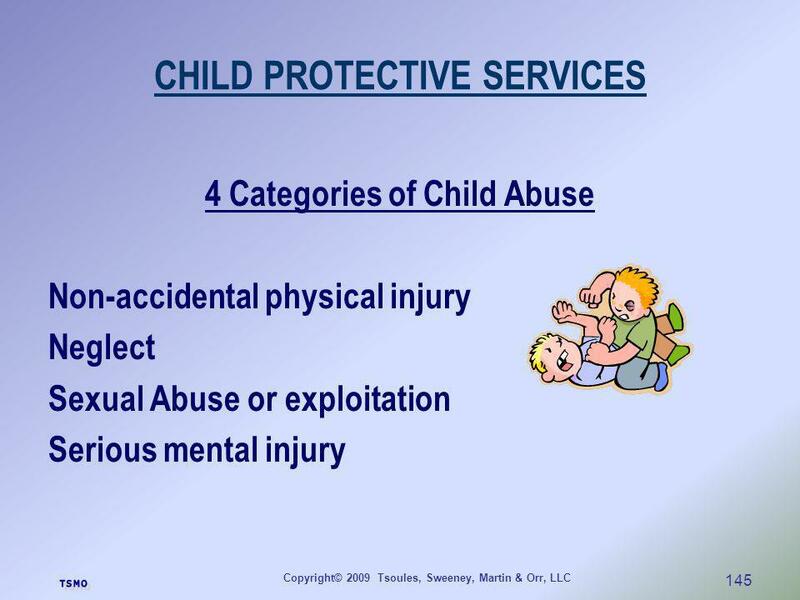 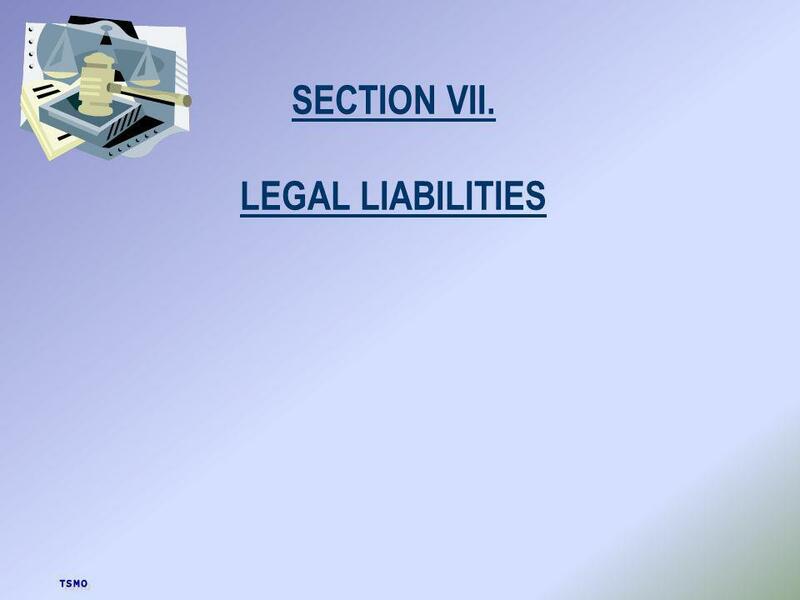 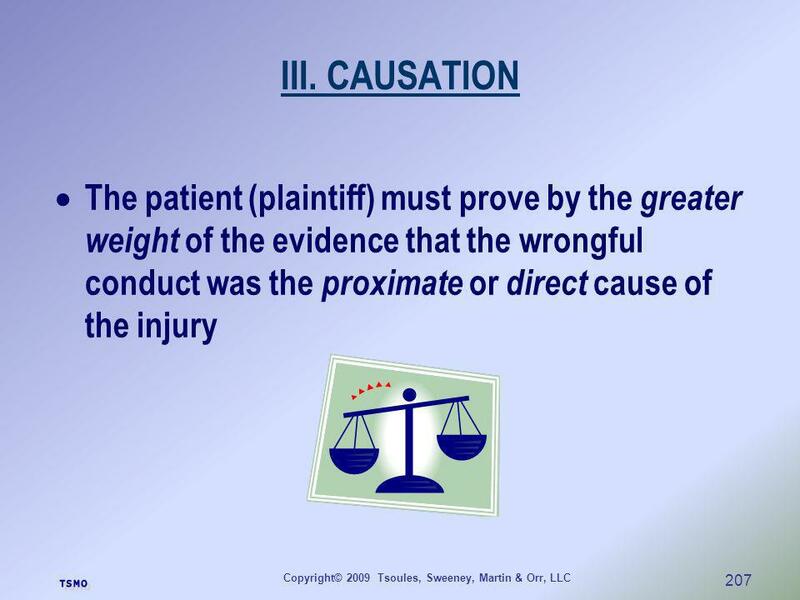 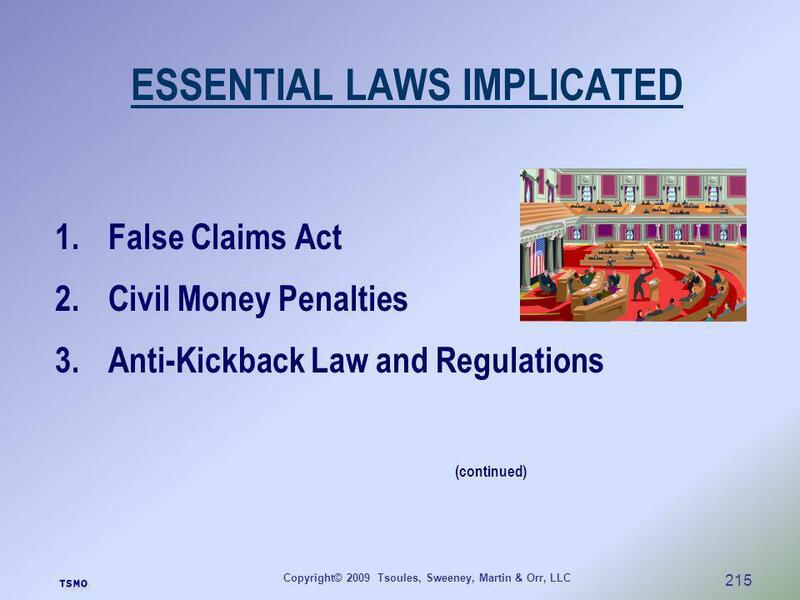 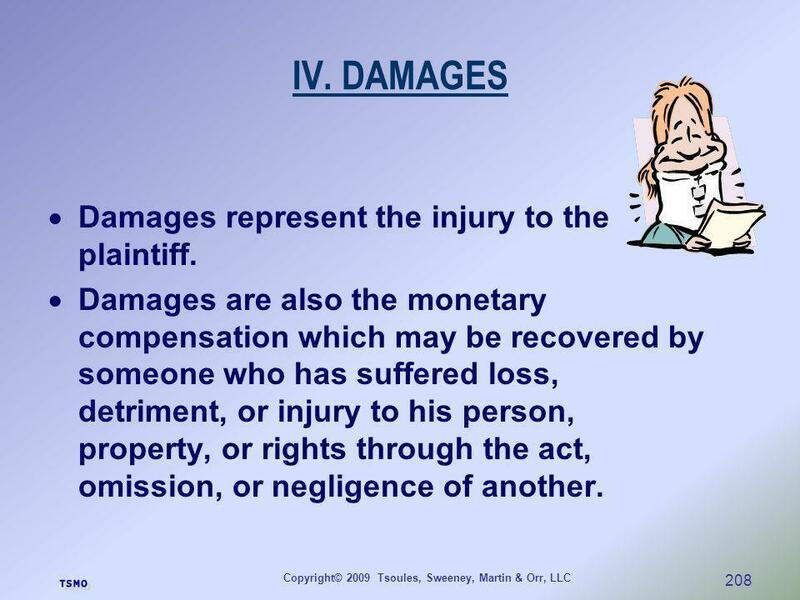 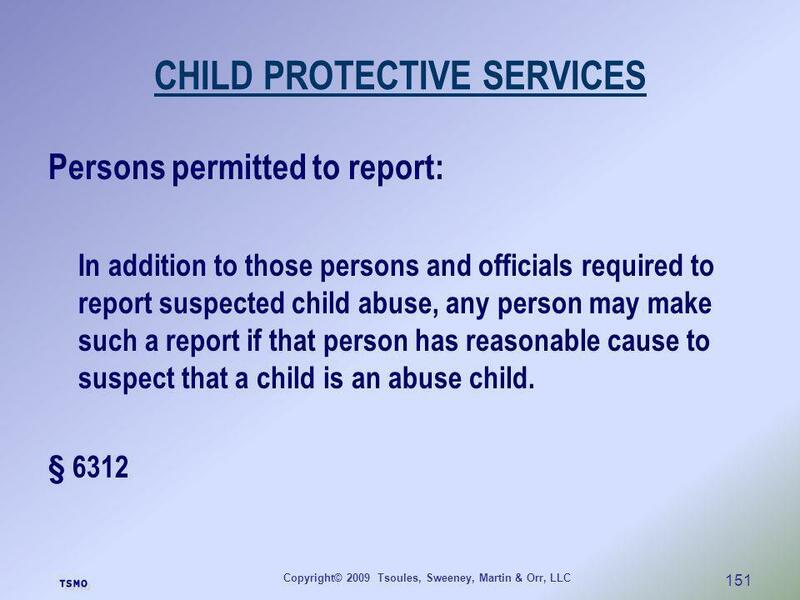 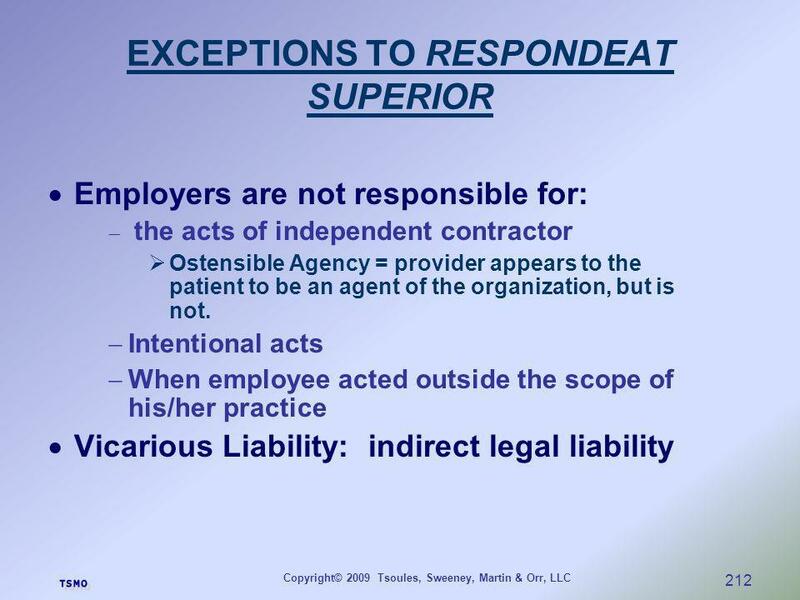 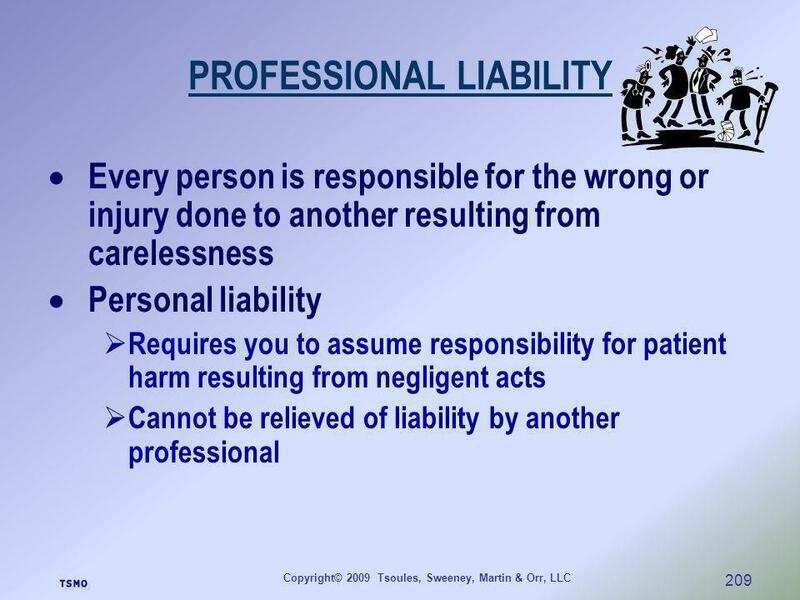 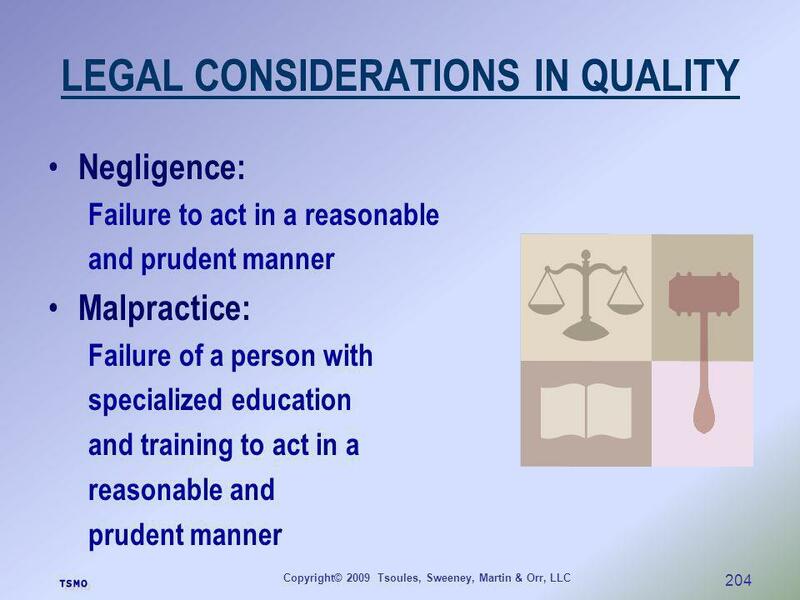 By: Margaret A. Skelton RATWIK, ROSZAK & MALONEY, P.A. 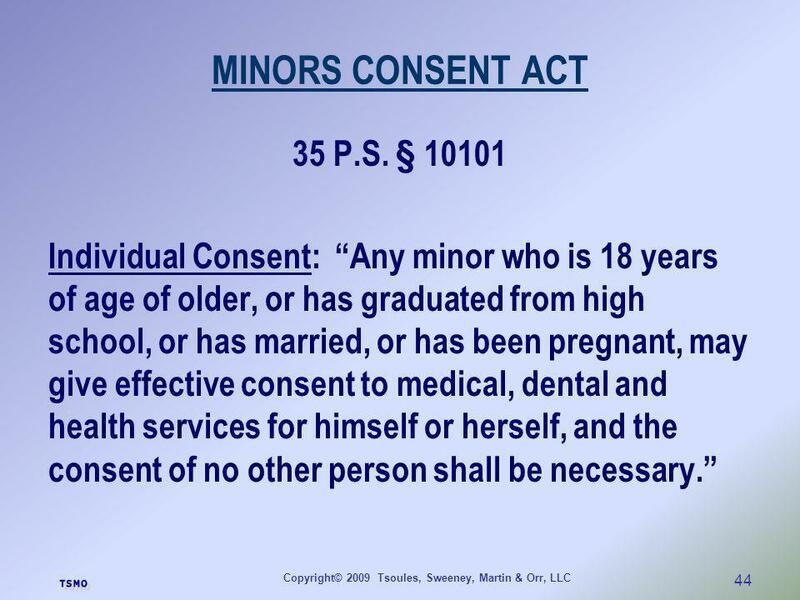 Austin Public Schools. 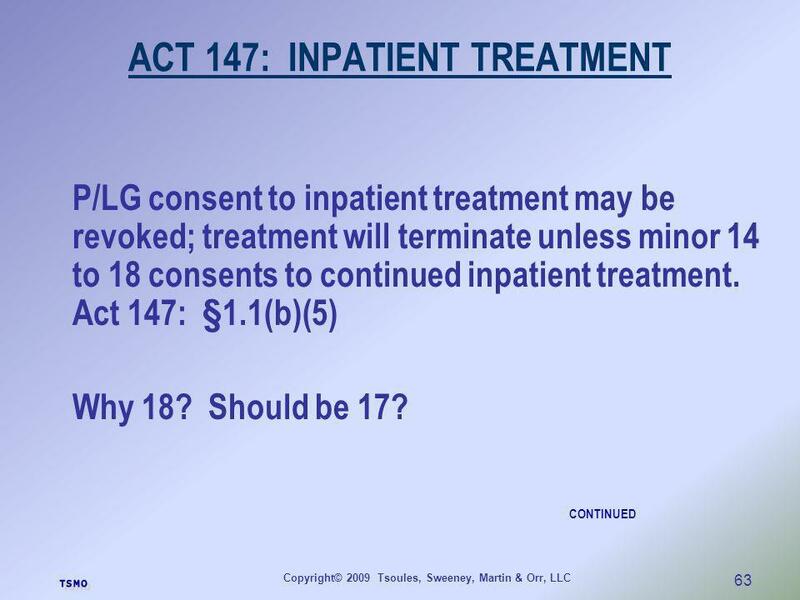 2 20 107 1 106 13 19 21 25 22/24 3 12 14 23 4 11 15 26 27 30 5 7 6 9 16 18 28 104 29 8/17 32/109 100 99 105 108 31 34 40/42 41 98 68 93 90/92 91 81 80.